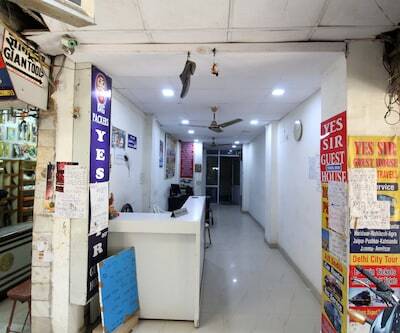 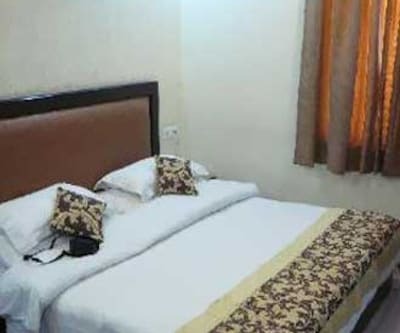 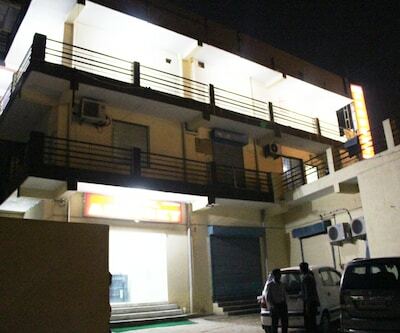 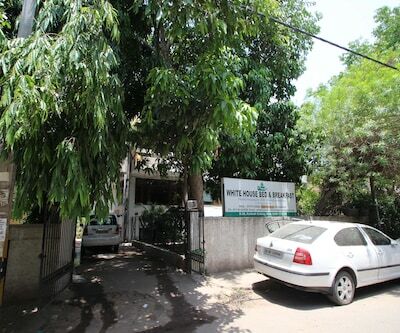 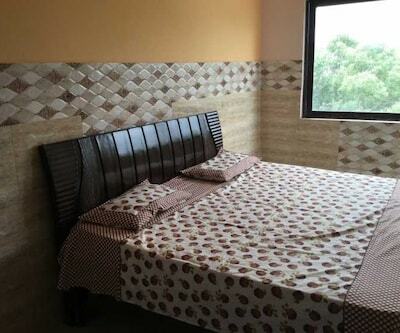 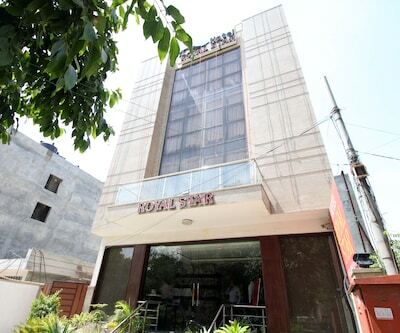 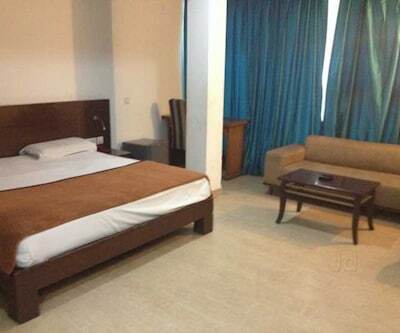 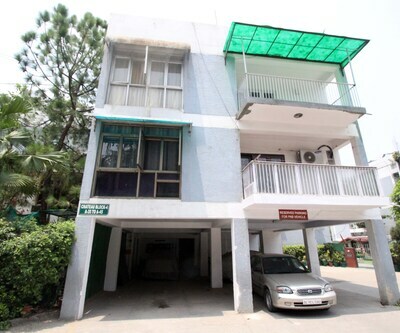 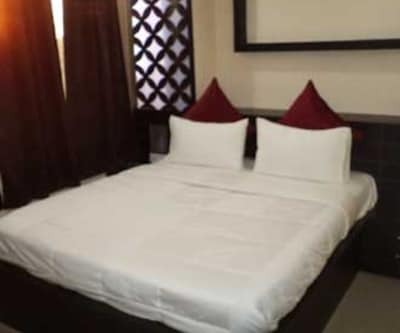 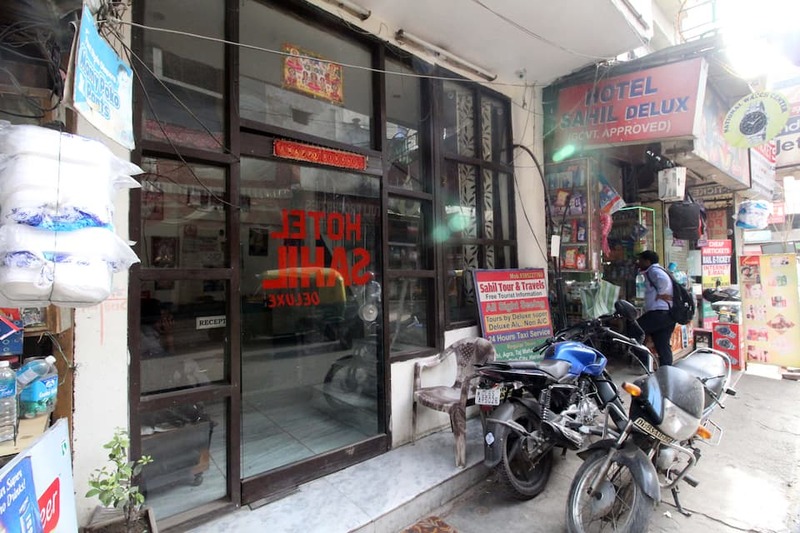 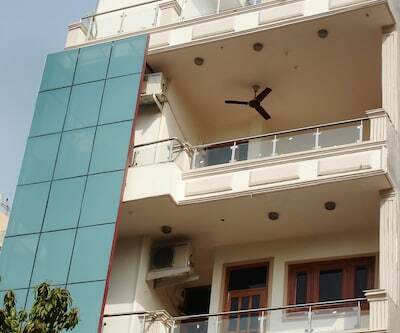 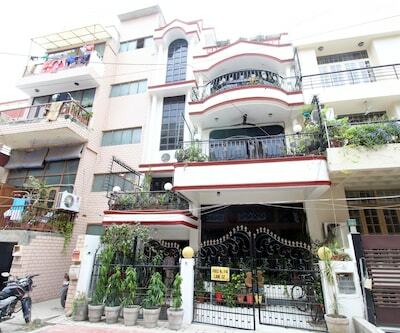 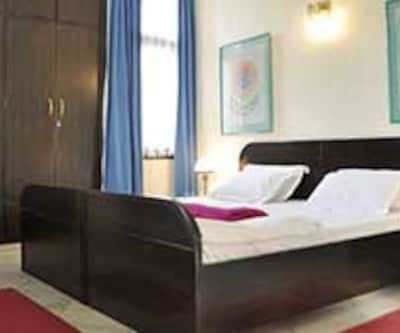 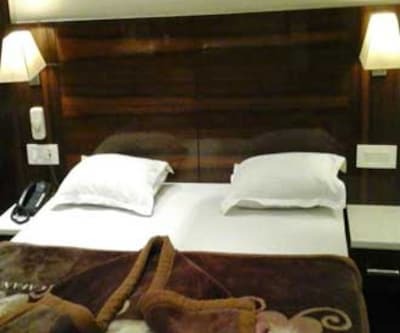 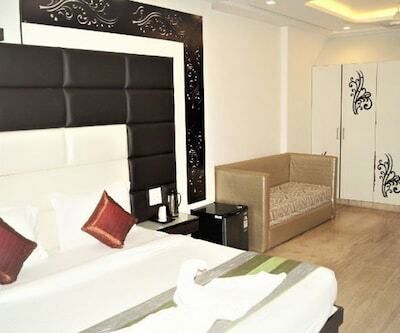 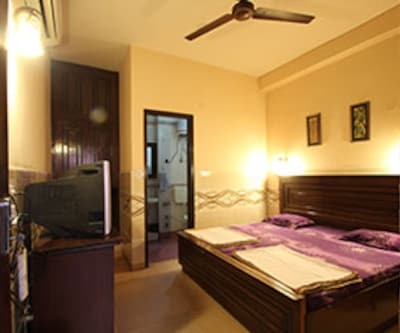 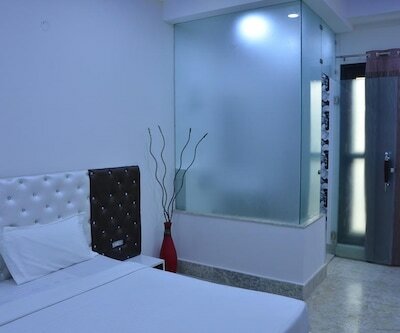 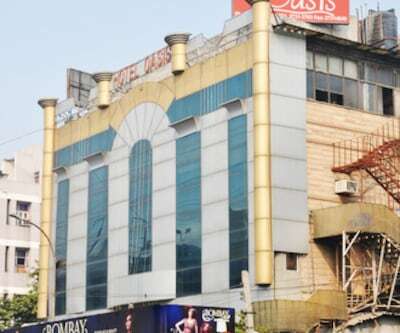 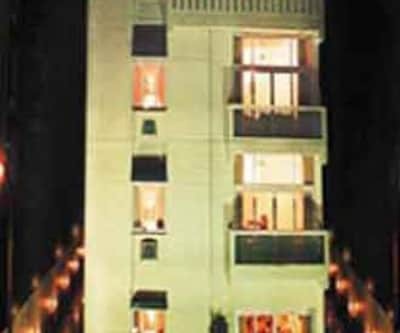 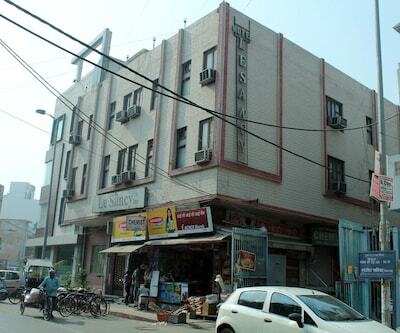 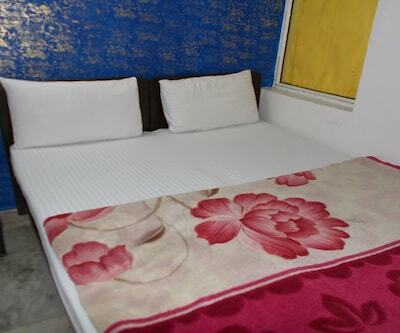 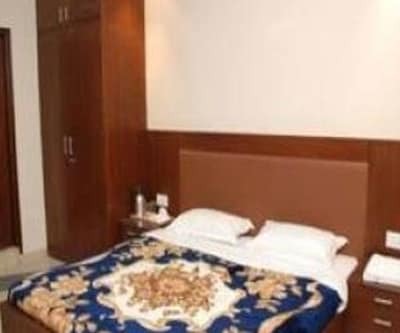 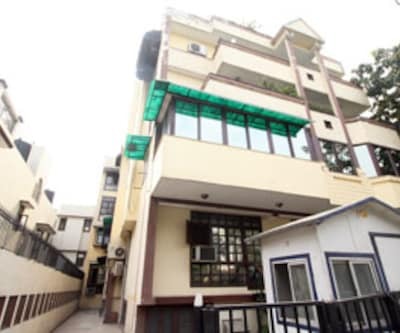 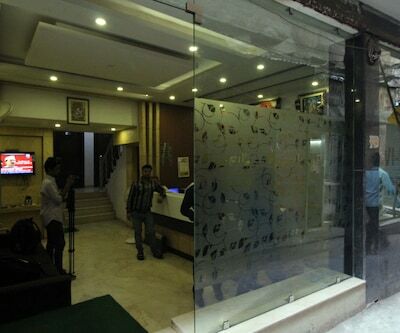 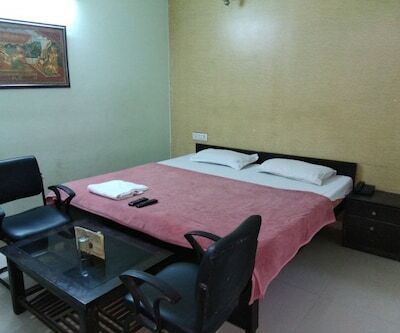 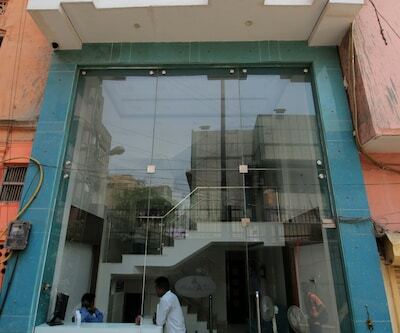 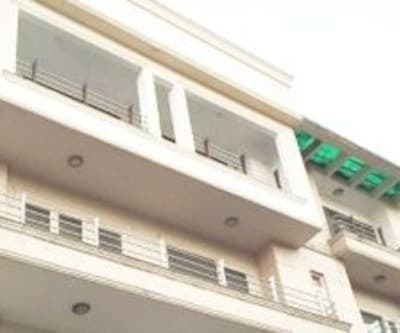 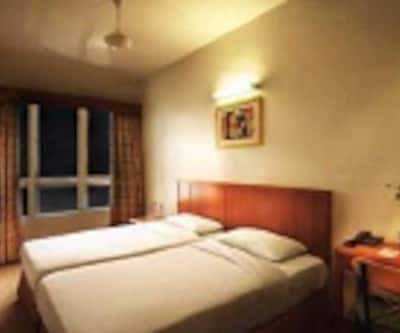 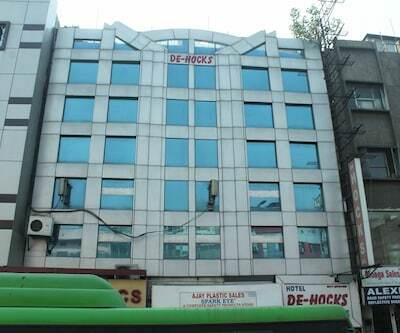 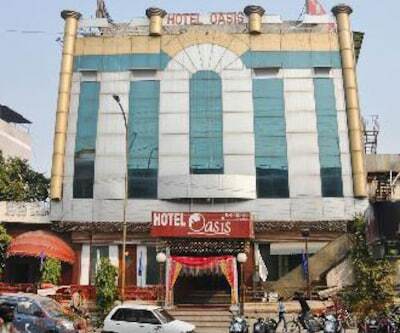 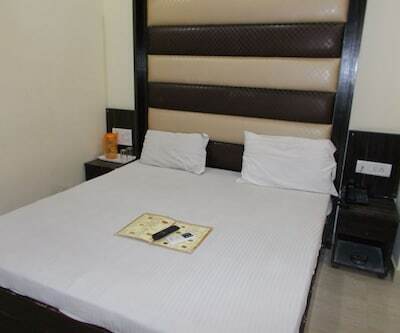 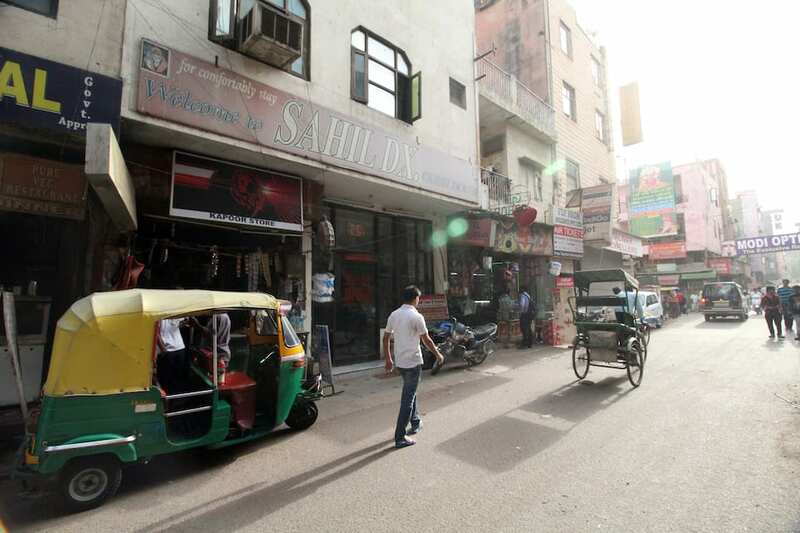 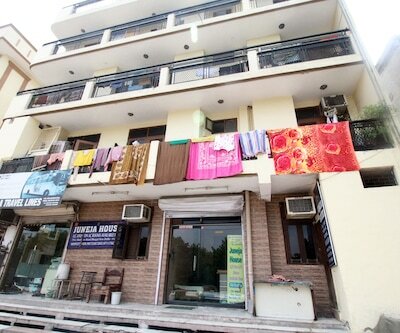 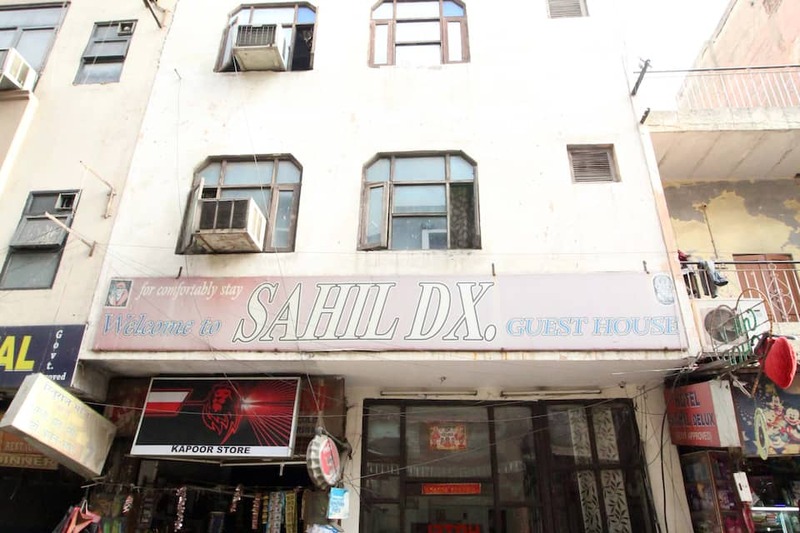 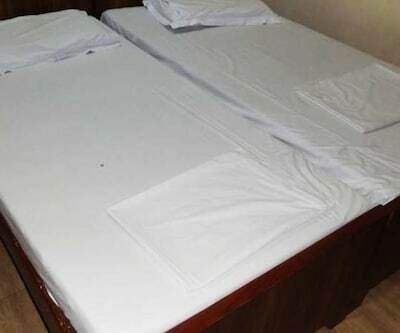 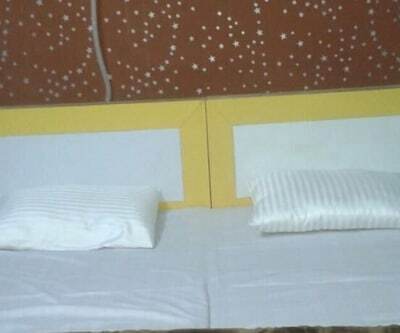 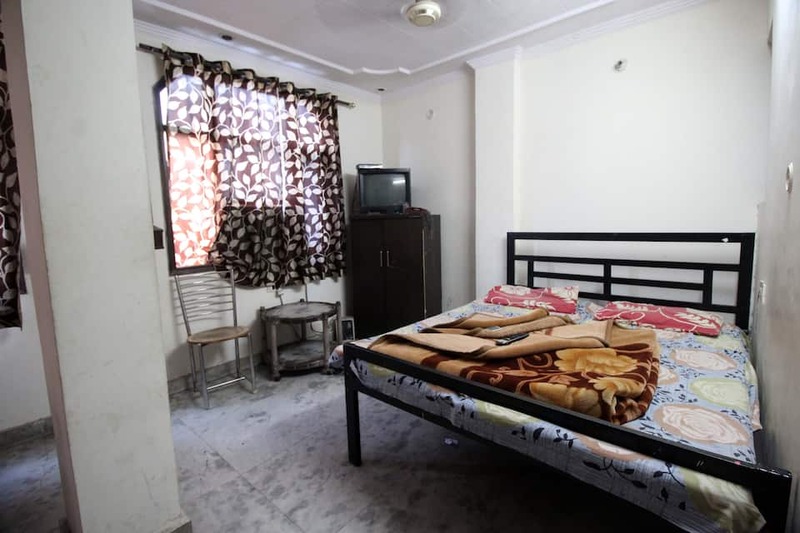 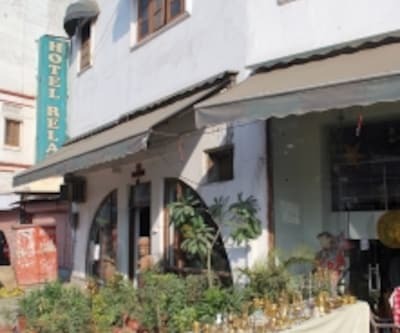 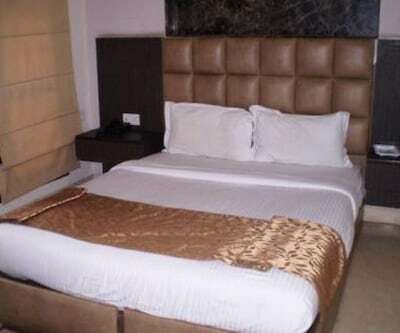 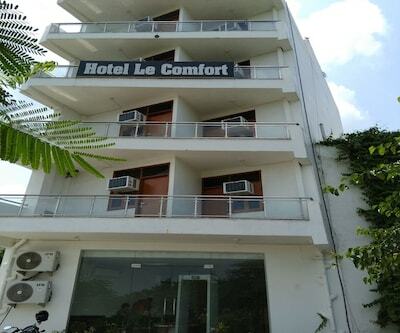 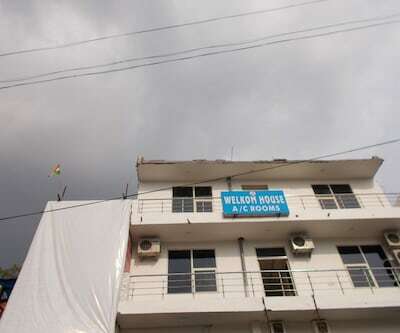 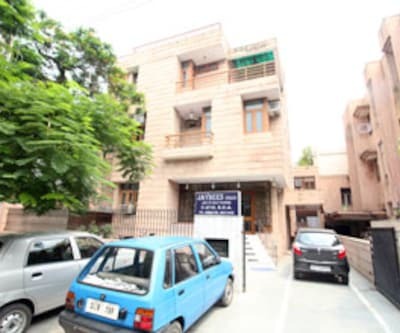 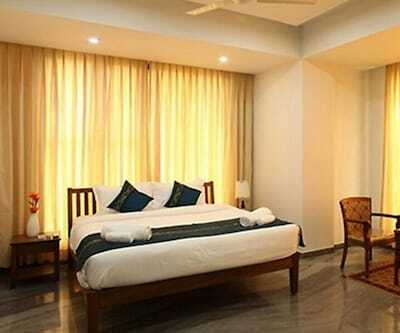 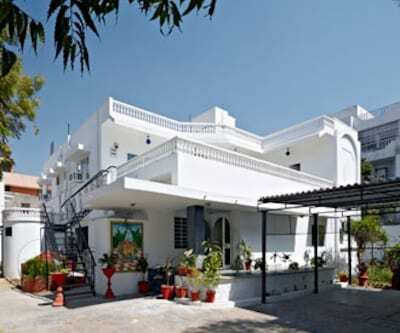 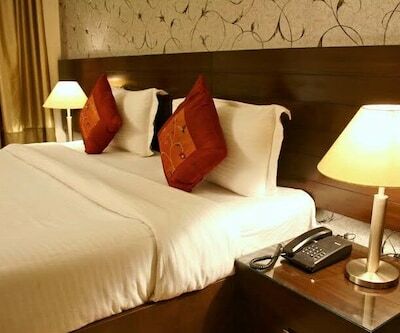 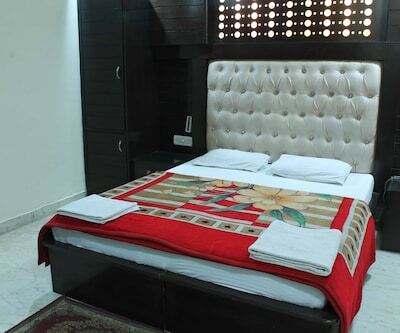 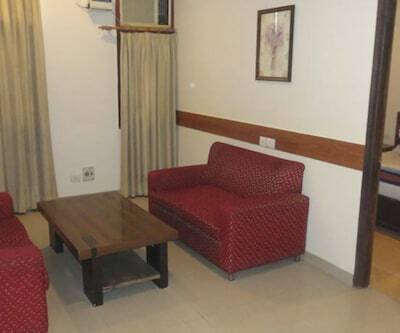 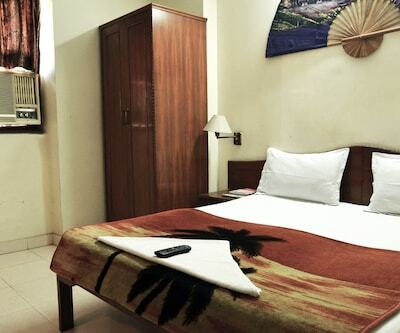 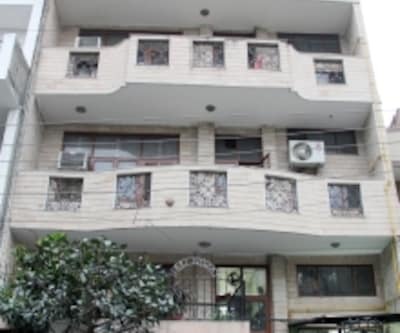 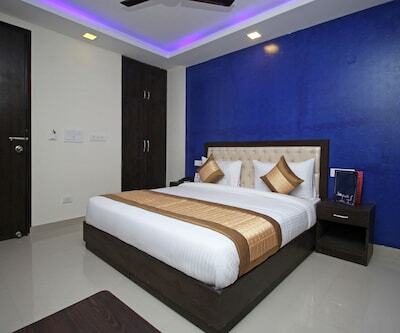 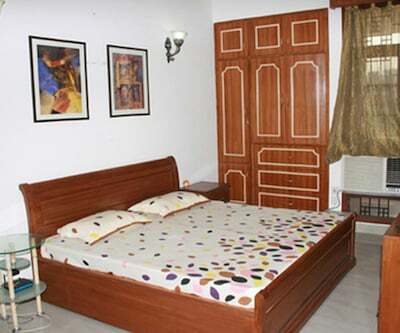 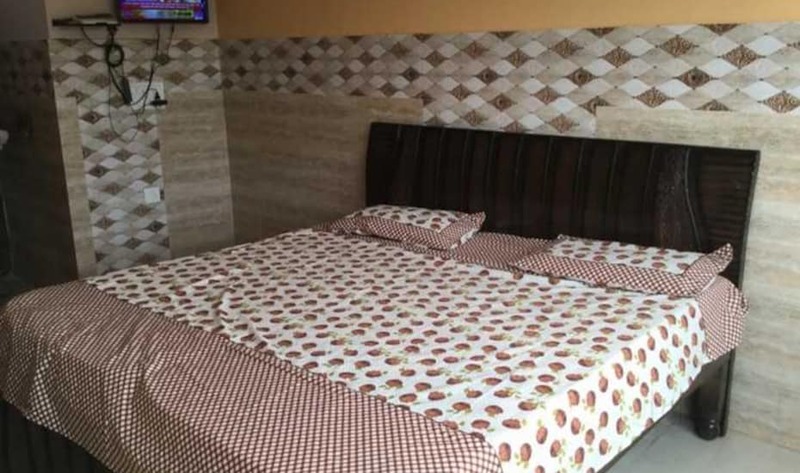 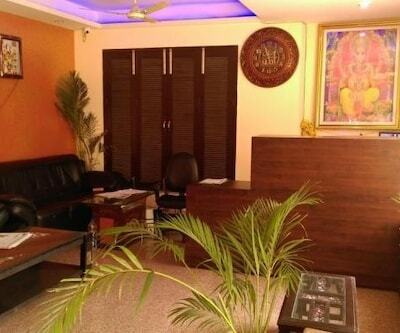 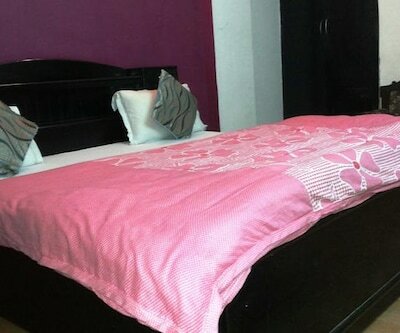 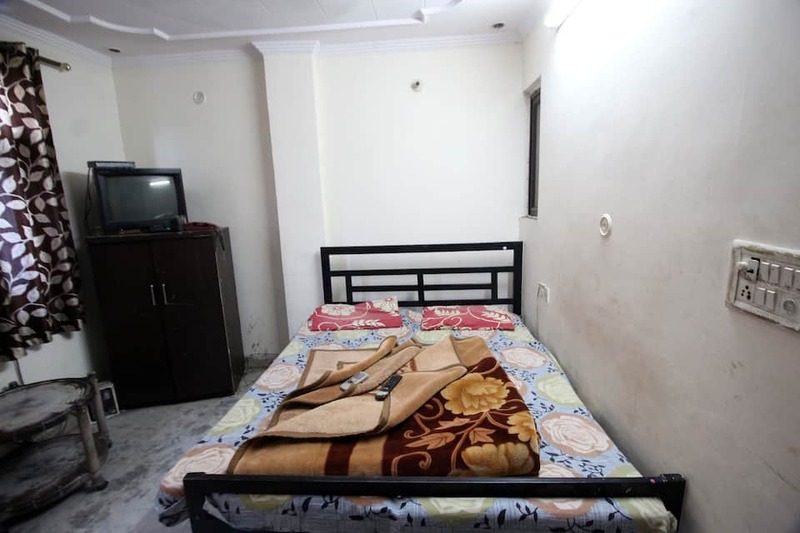 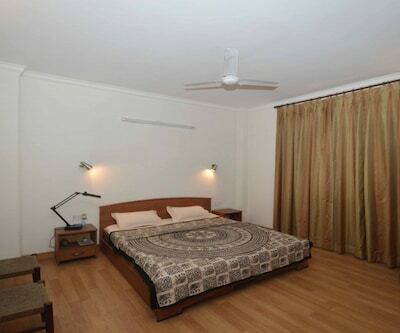 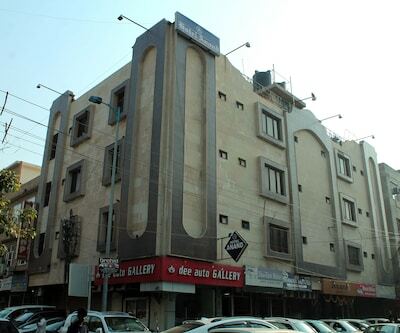 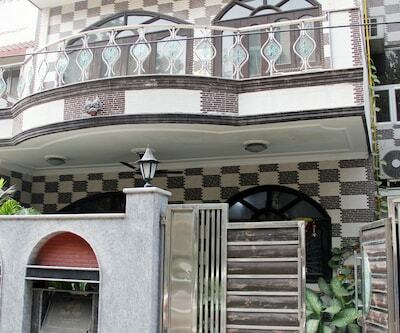 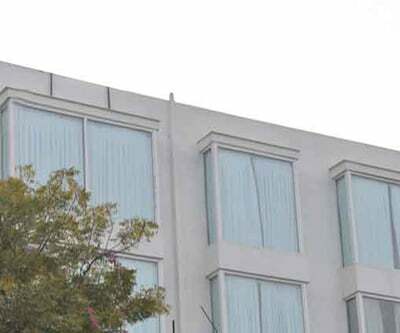 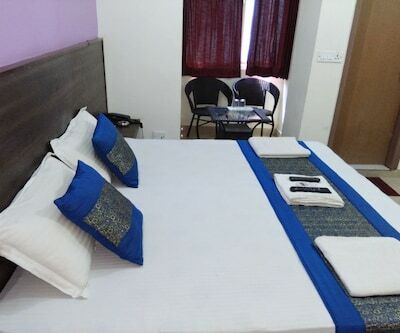 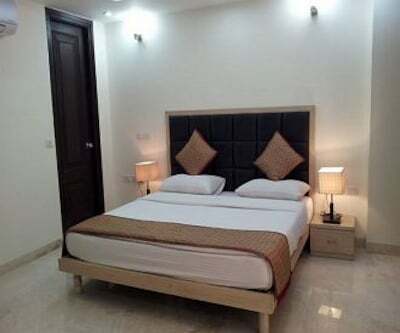 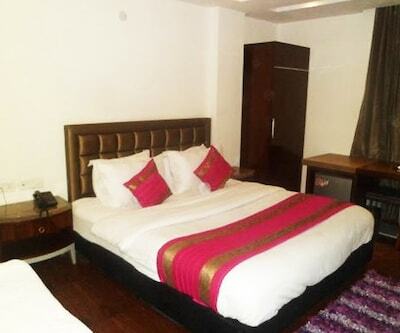 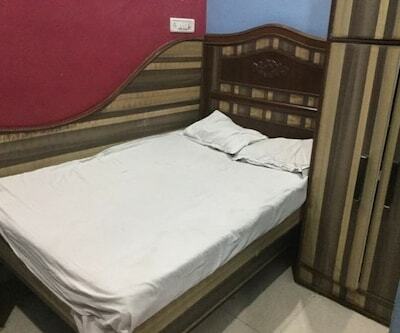 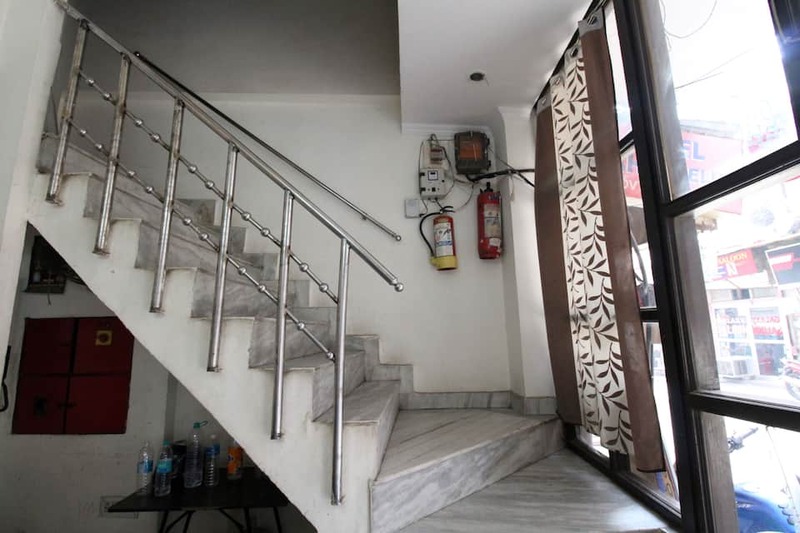 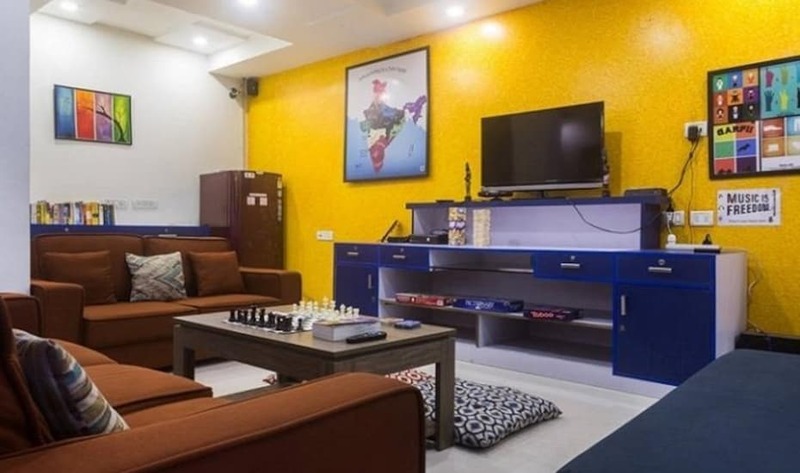 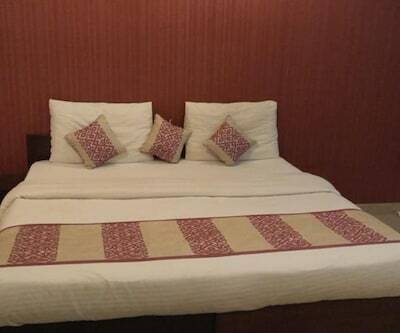 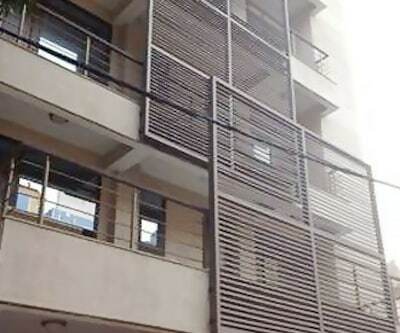 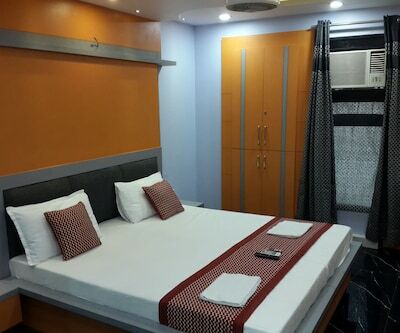 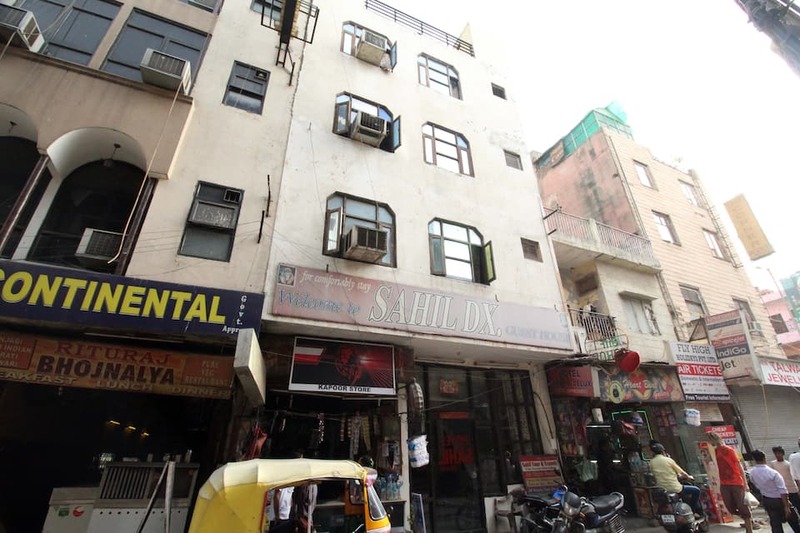 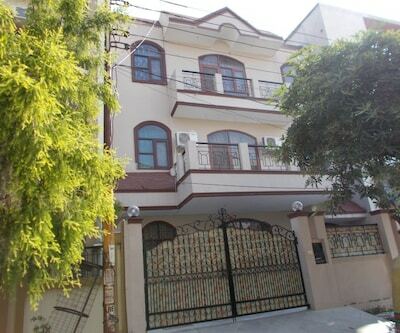 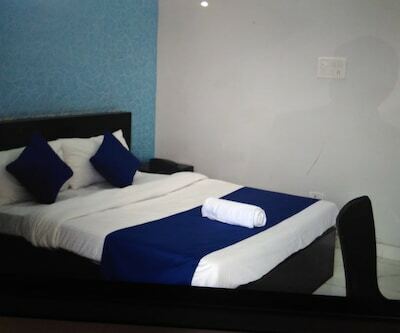 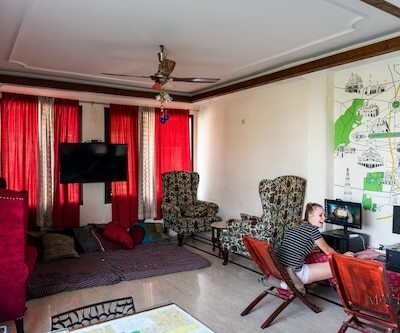 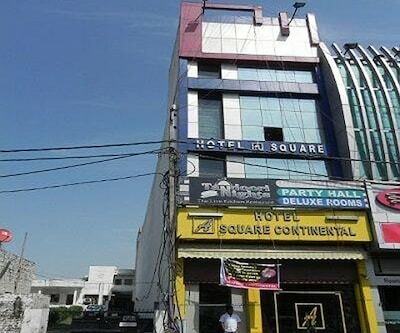 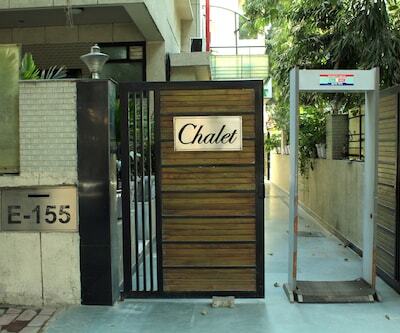 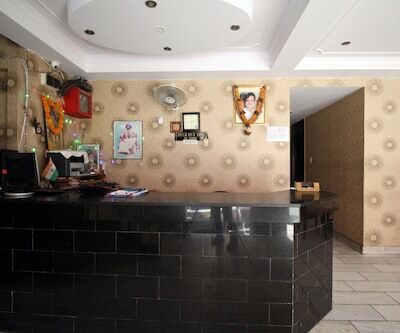 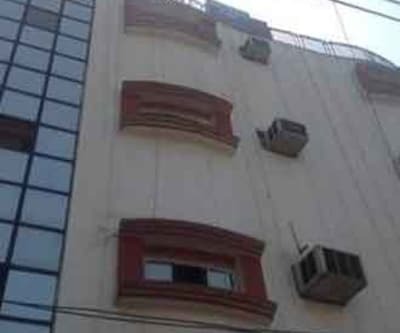 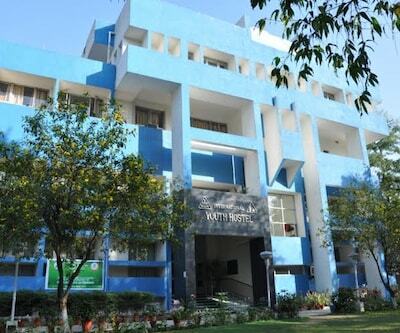 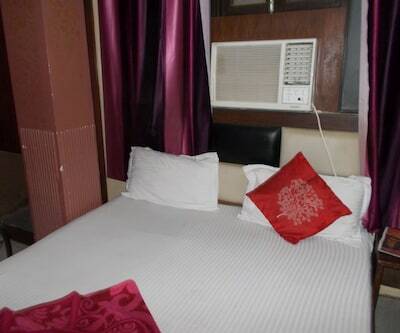 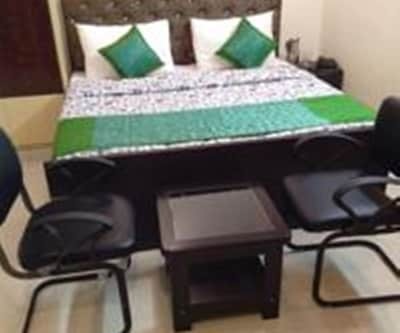 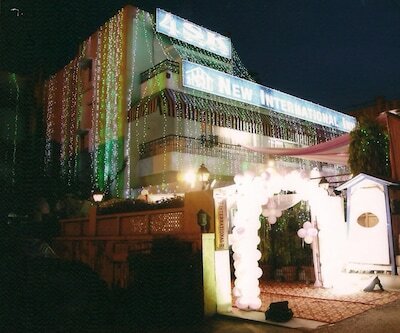 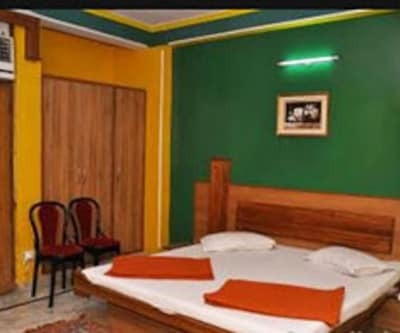 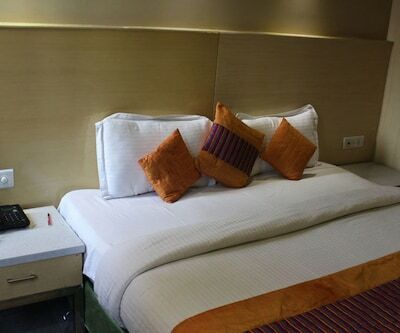 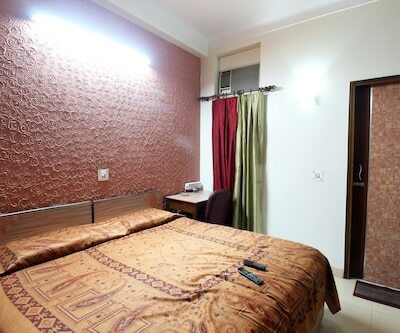 Hotel Sahil Deluxe in New Delhi is a decent property that offers all the required facilities for a peaceful stay. 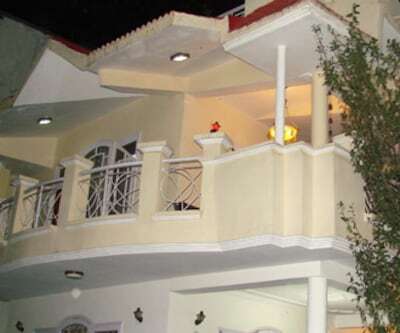 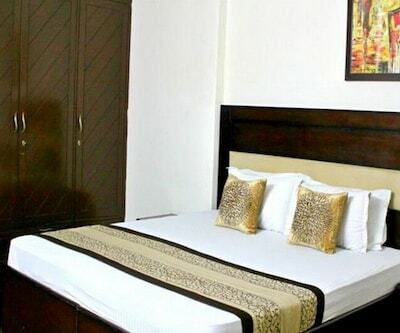 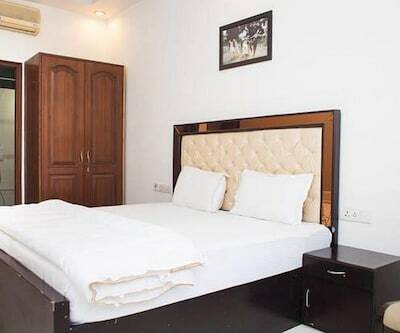 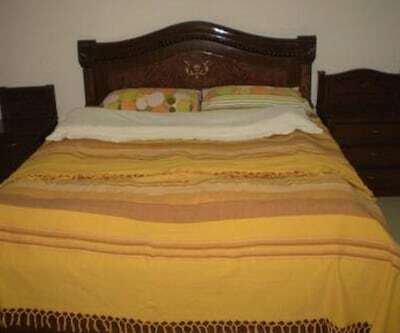 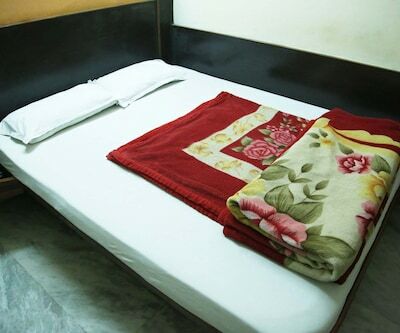 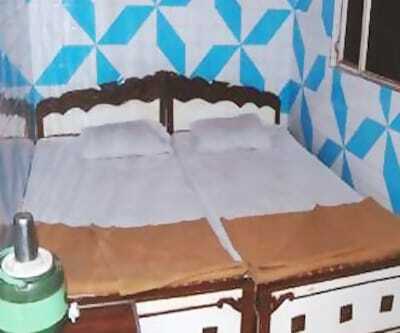 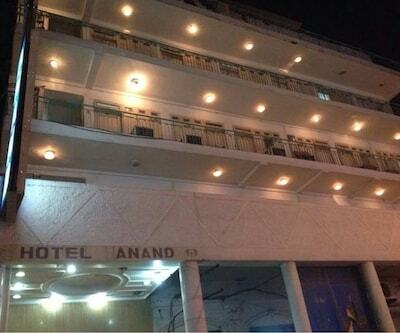 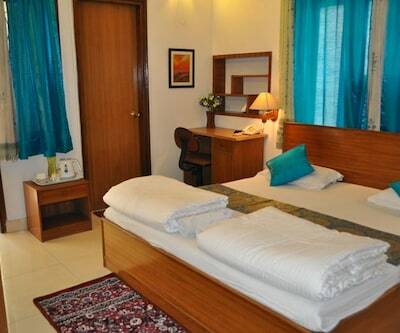 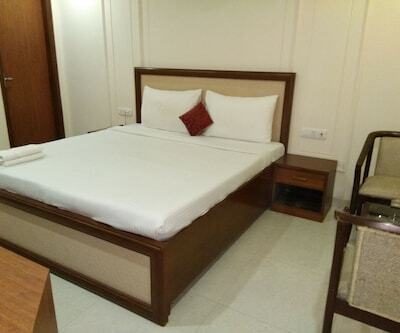 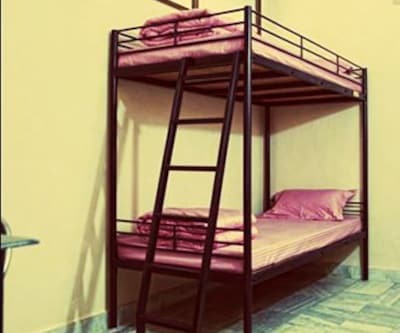 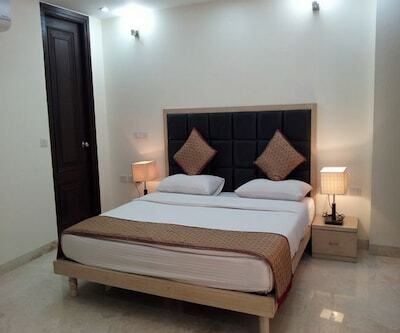 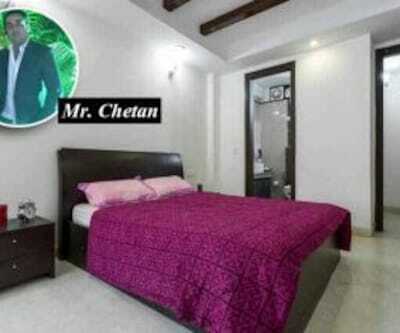 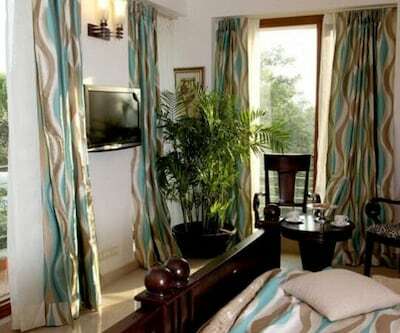 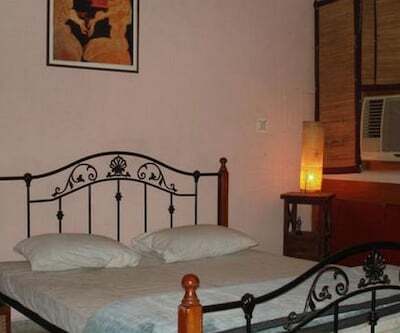 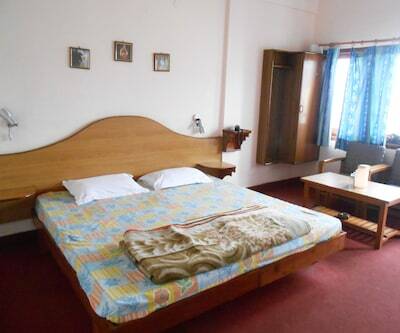 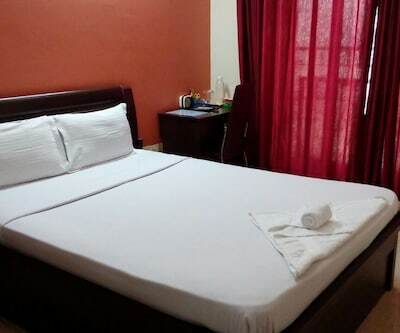 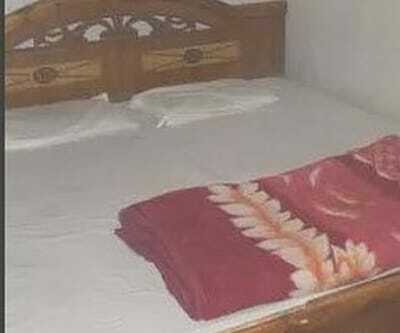 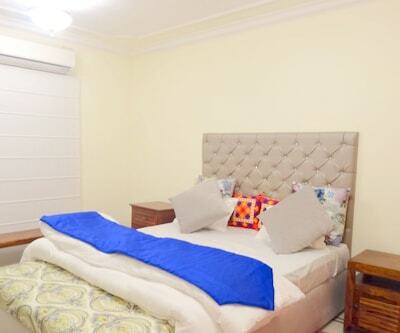 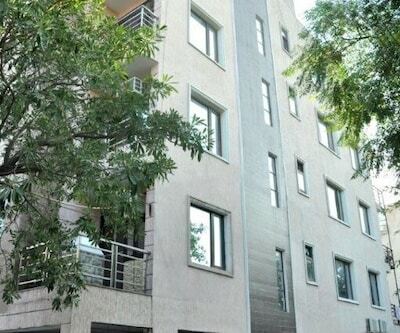 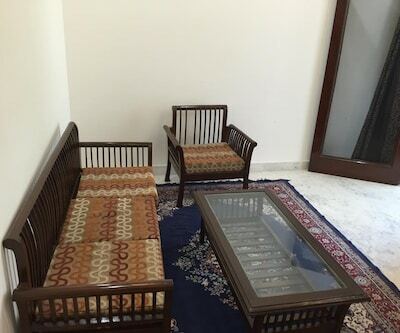 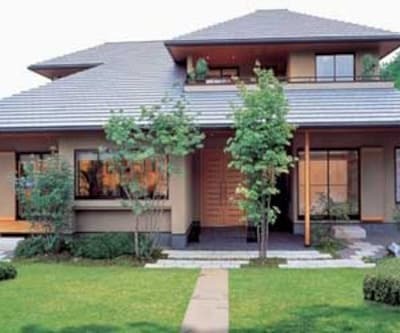 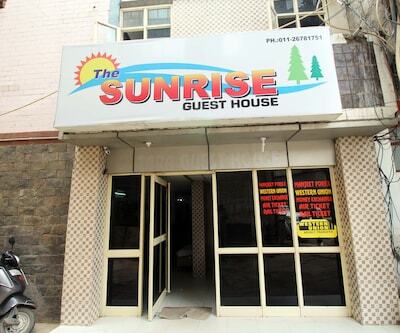 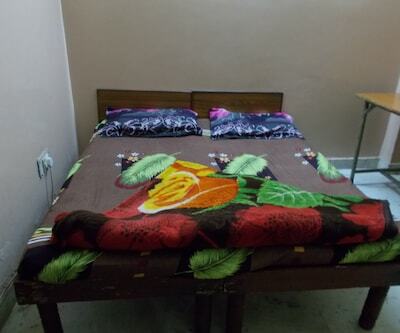 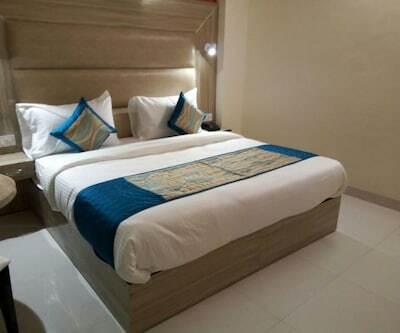 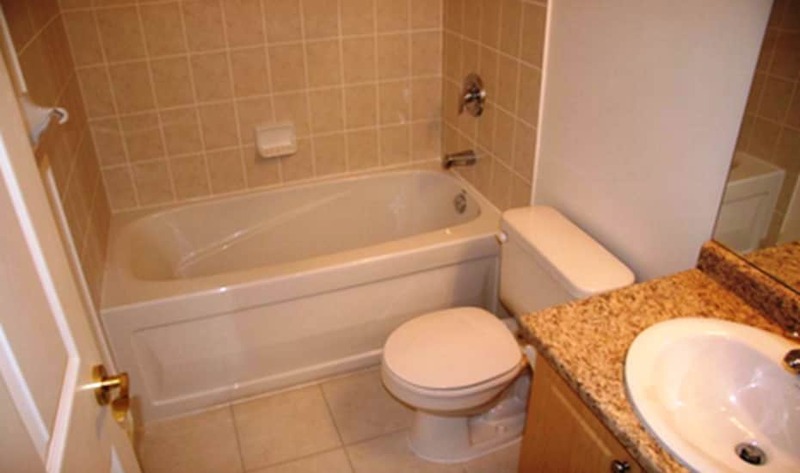 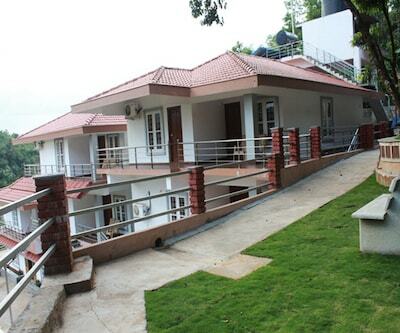 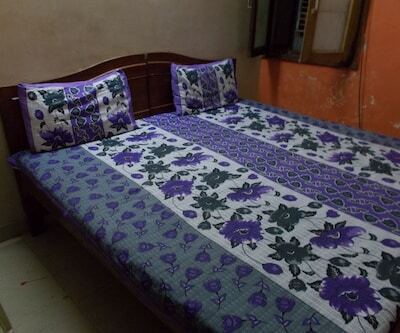 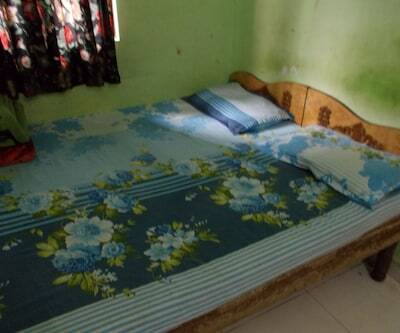 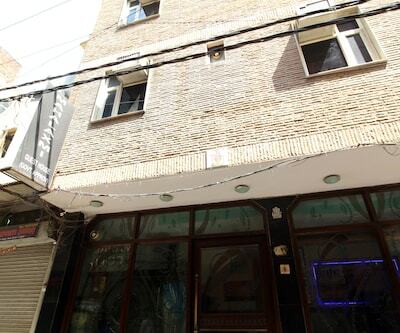 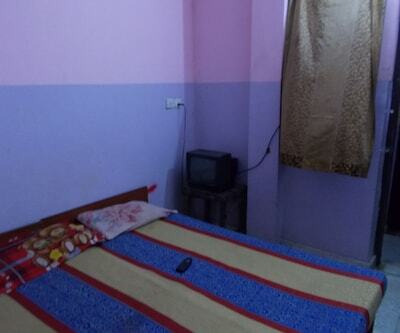 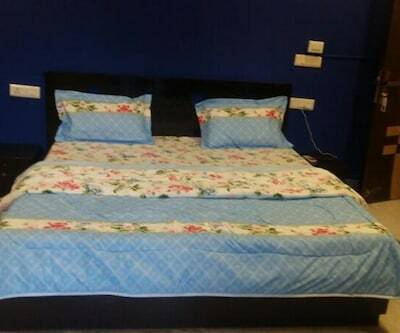 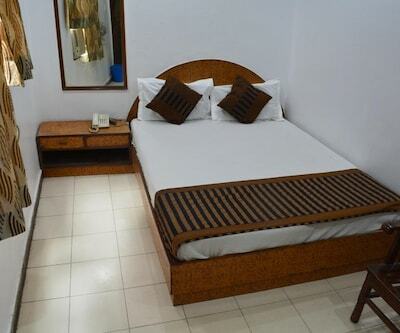 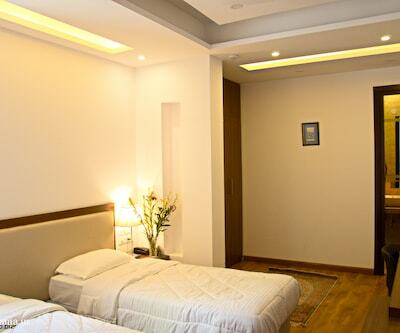 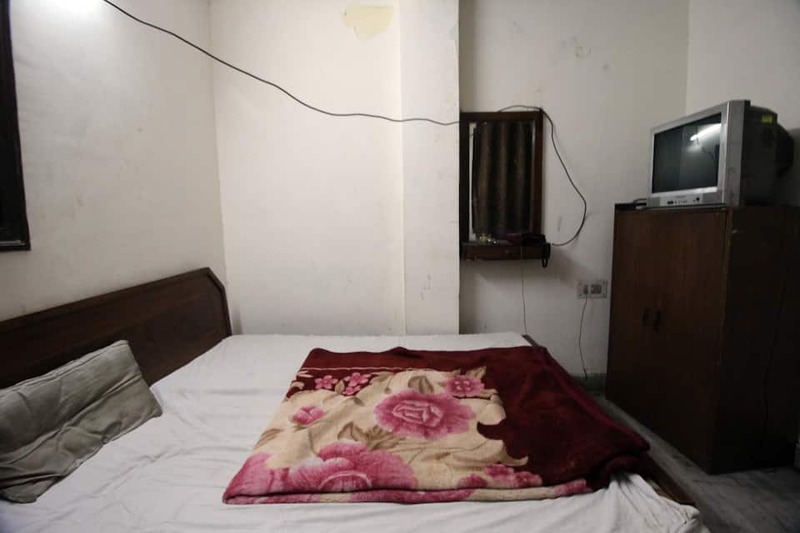 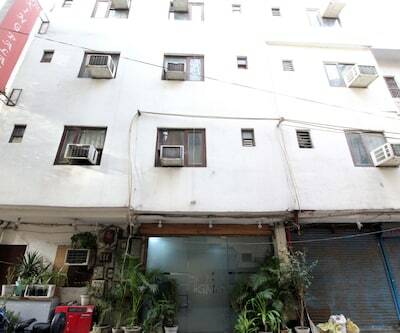 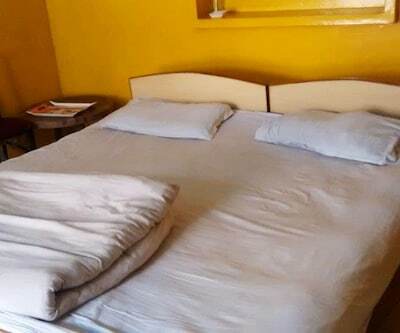 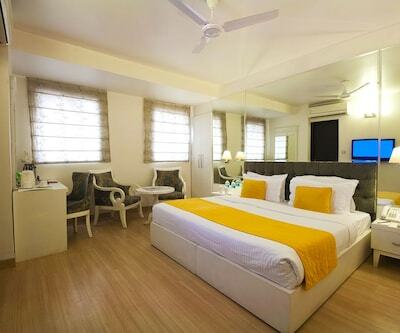 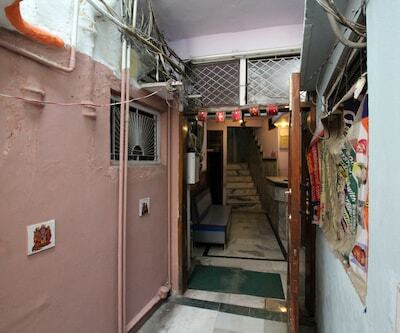 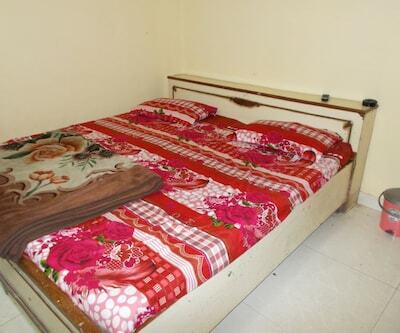 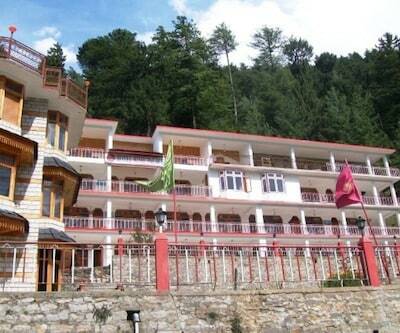 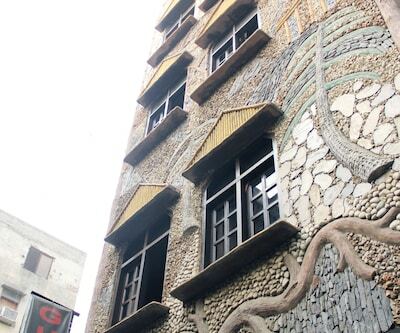 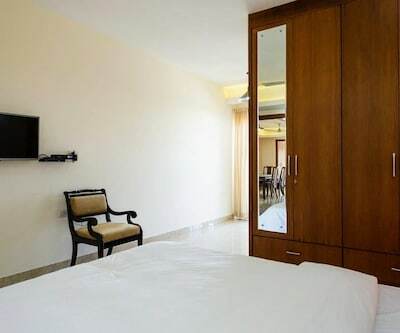 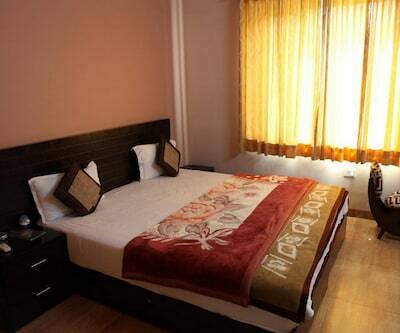 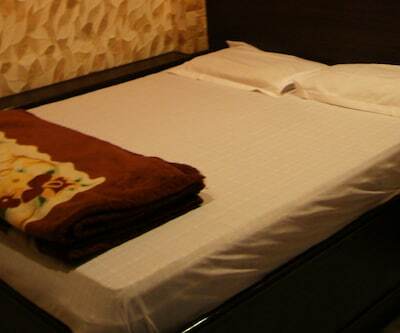 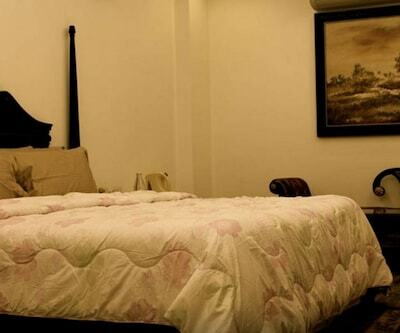 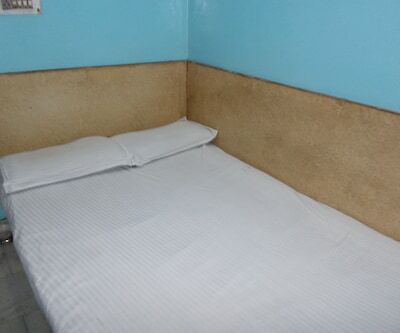 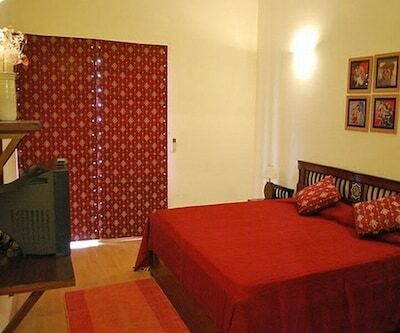 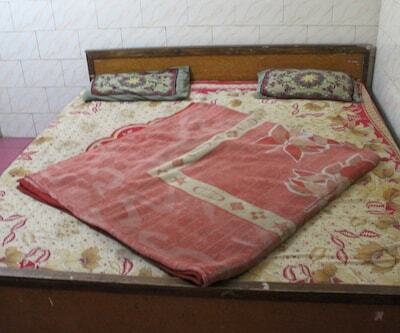 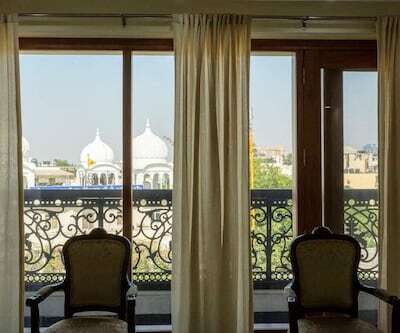 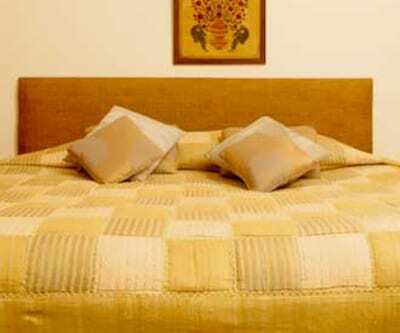 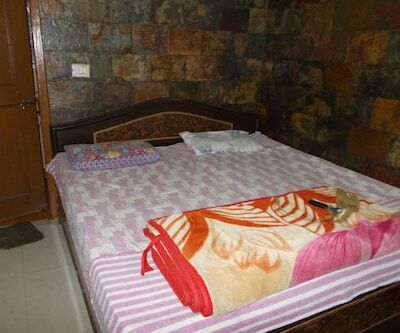 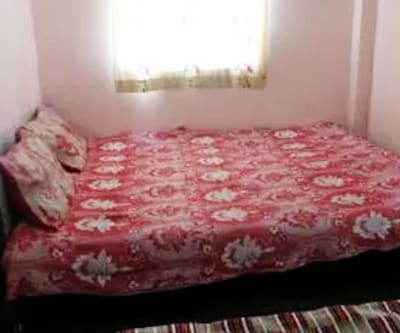 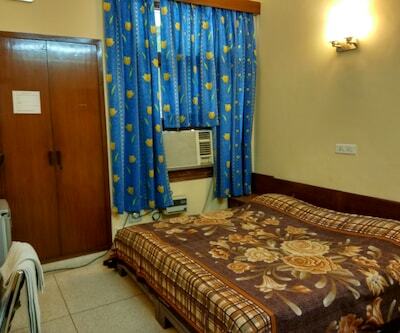 It provides 12 spacious and well-maintained rooms. 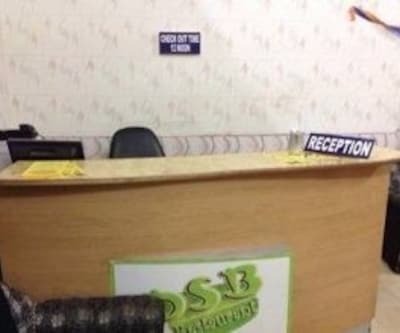 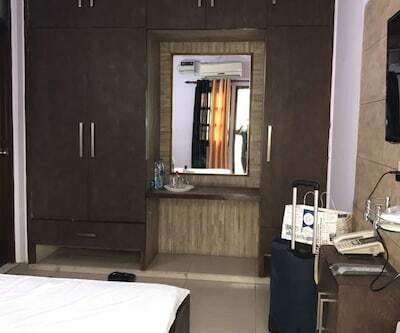 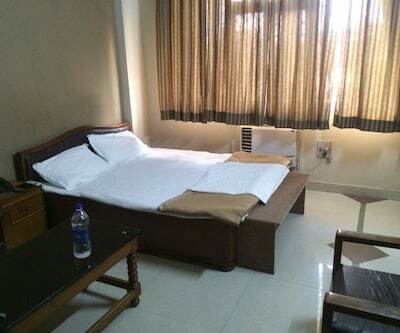 Facilities offered here include front desk, room service, laundry, medical services, multilingual staff, parking and many more amenities. 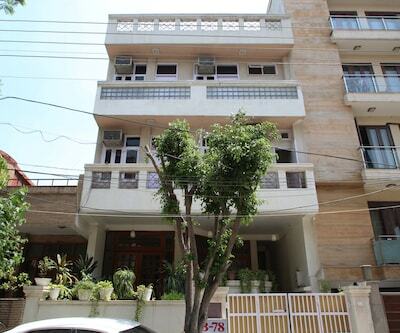 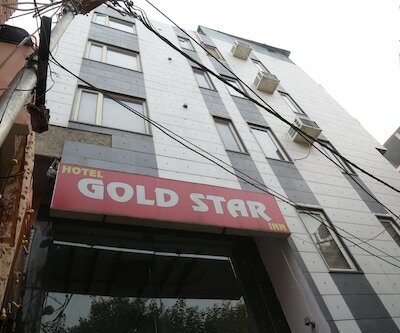 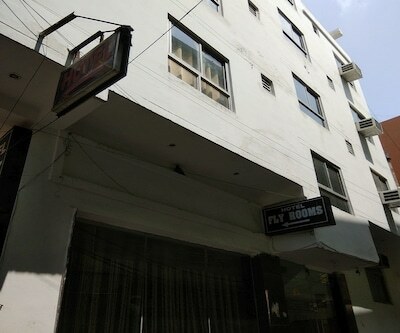 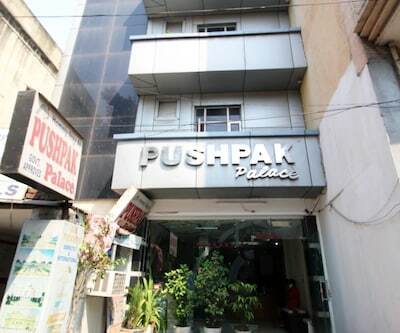 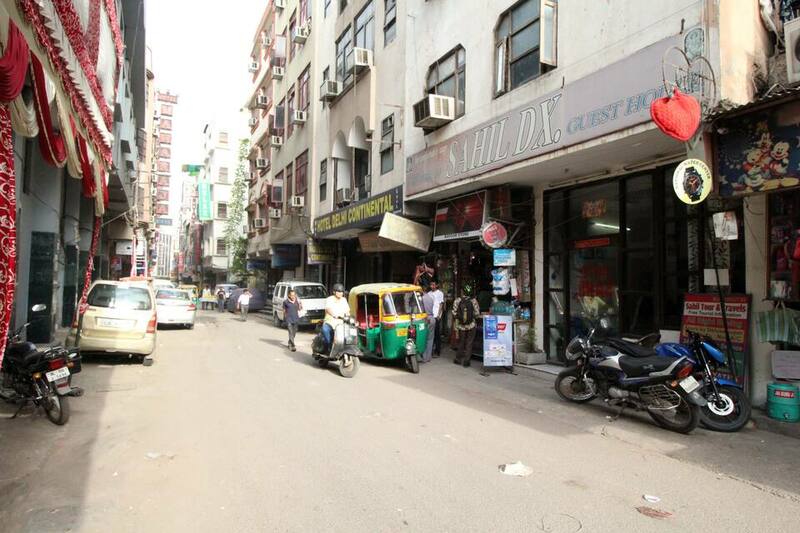 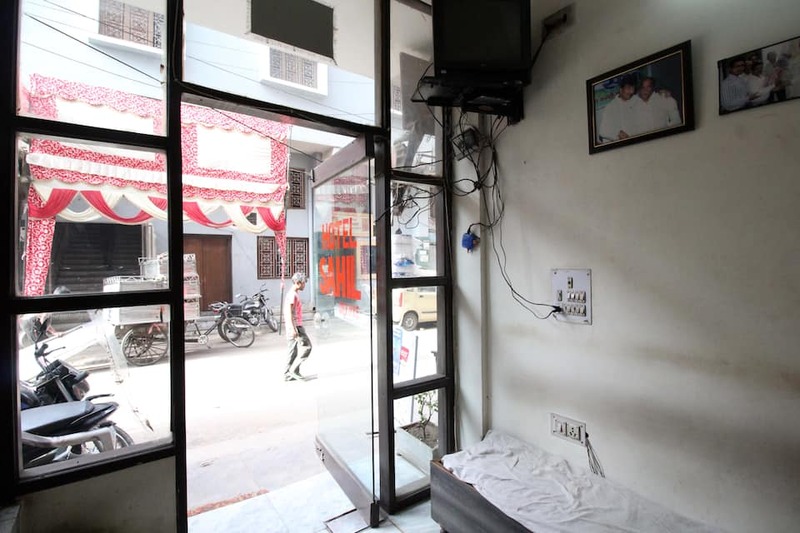 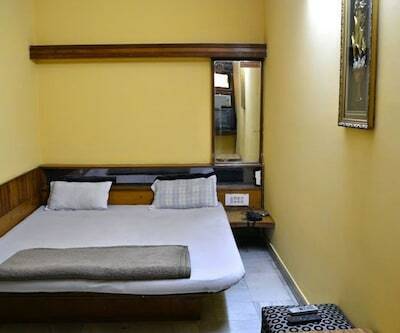 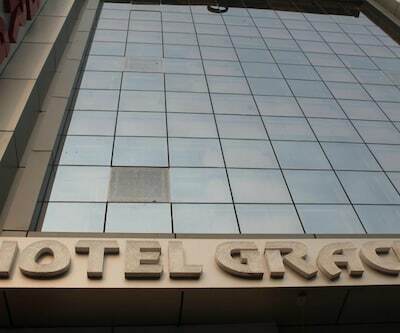 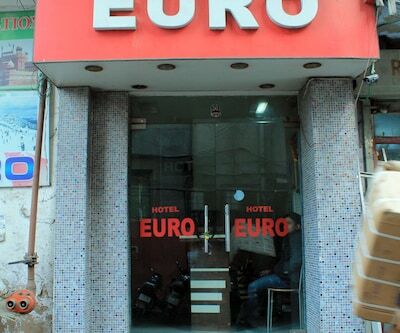 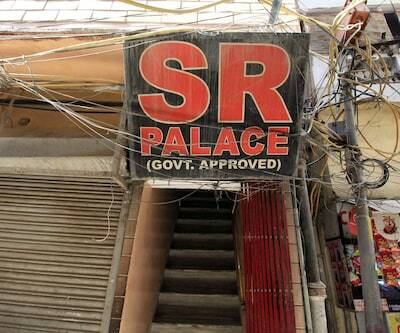 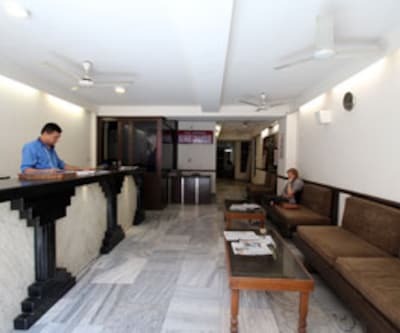 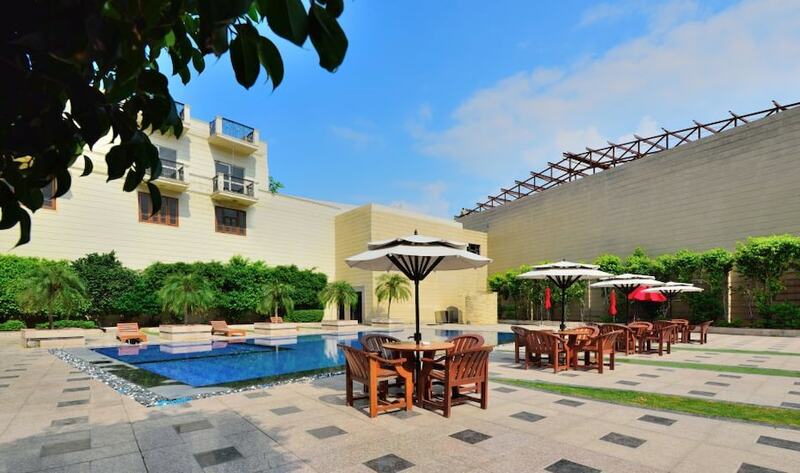 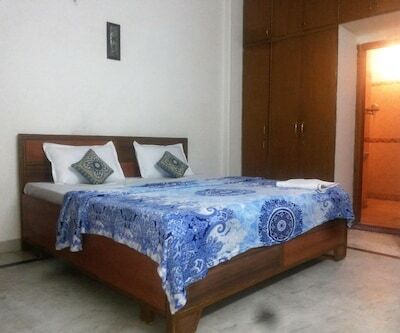 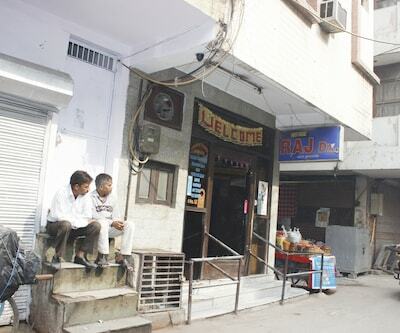 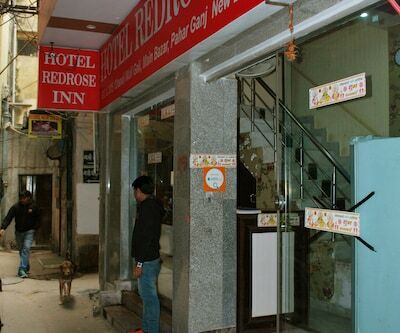 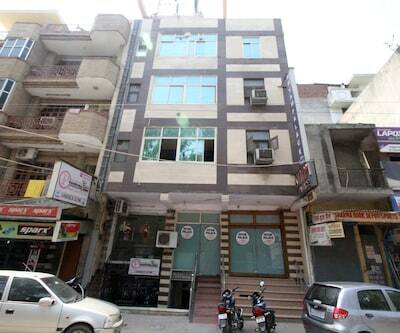 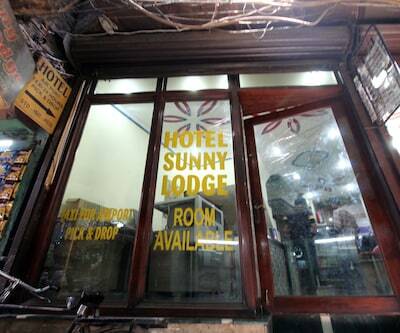 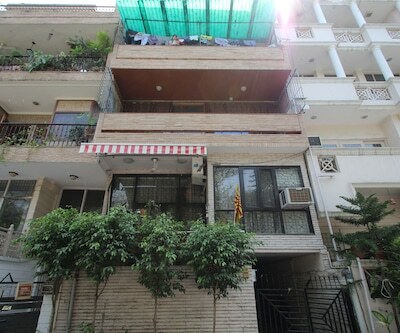 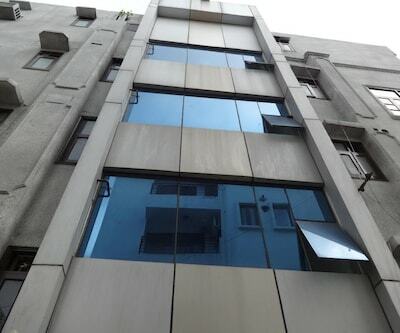 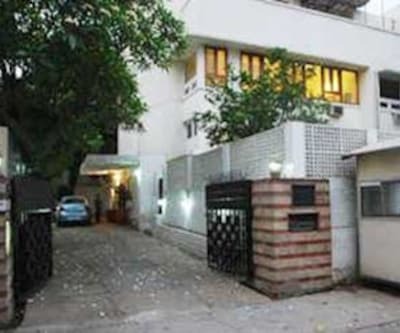 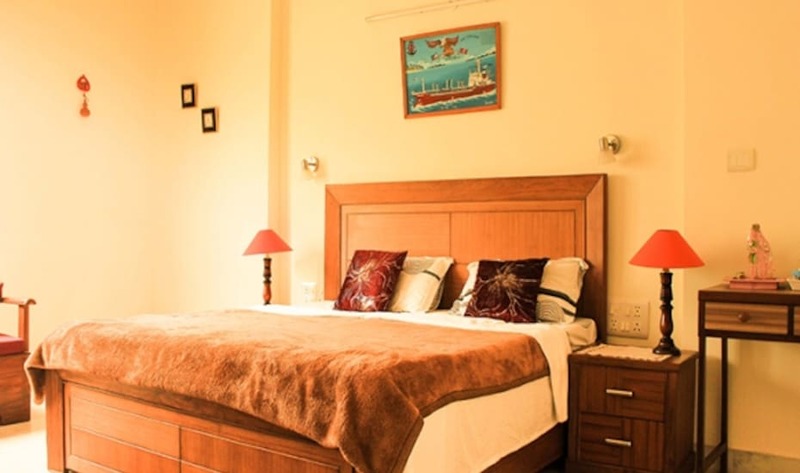 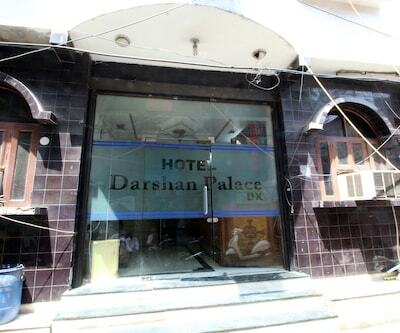 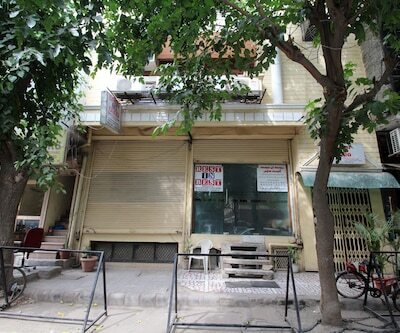 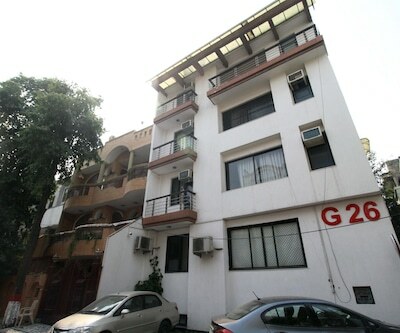 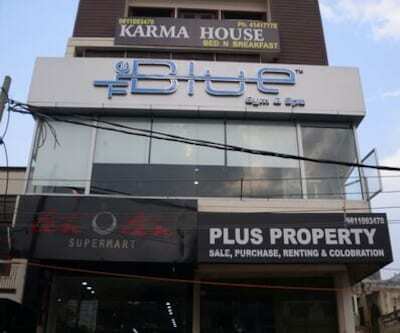 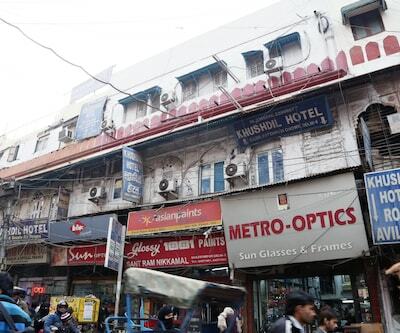 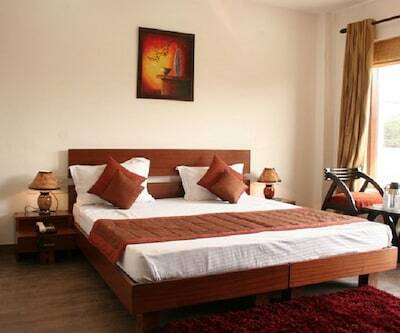 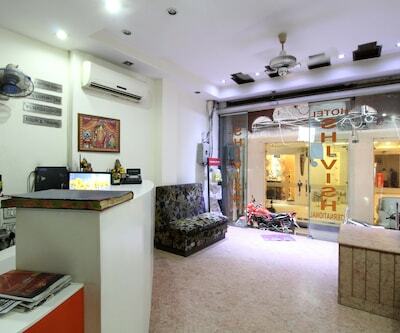 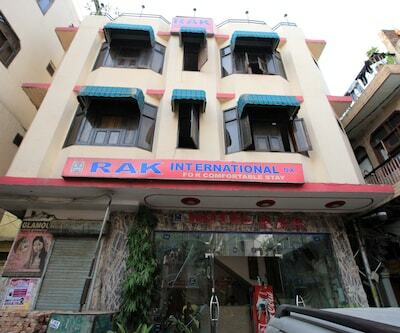 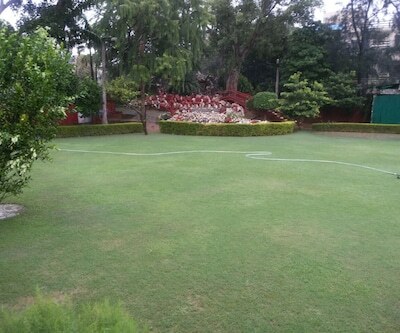 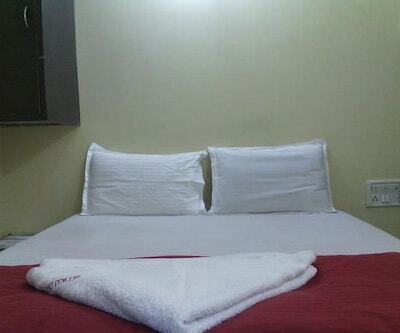 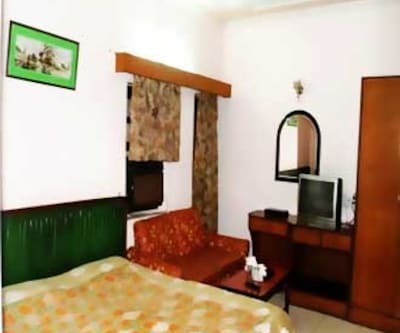 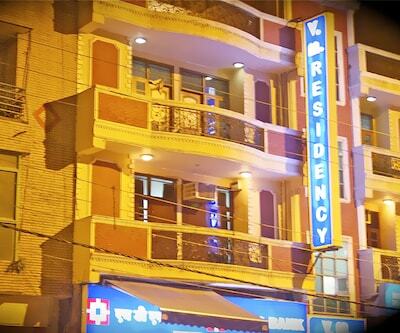 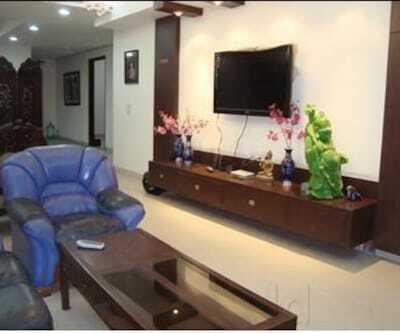 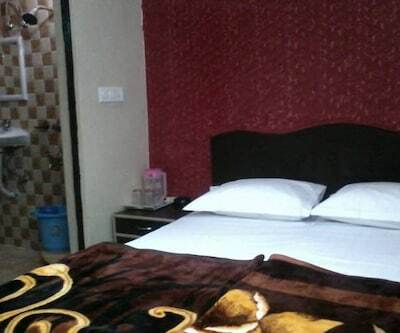 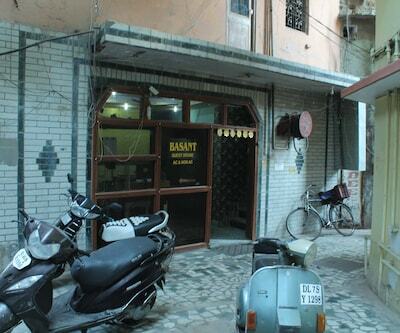 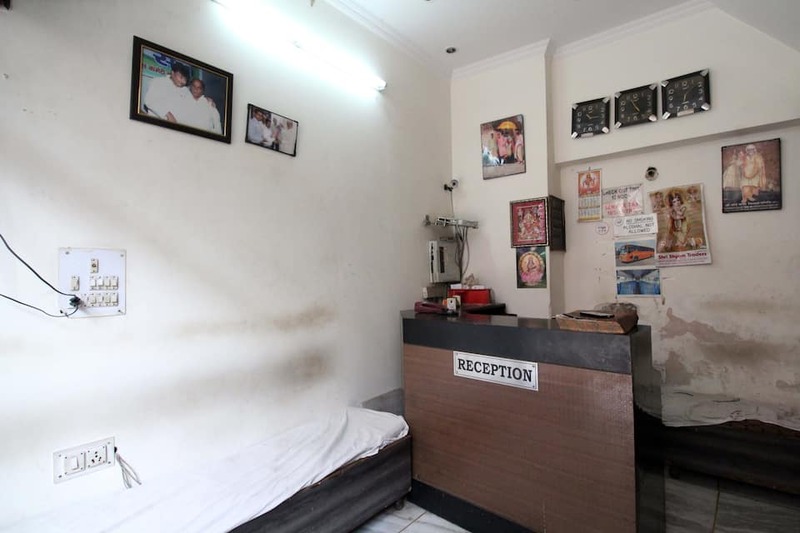 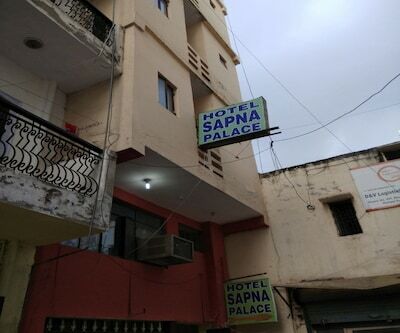 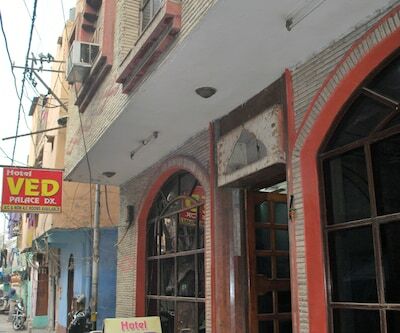 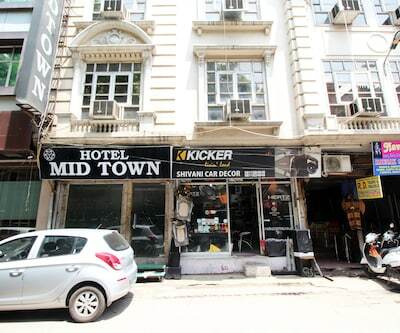 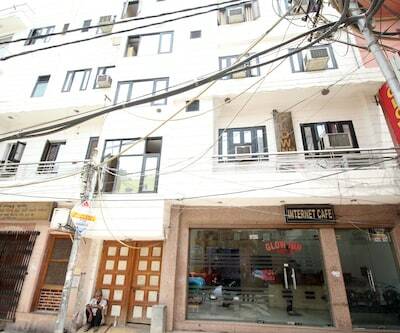 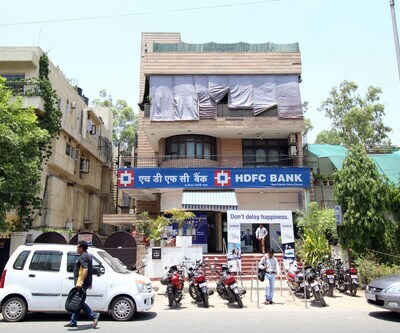 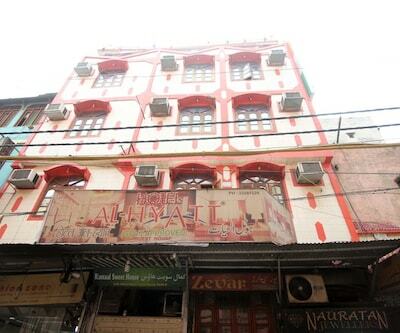 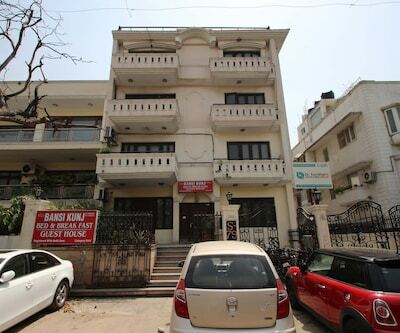 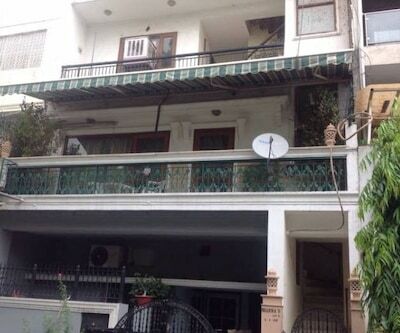 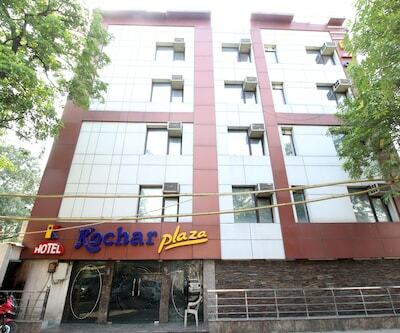 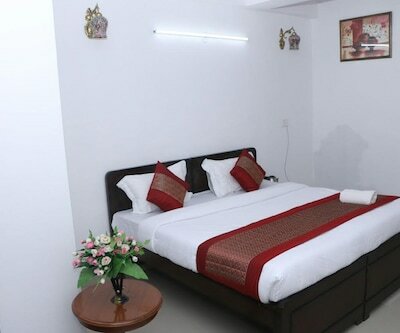 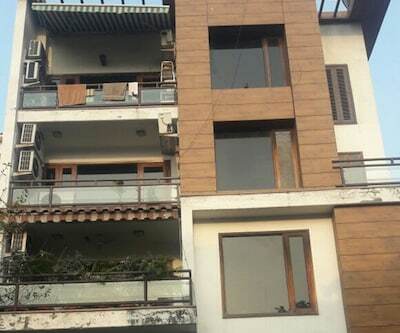 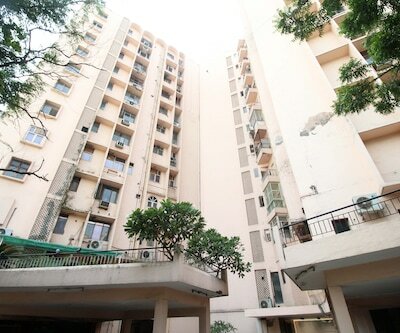 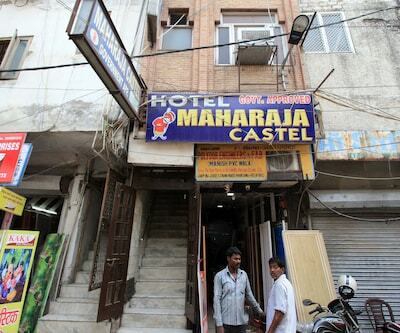 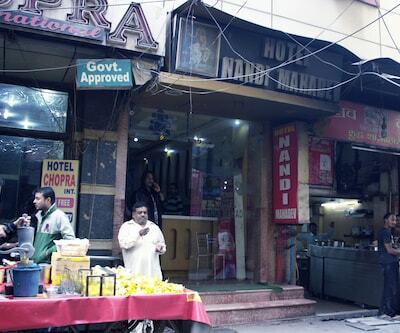 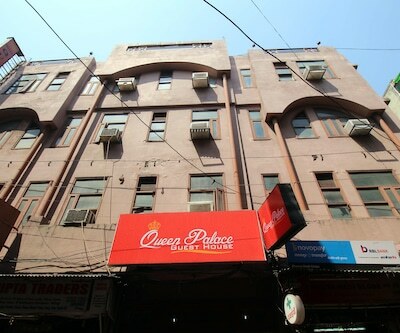 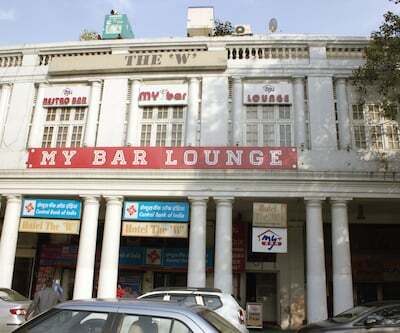 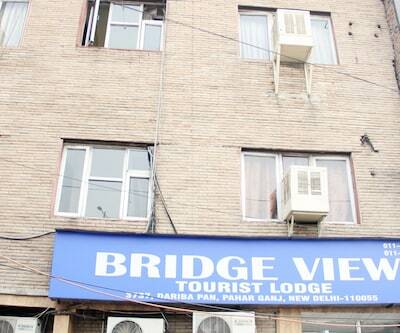 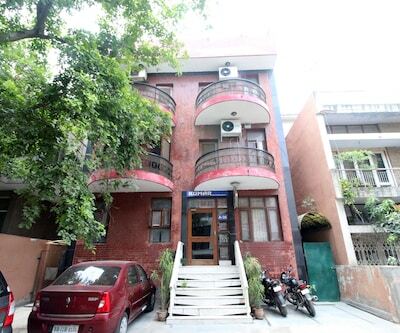 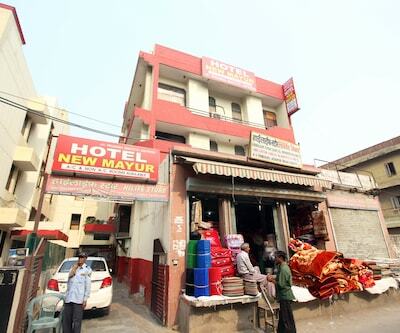 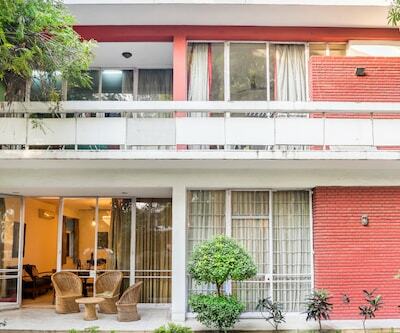 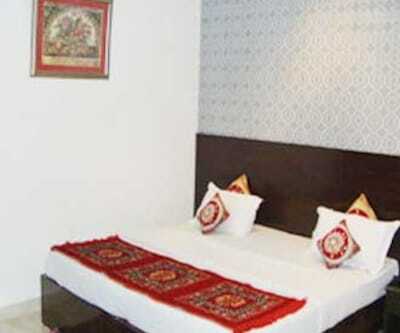 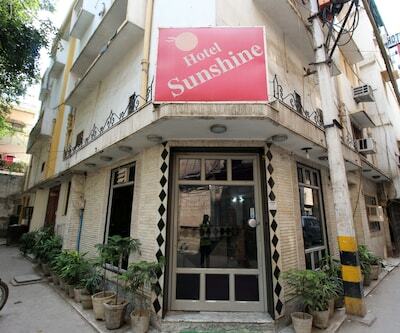 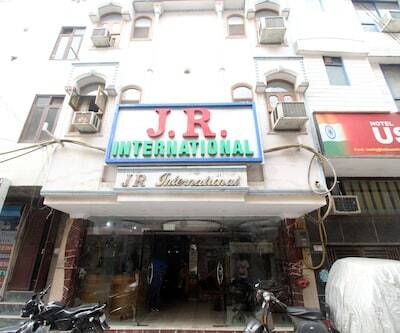 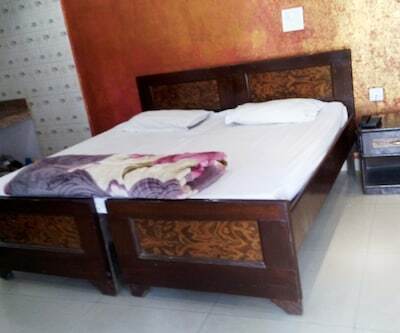 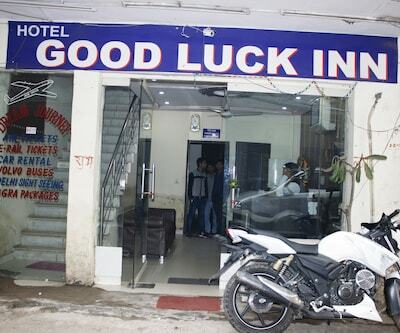 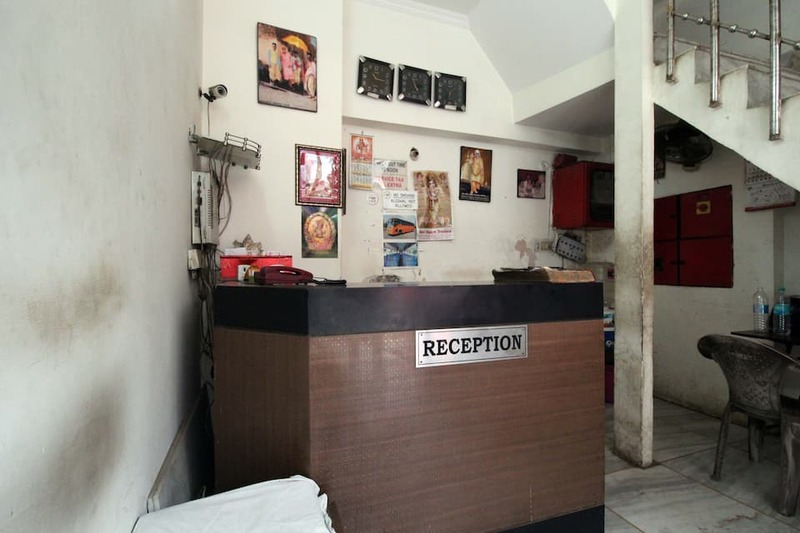 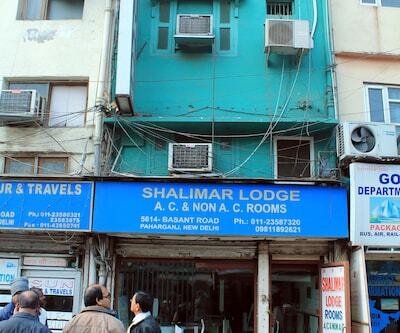 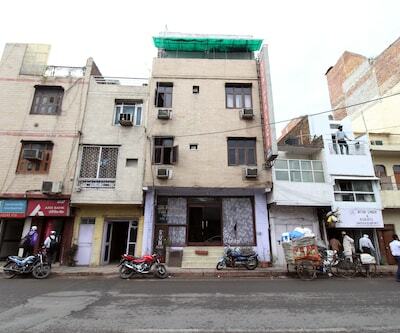 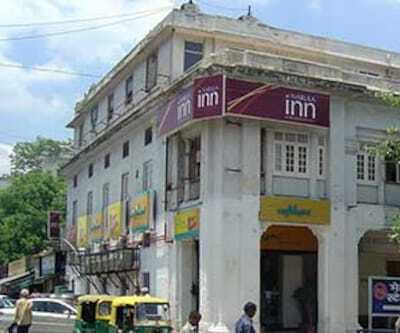 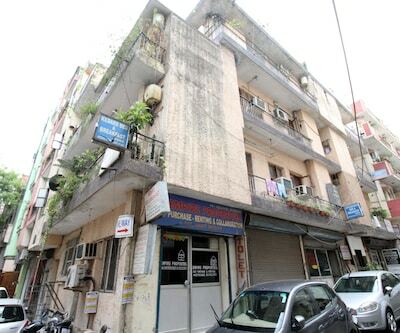 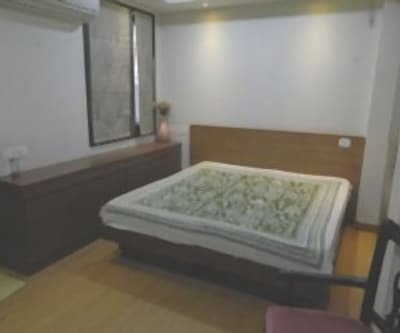 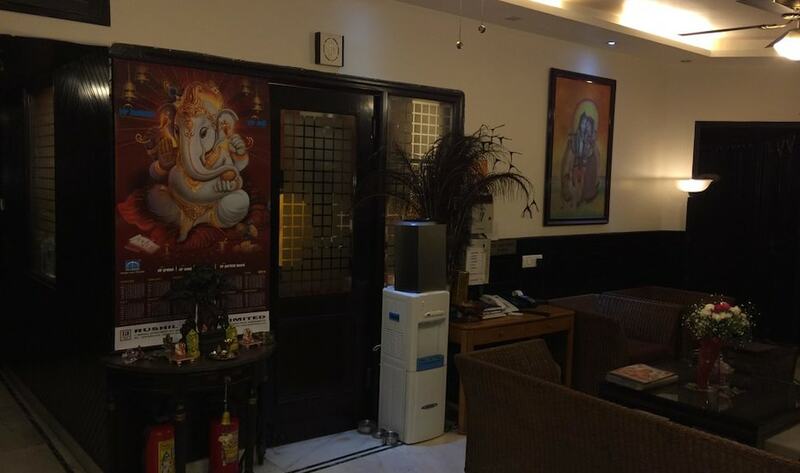 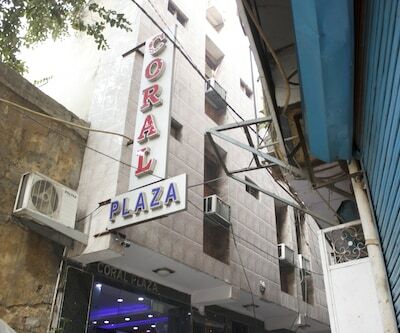 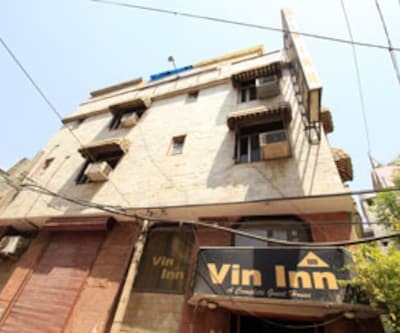 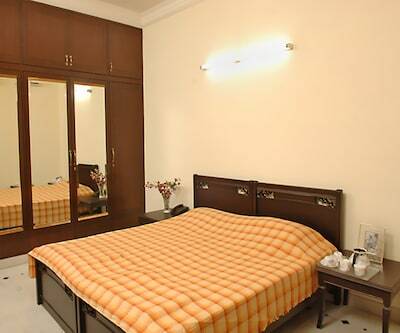 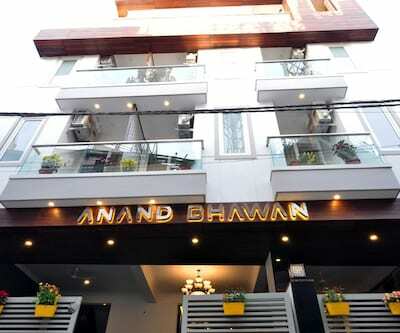 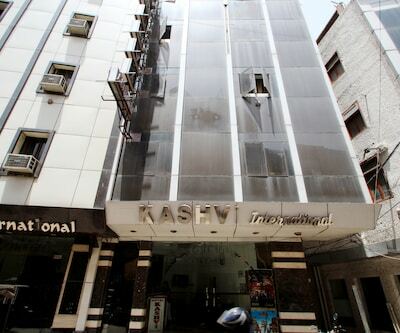 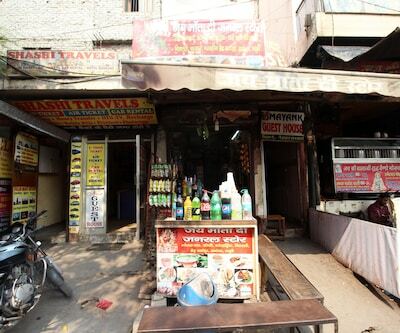 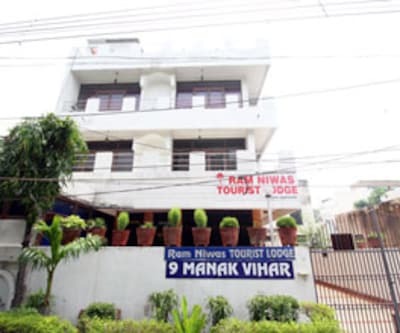 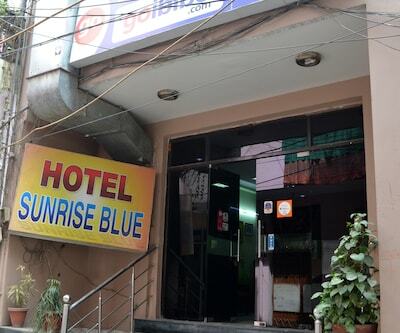 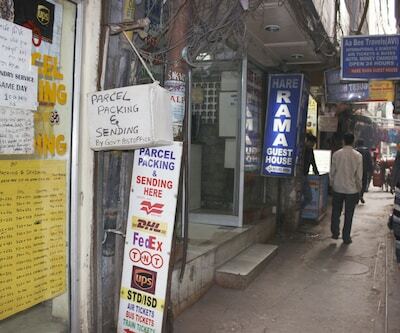 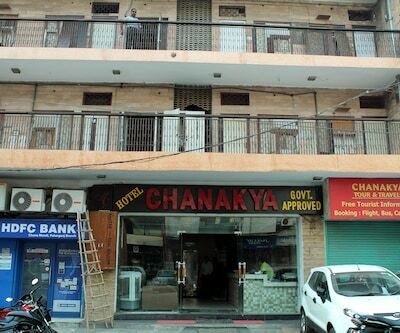 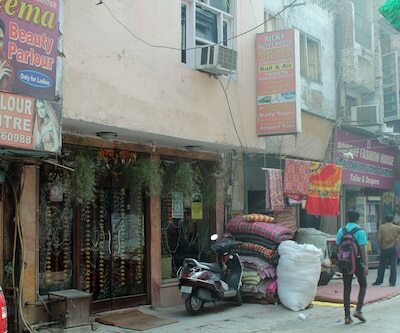 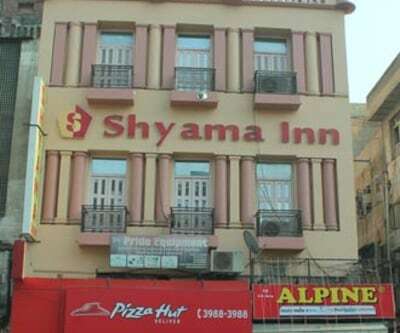 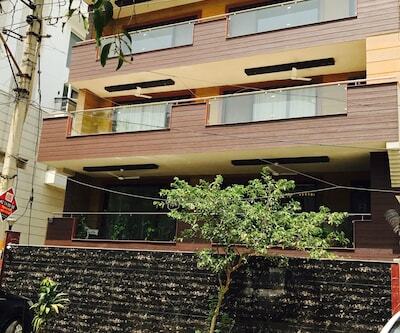 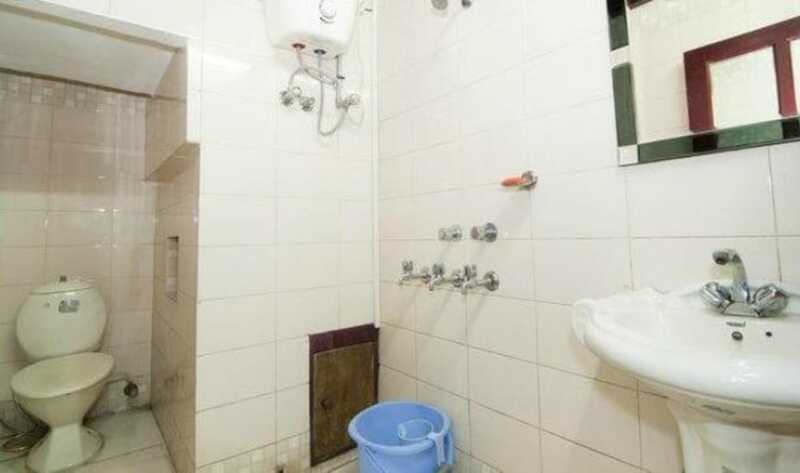 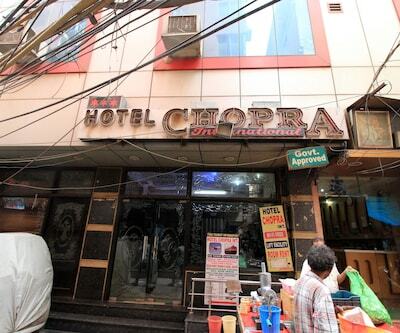 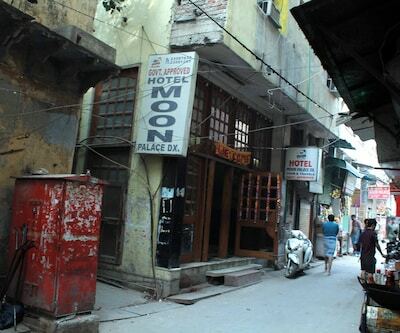 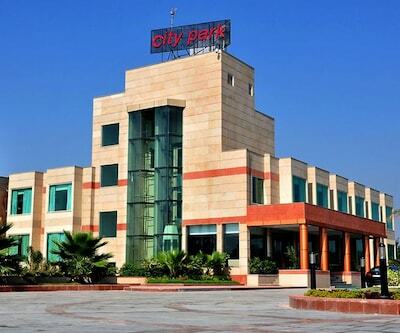 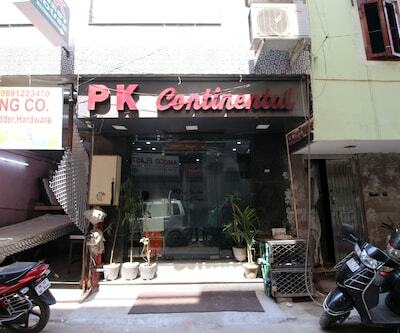 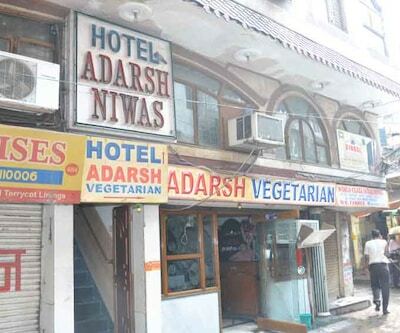 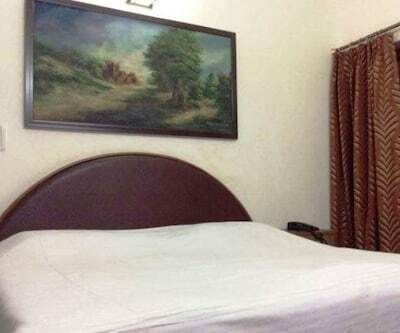 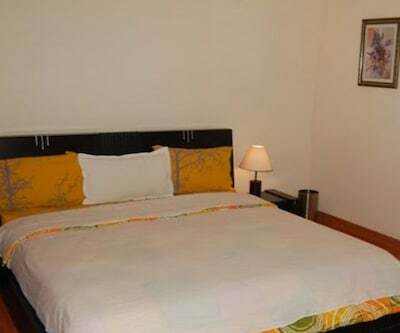 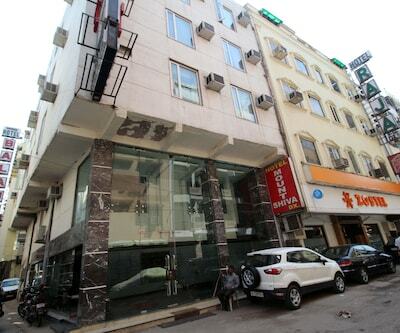 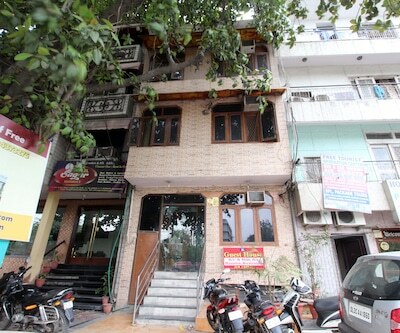 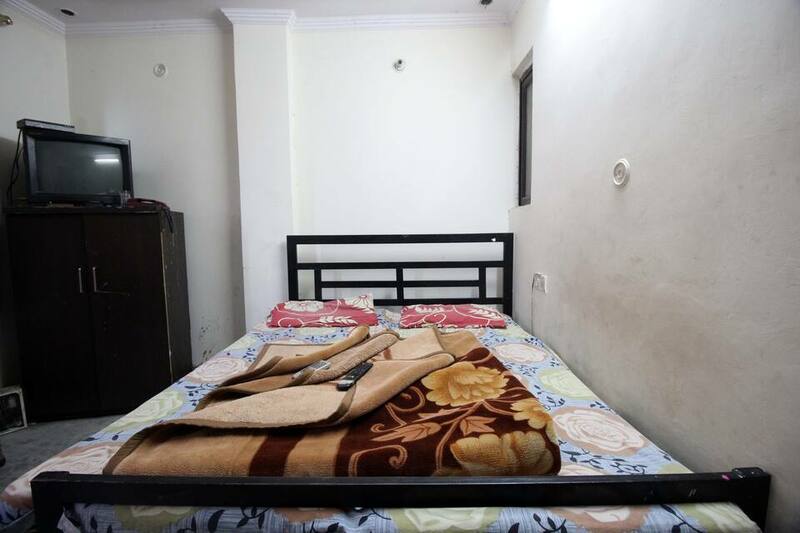 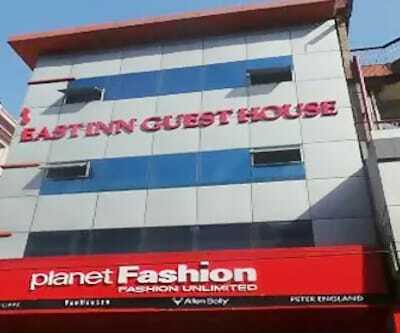 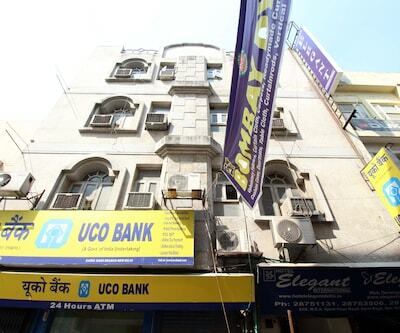 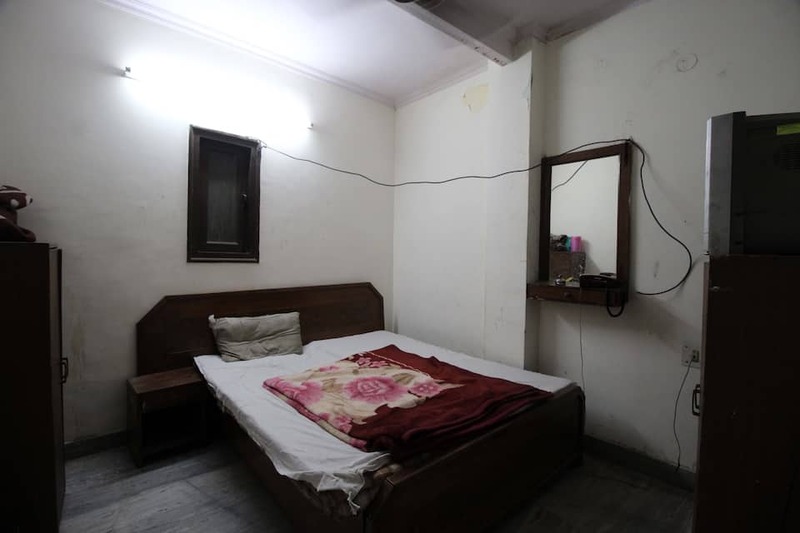 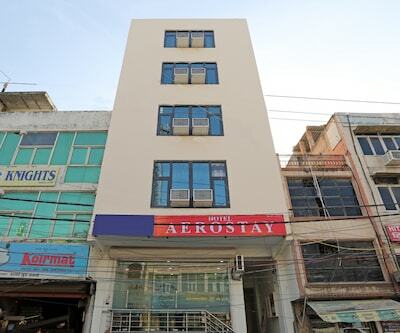 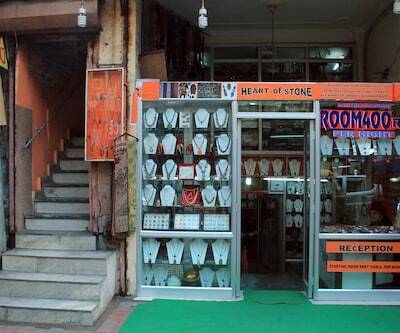 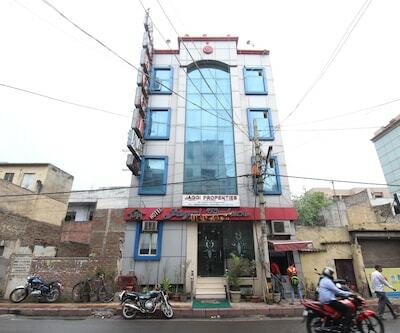 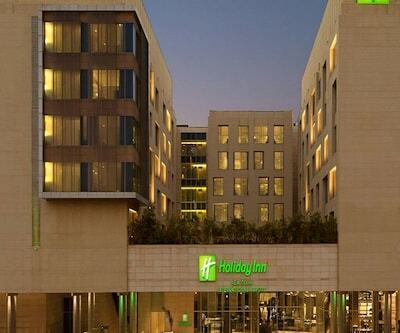 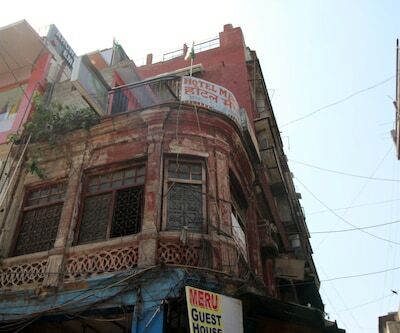 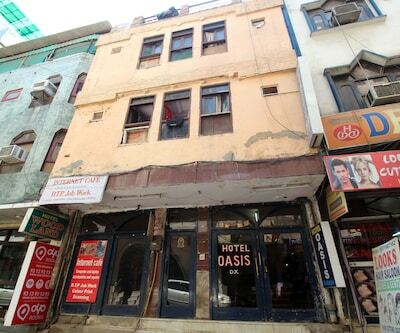 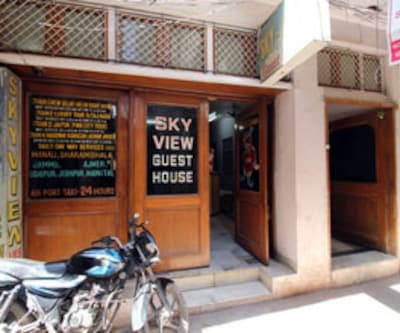 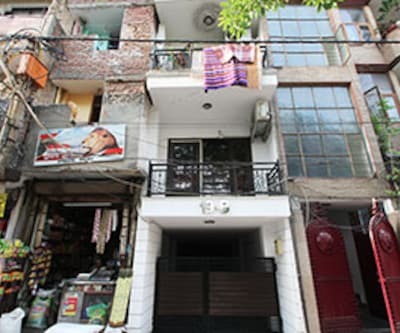 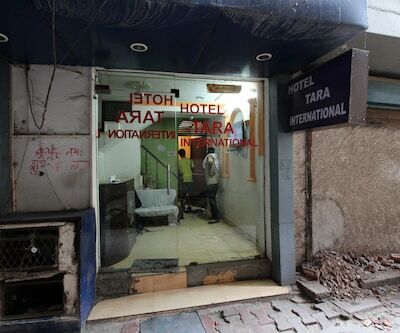 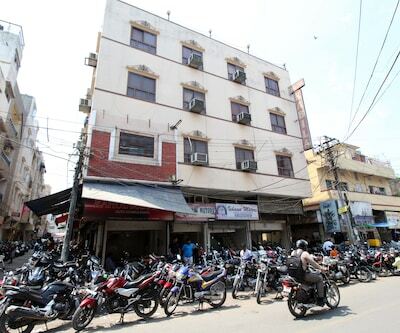 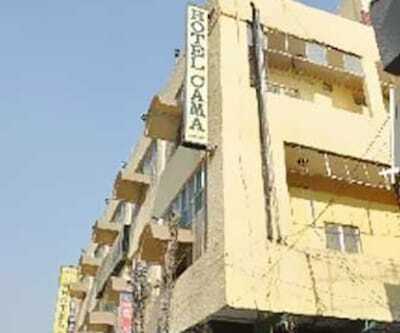 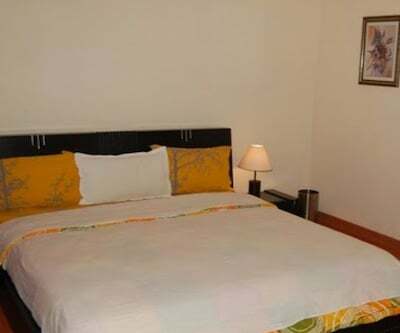 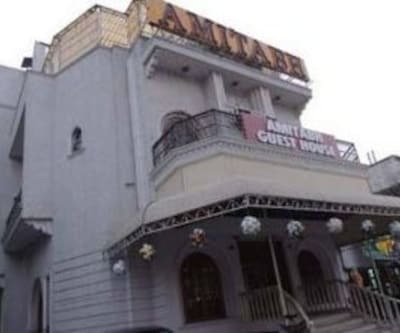 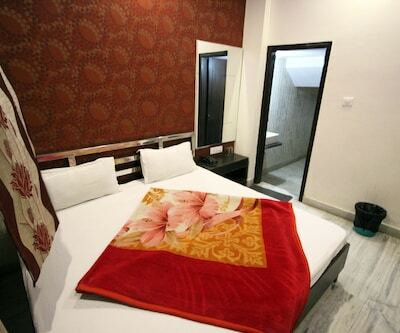 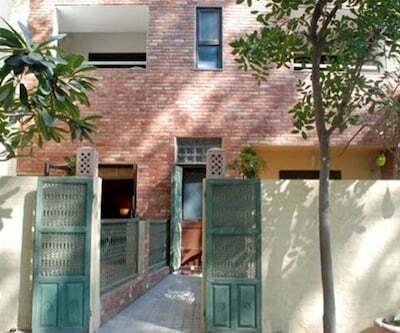 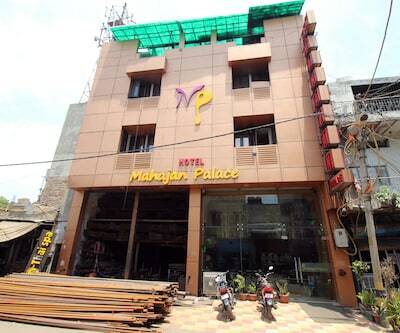 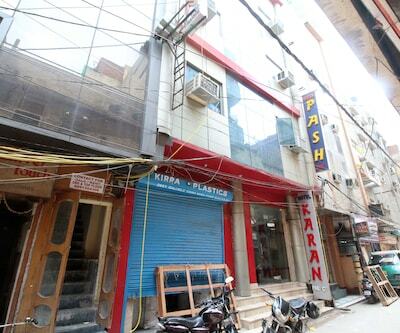 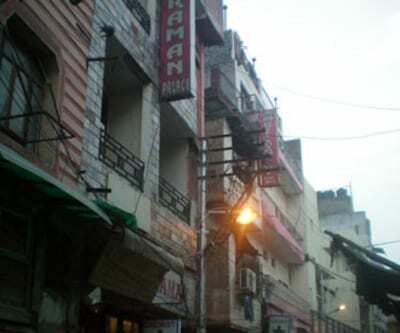 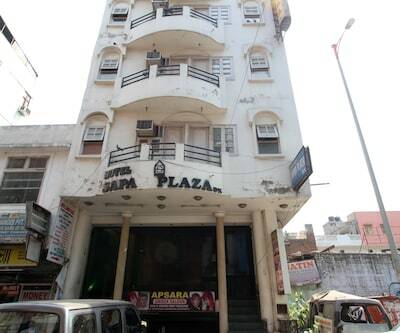 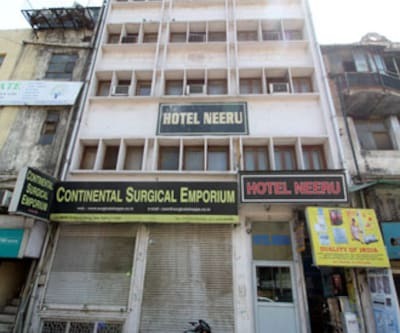 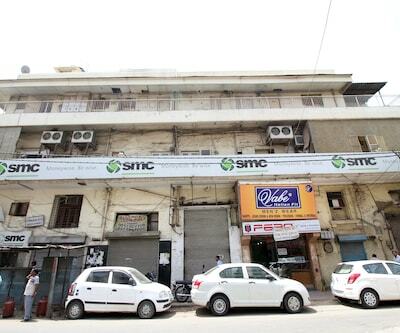 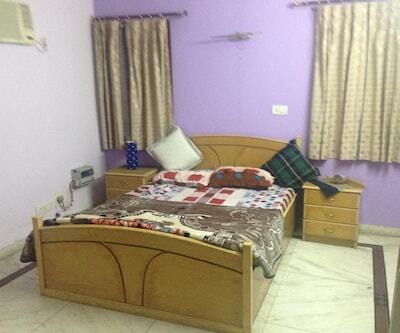 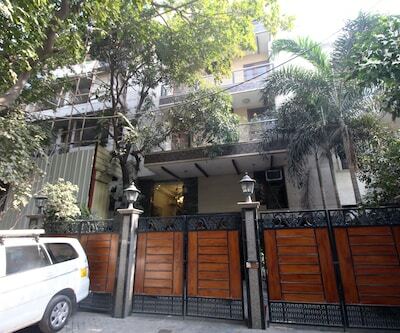 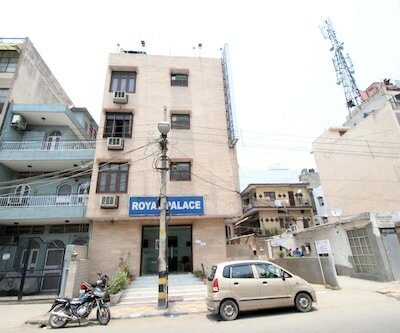 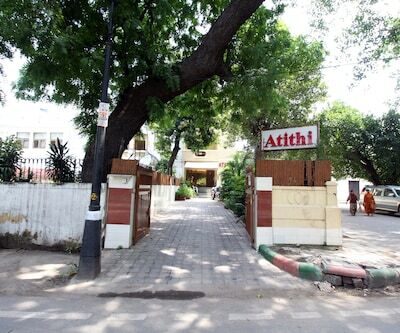 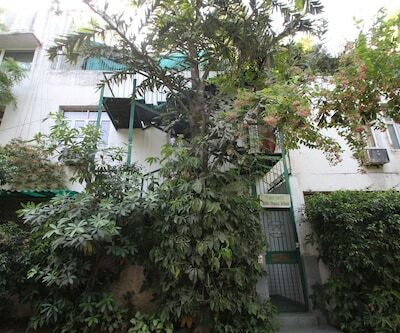 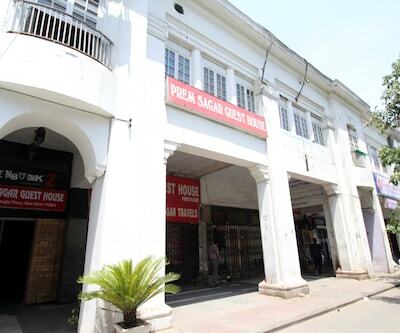 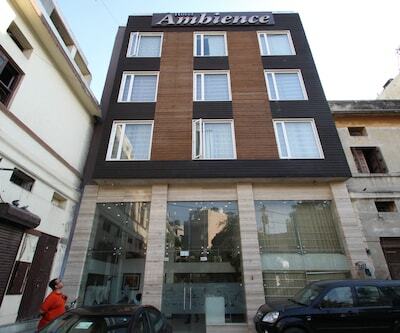 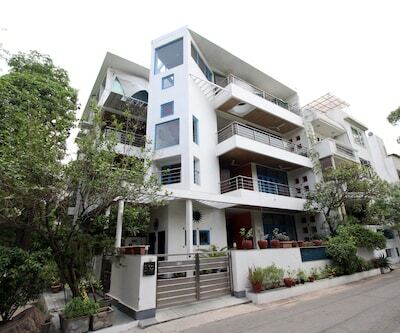 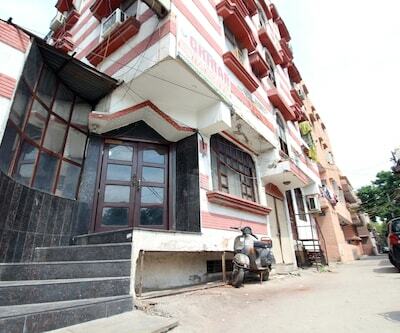 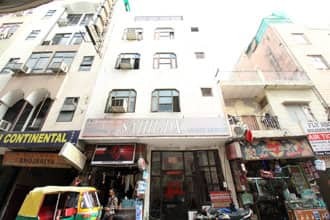 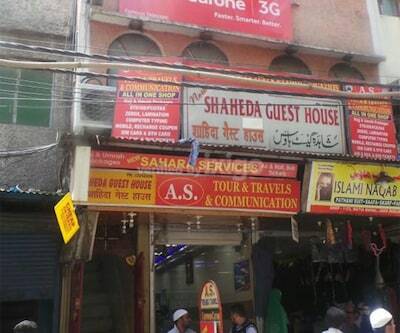 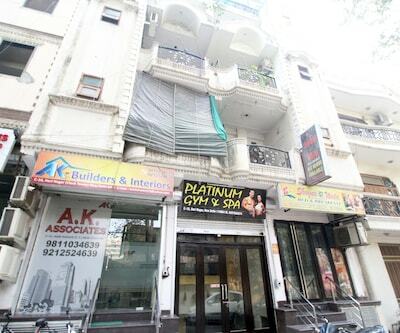 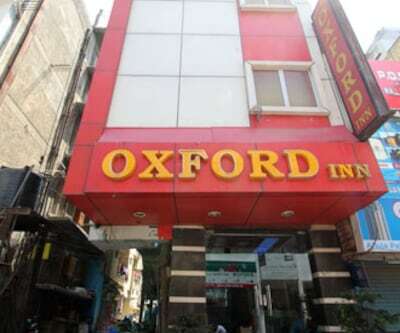 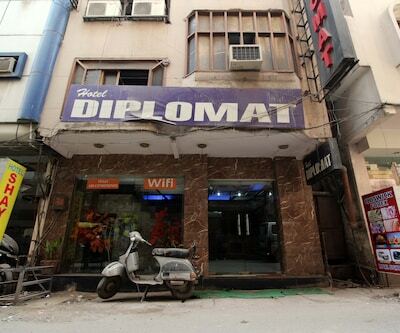 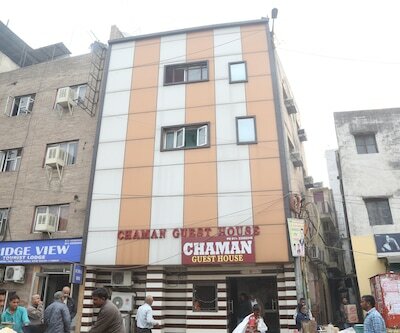 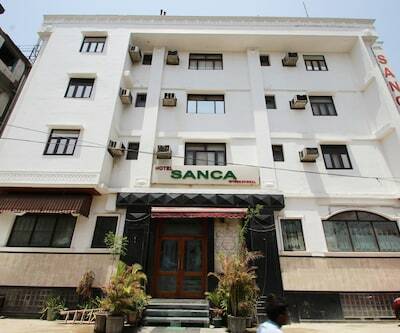 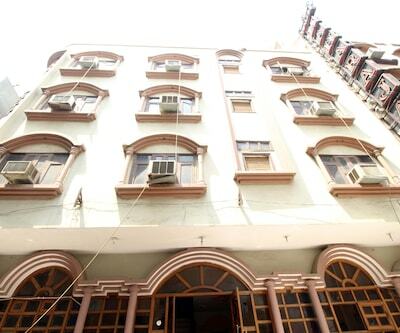 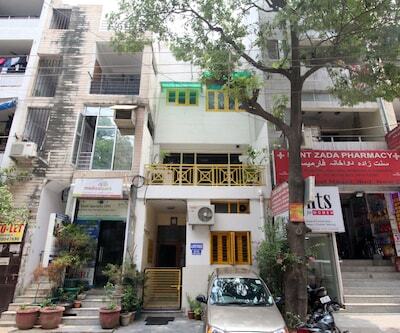 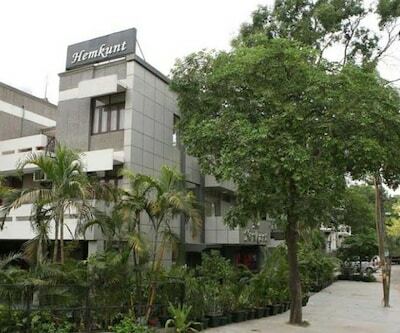 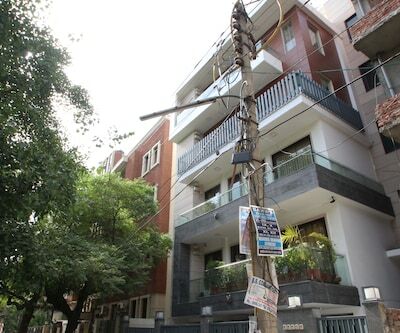 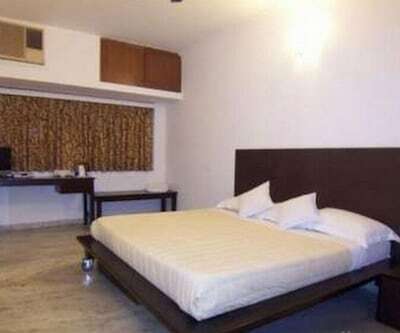 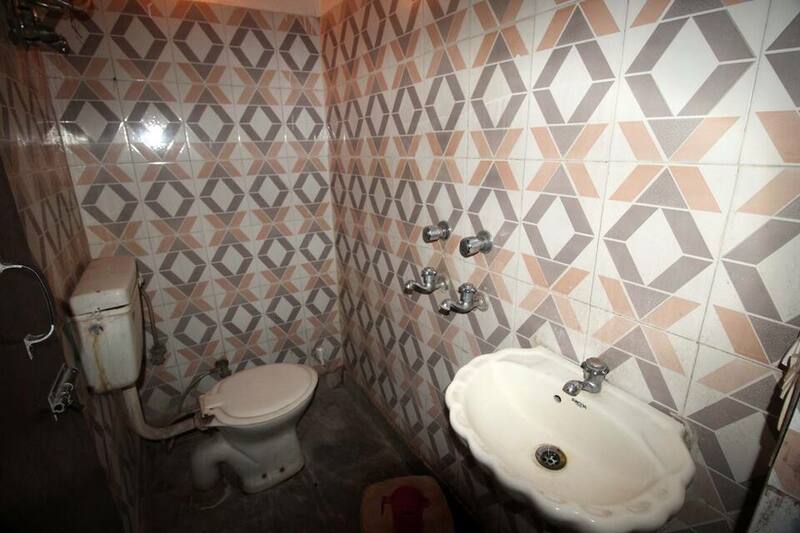 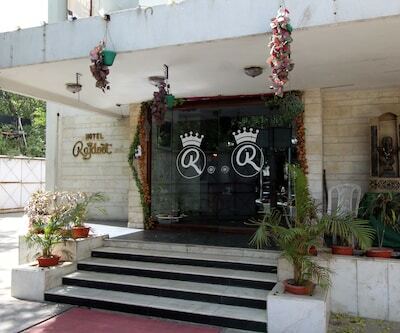 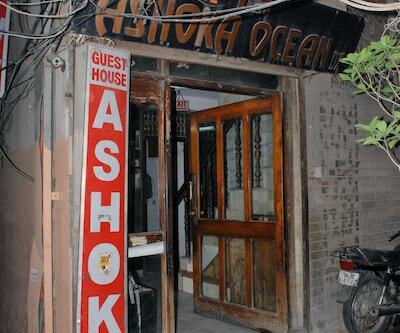 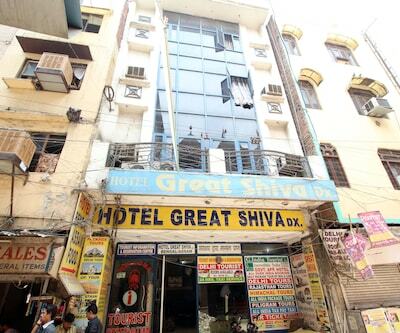 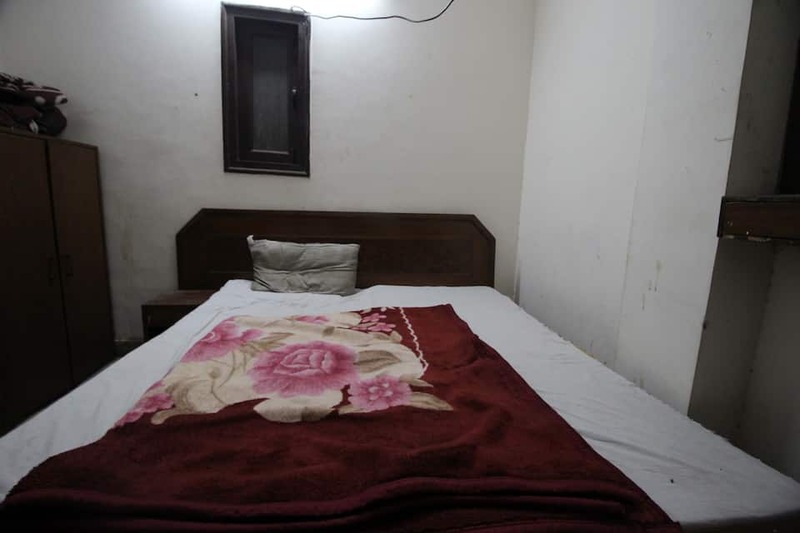 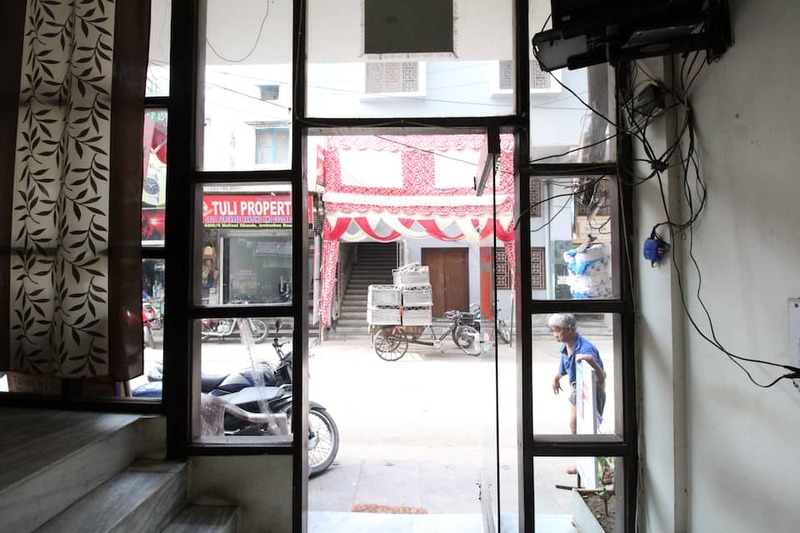 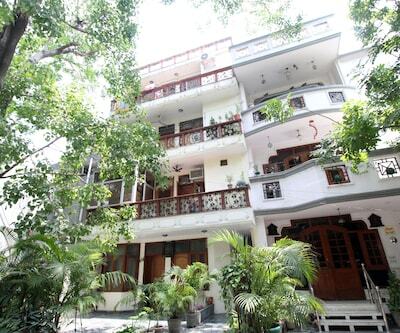 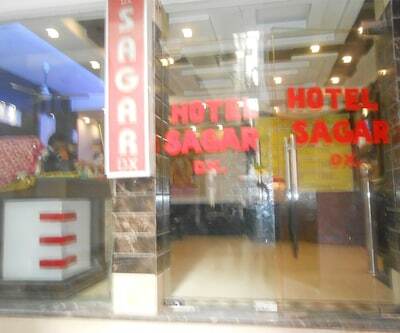 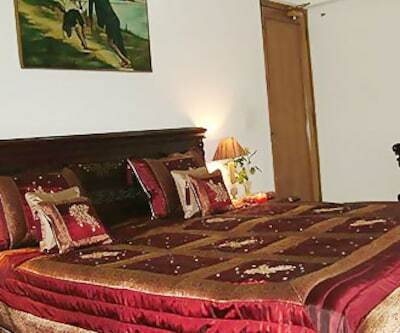 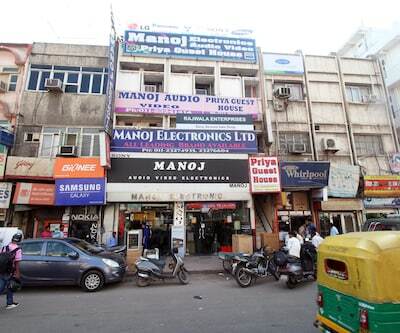 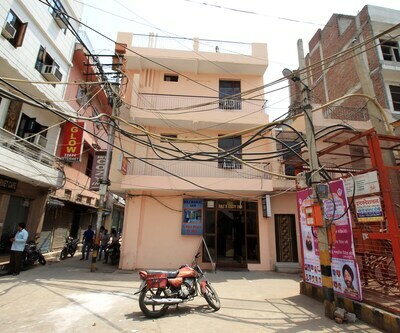 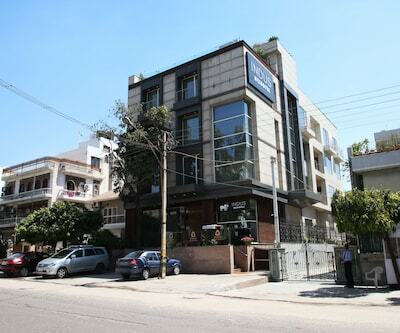 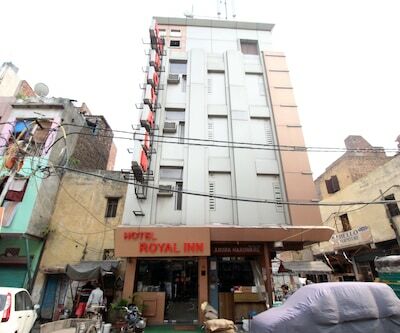 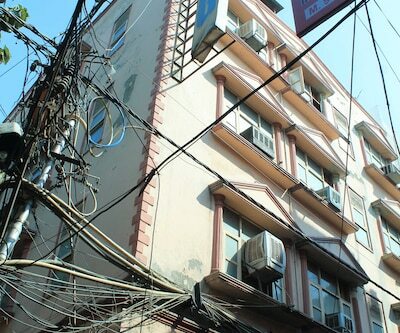 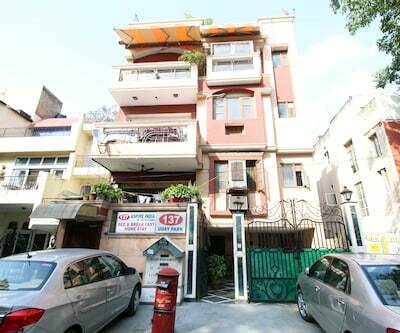 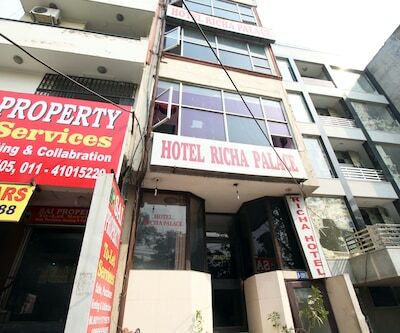 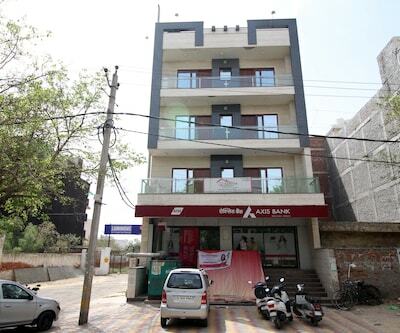 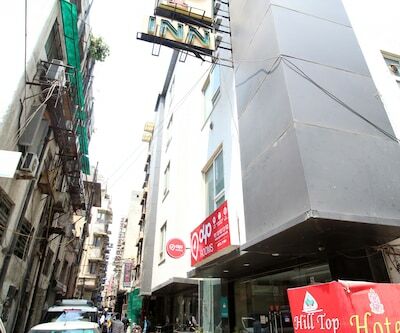 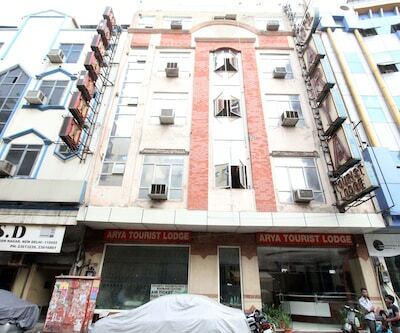 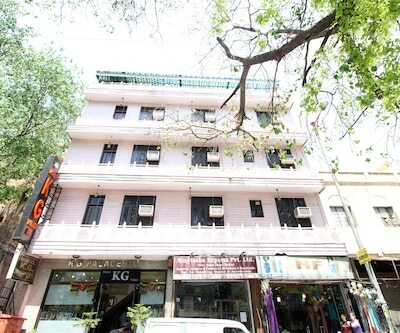 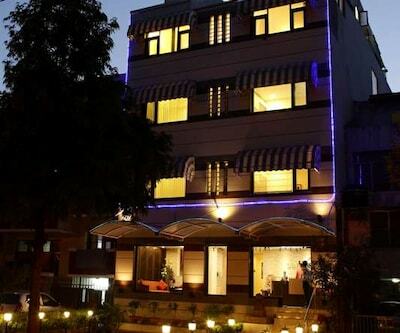 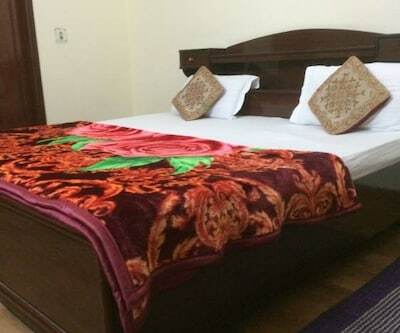 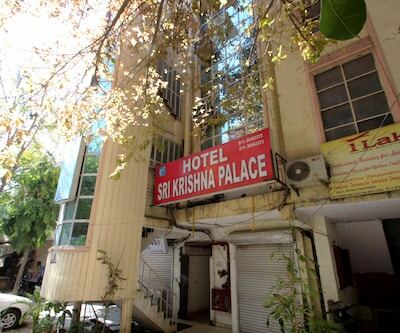 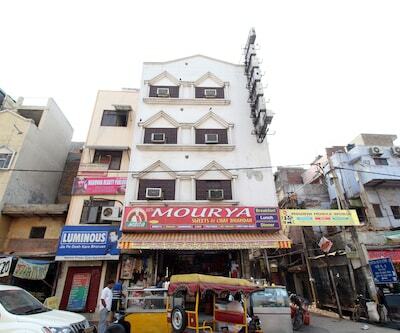 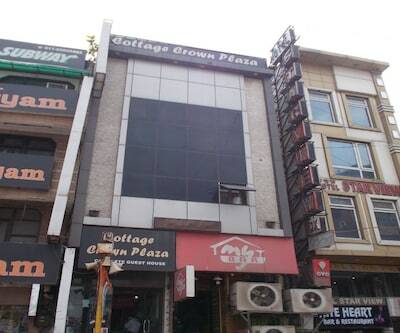 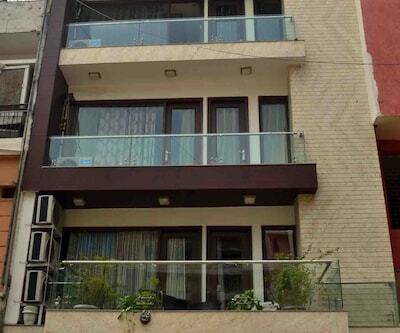 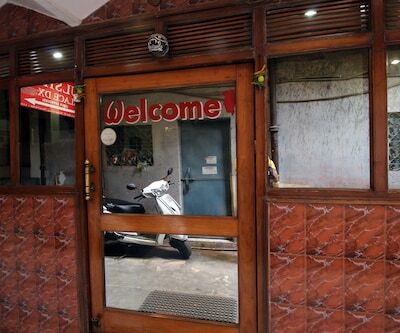 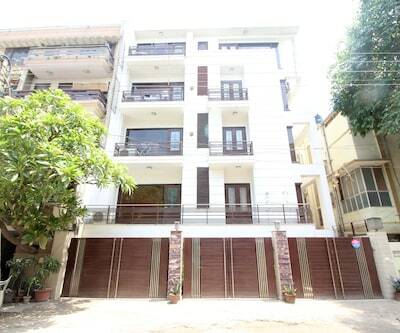 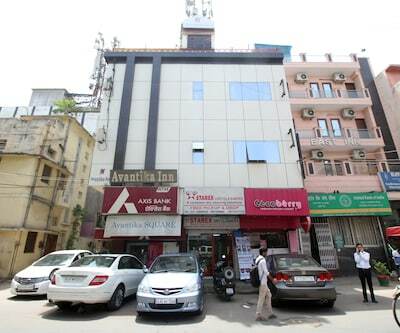 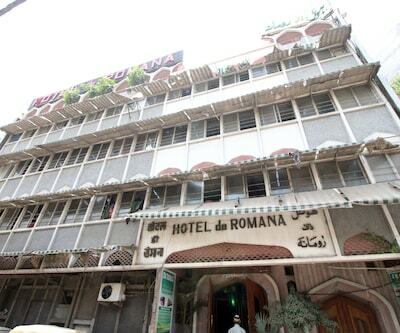 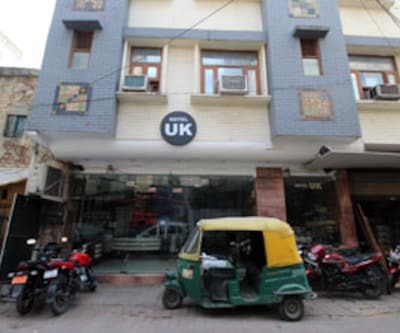 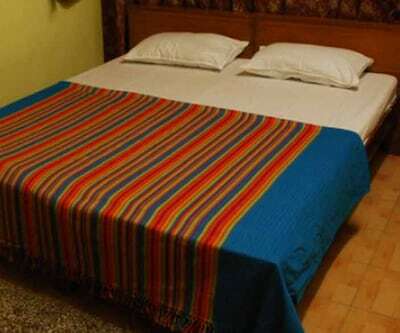 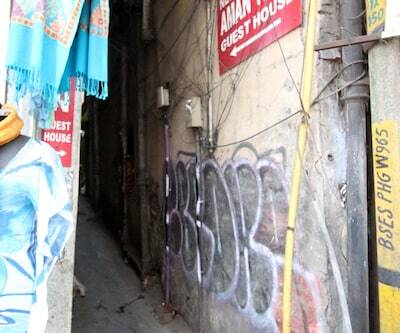 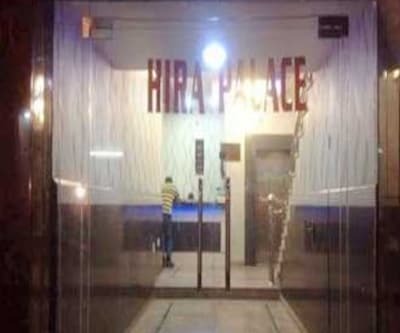 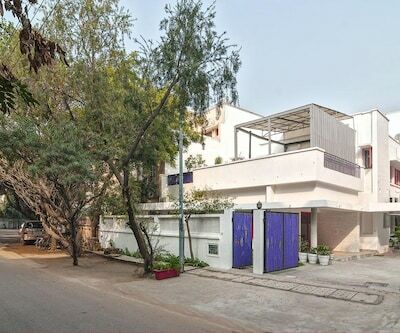 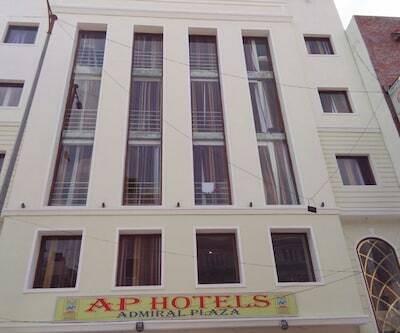 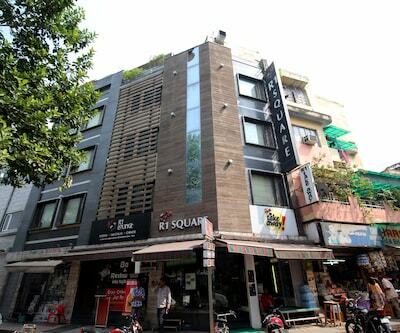 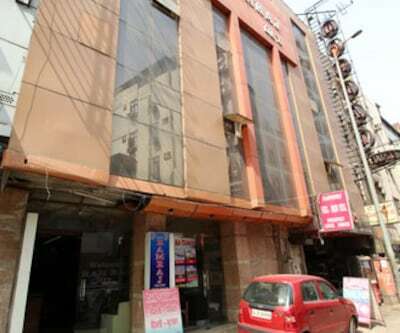 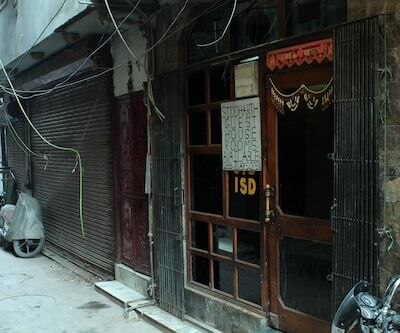 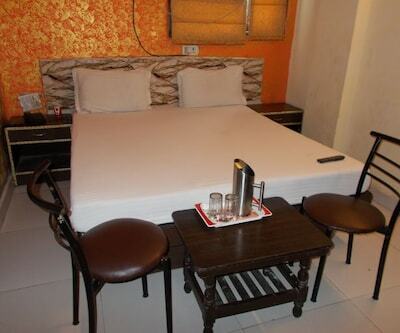 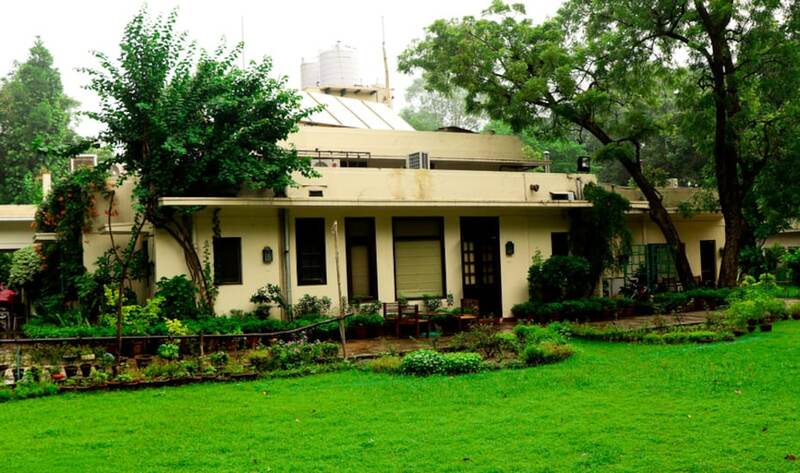 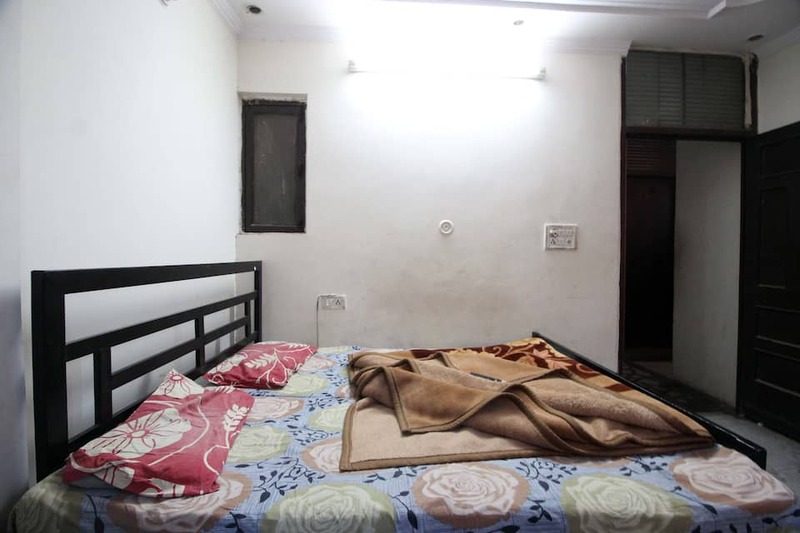 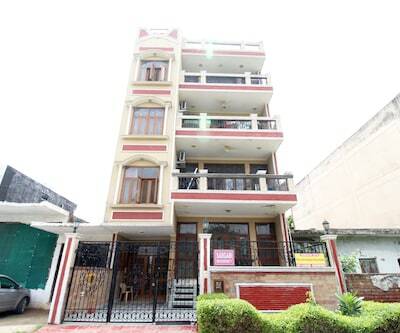 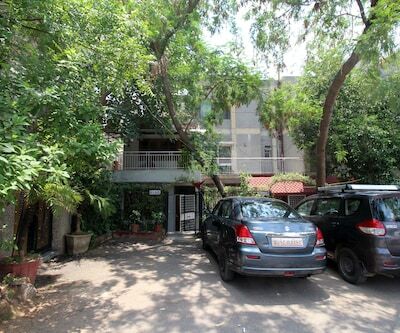 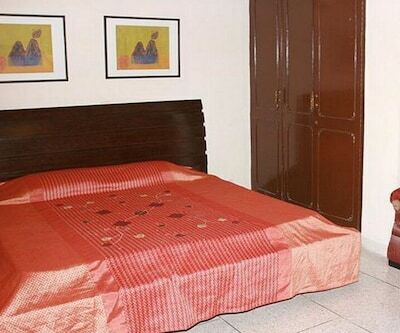 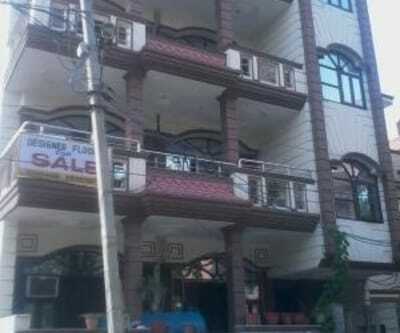 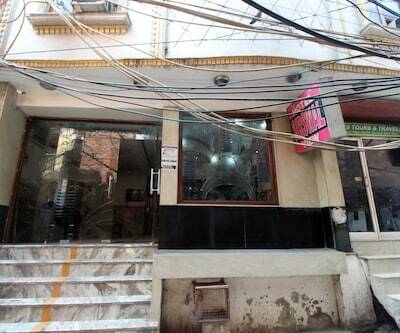 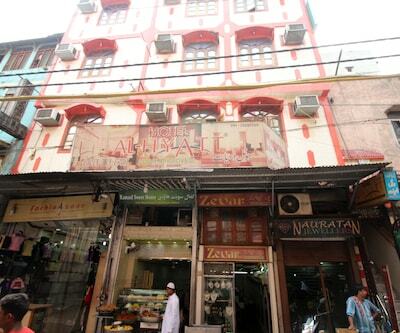 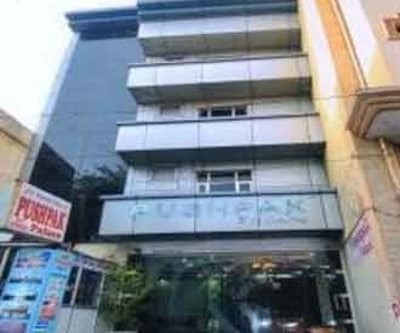 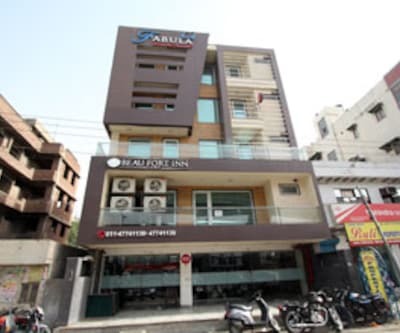 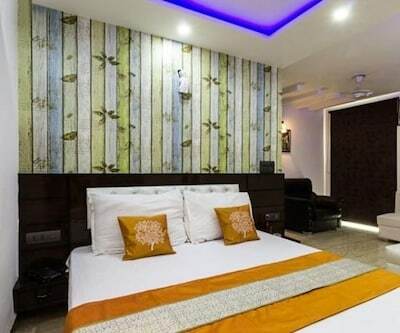 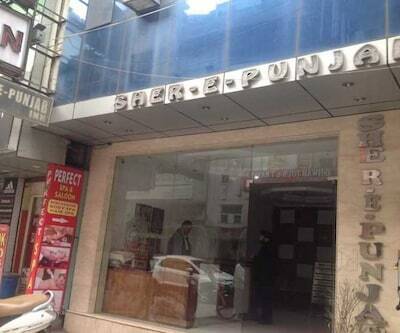 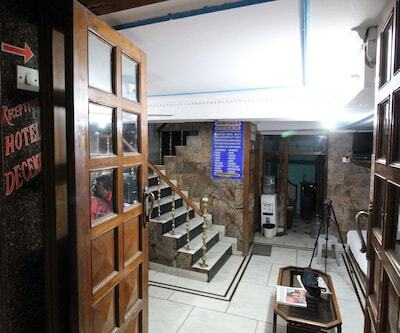 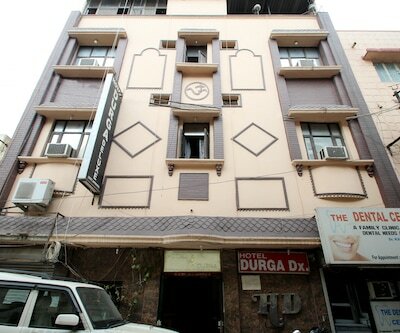 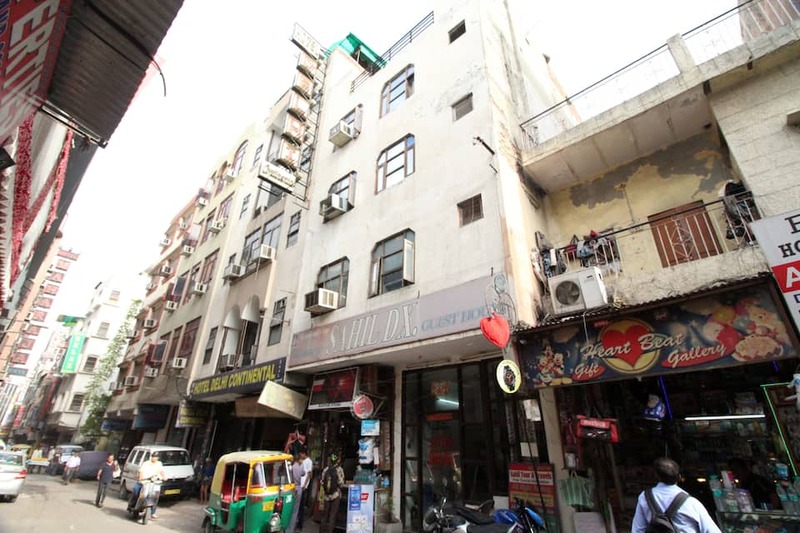 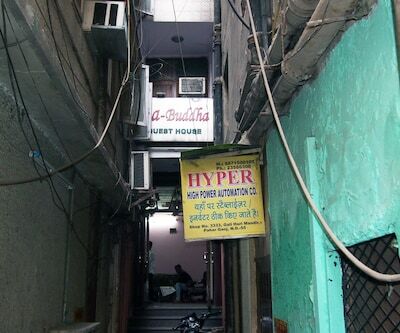 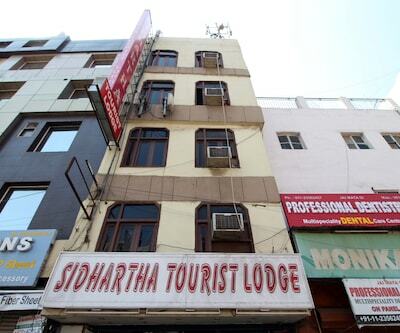 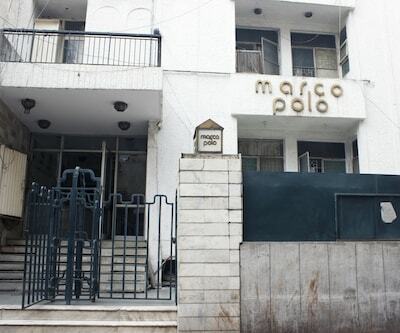 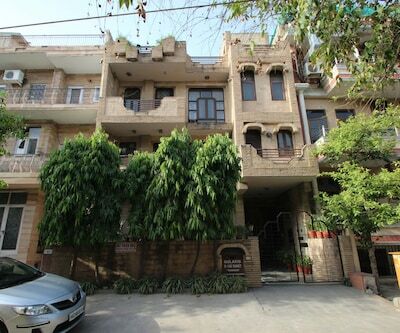 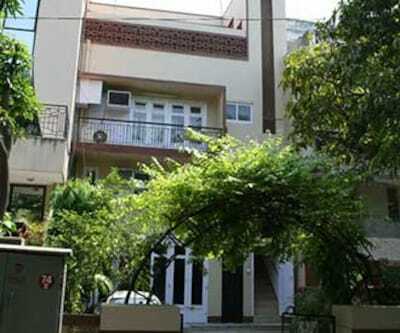 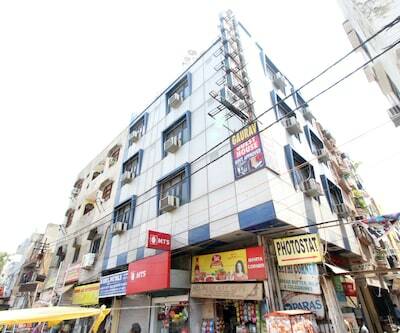 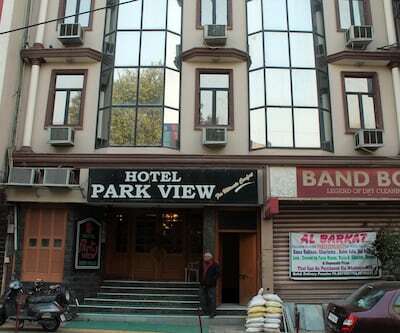 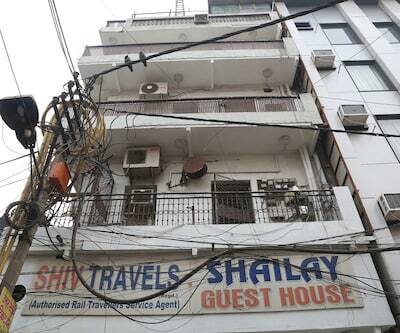 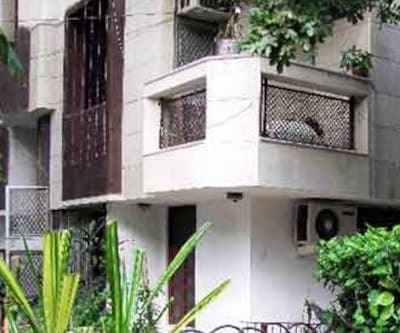 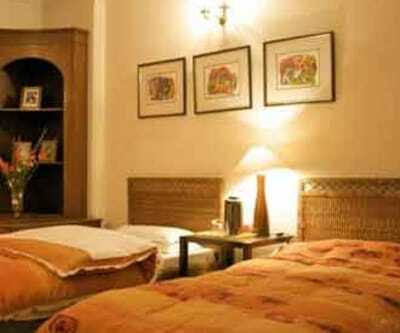 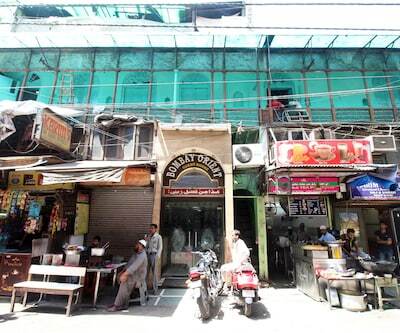 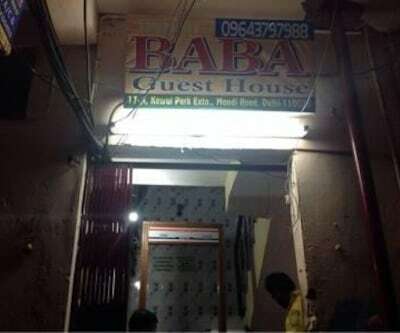 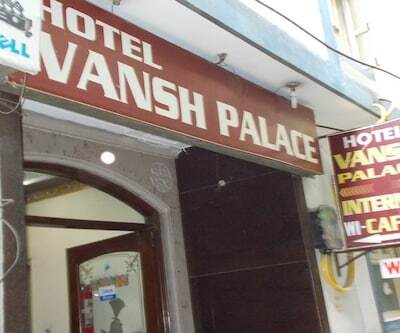 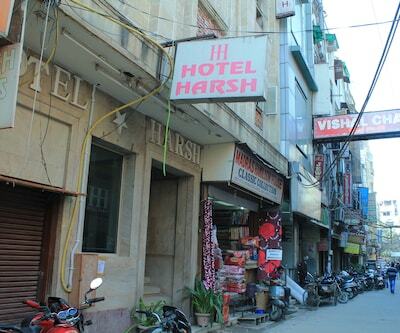 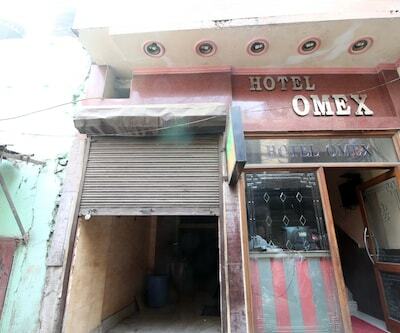 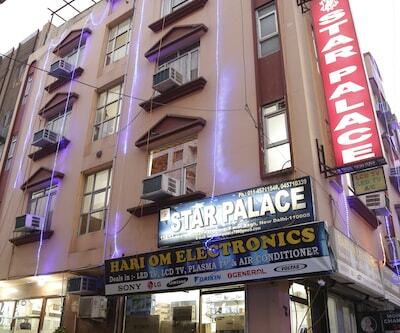 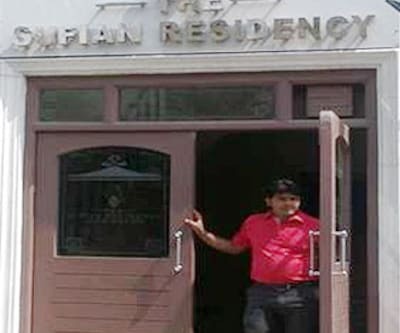 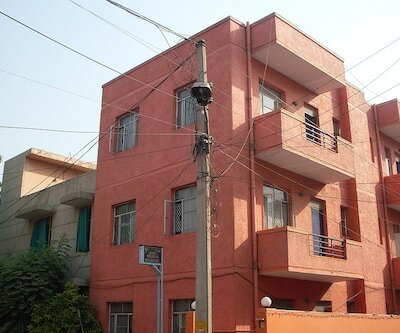 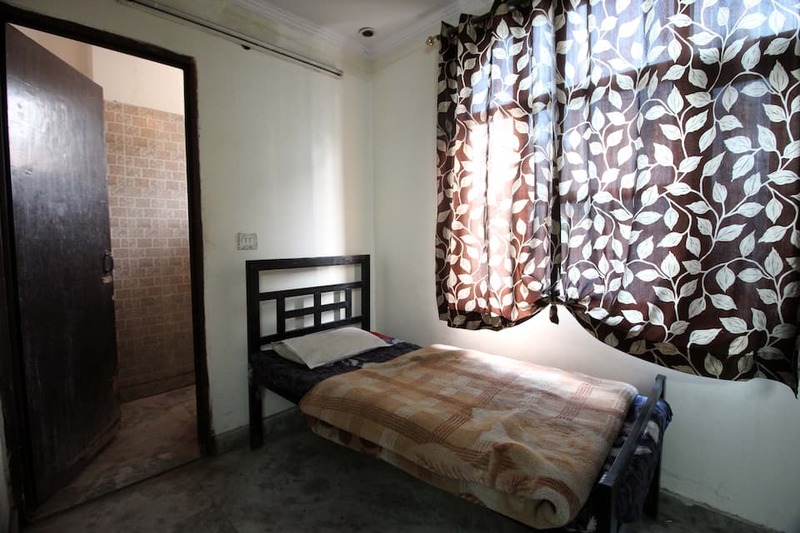 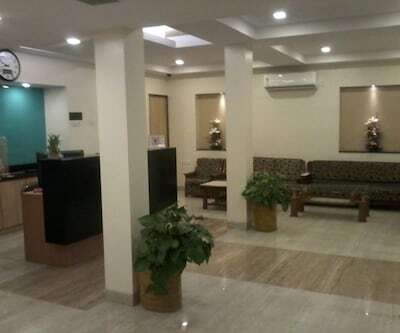 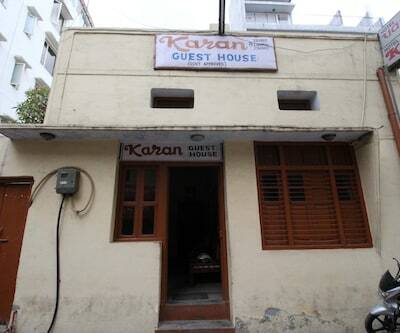 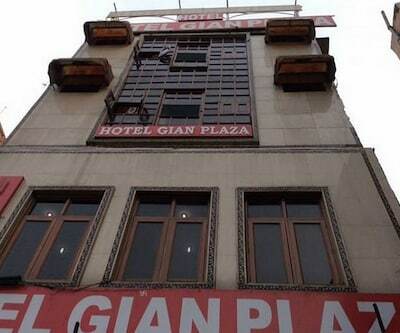 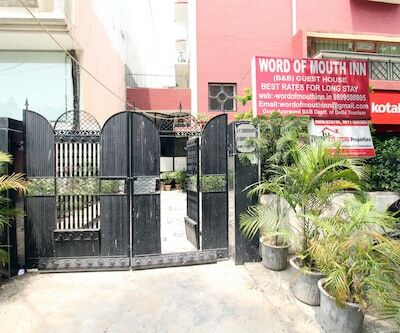 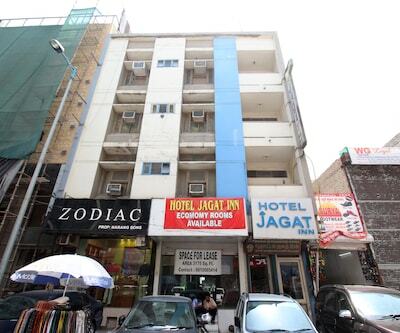 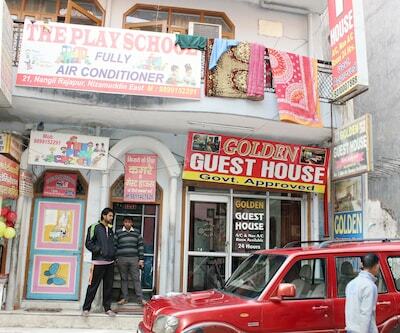 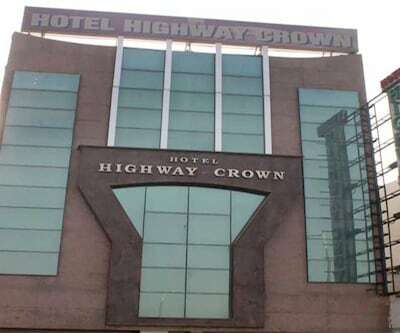 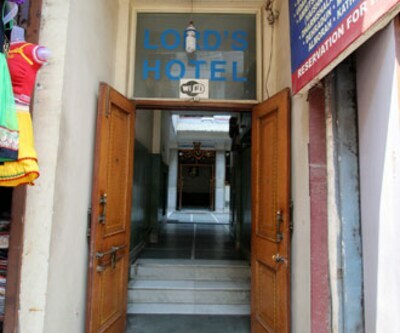 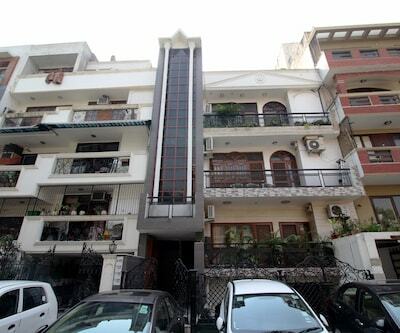 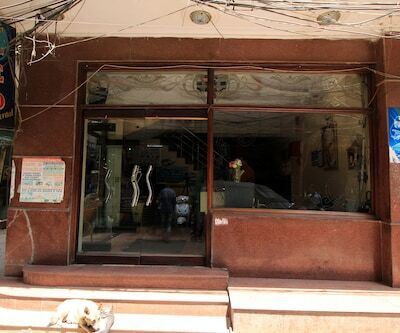 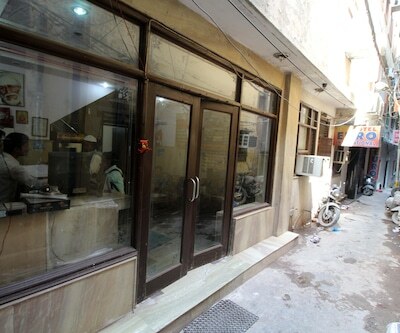 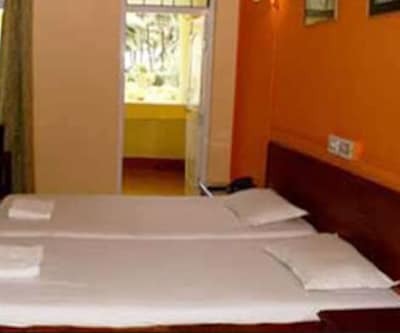 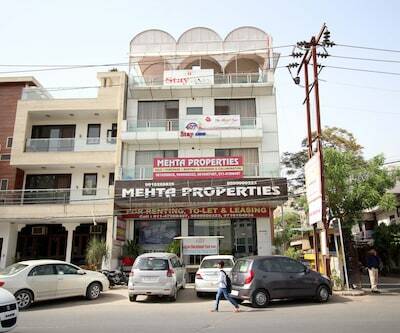 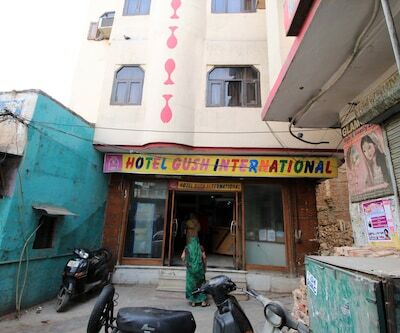 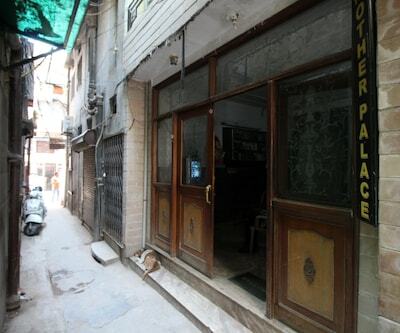 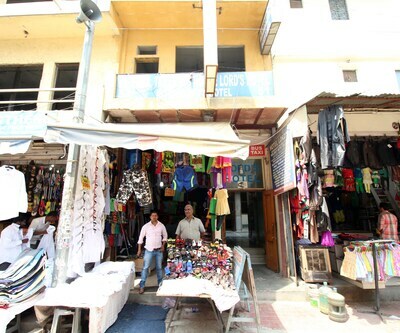 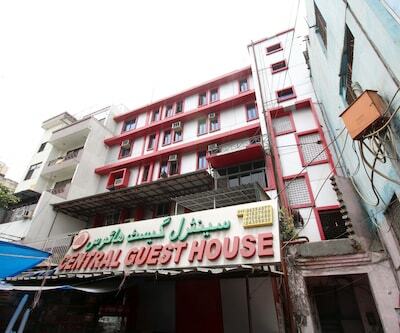 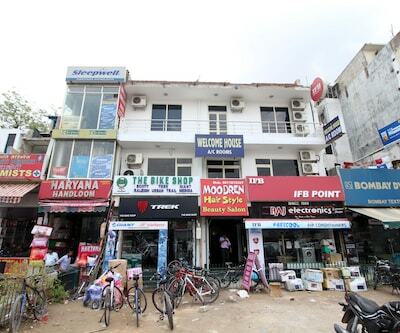 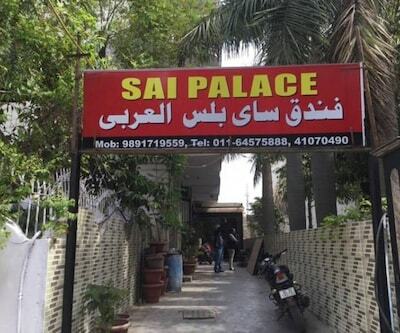 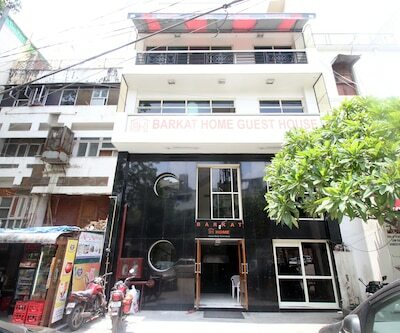 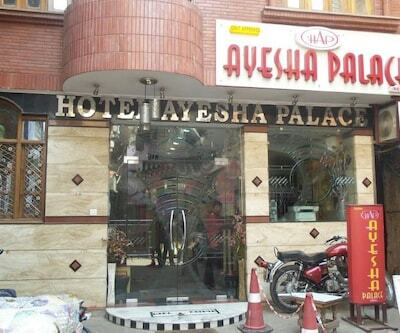 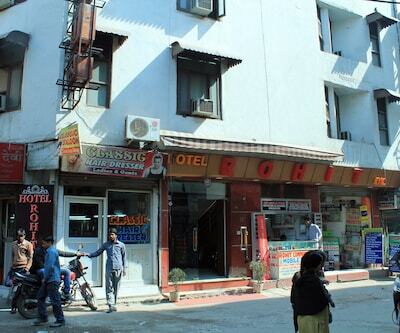 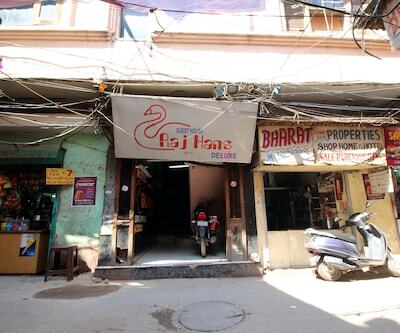 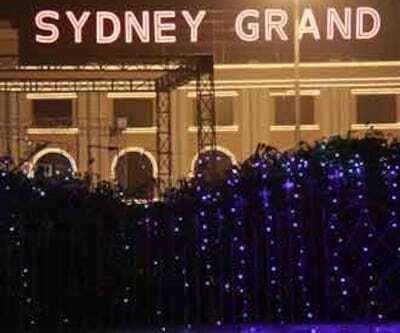 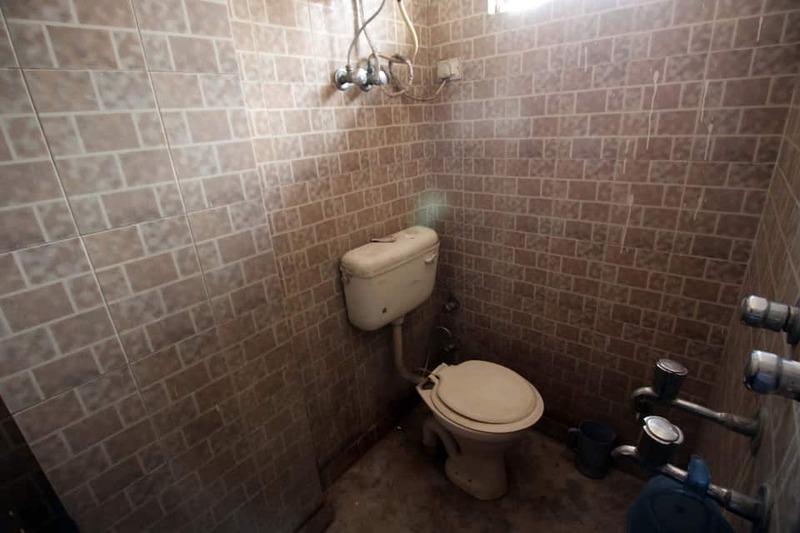 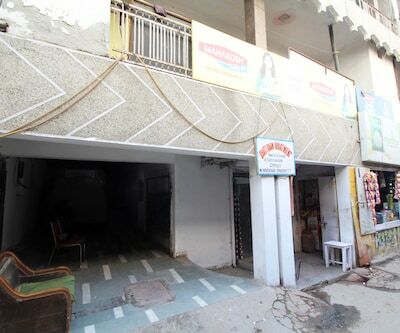 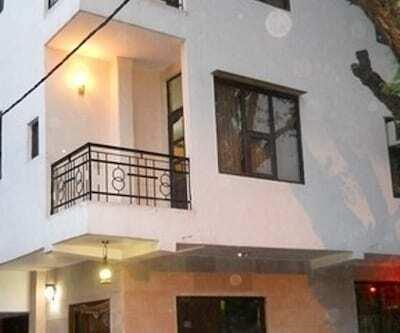 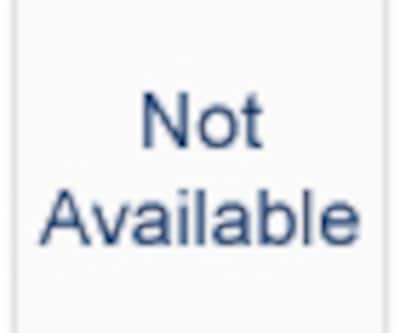 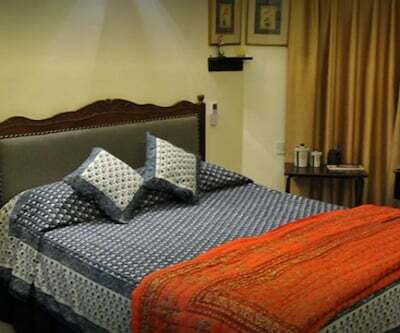 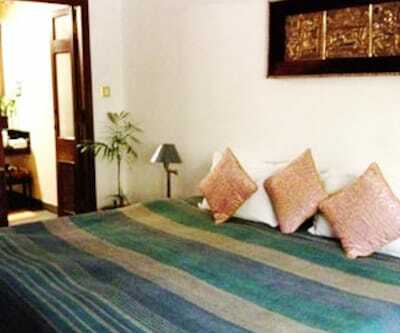 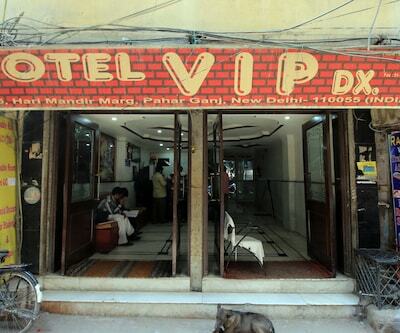 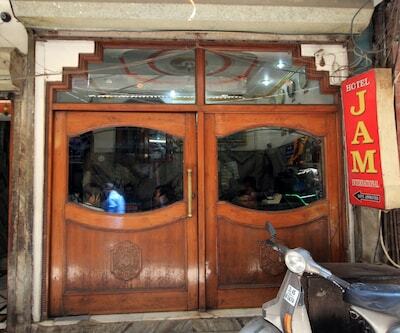 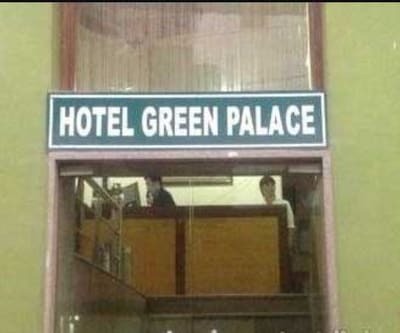 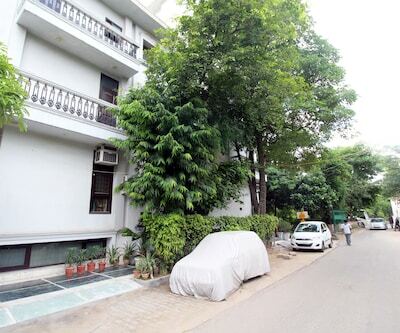 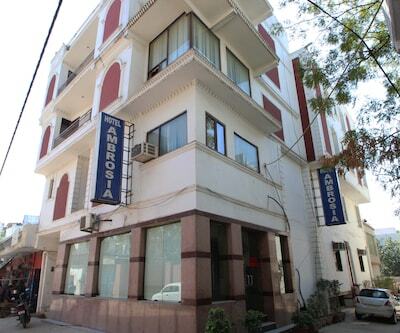 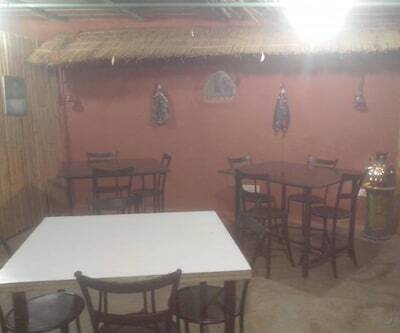 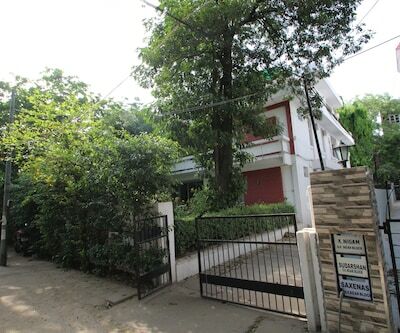 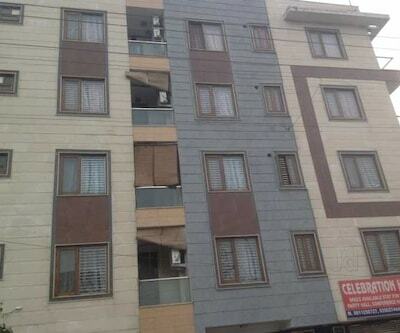 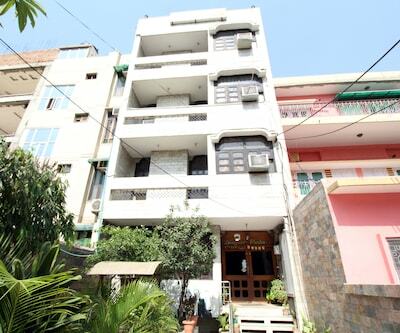 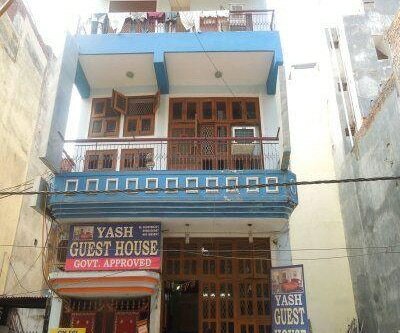 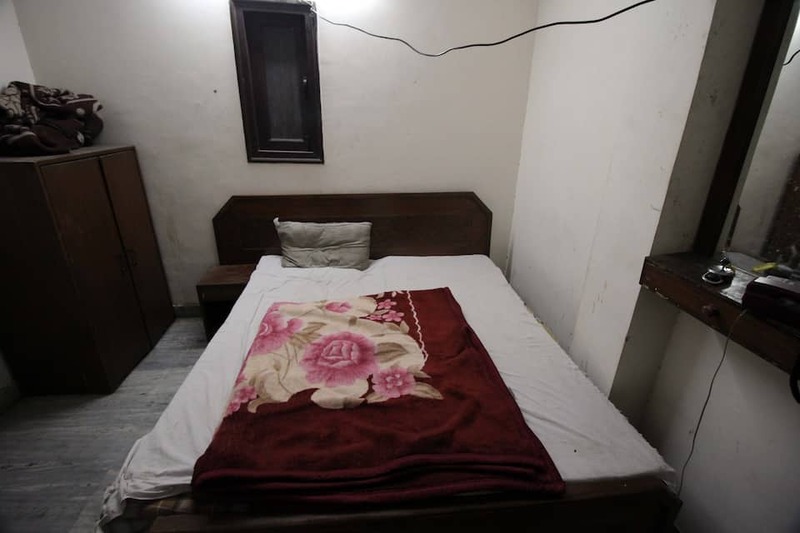 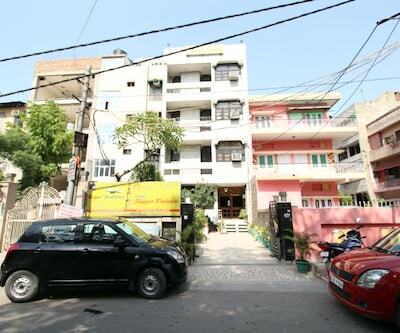 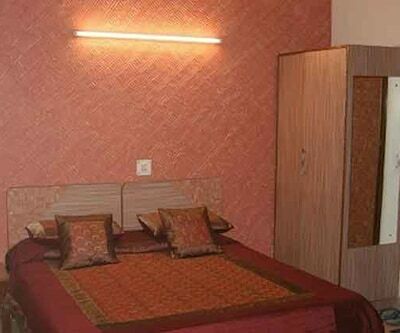 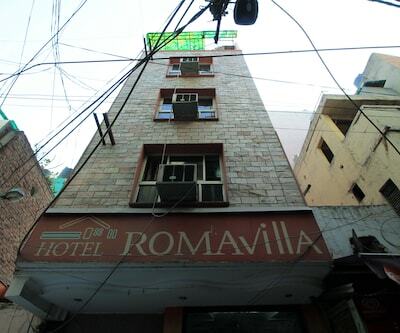 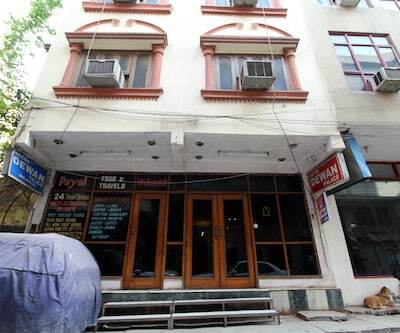 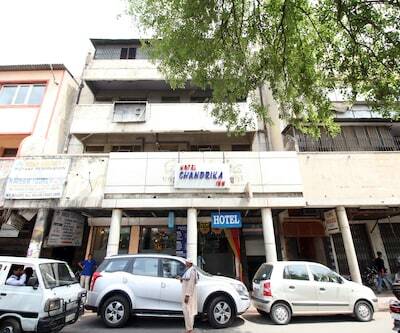 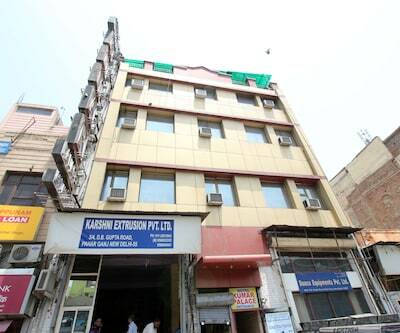 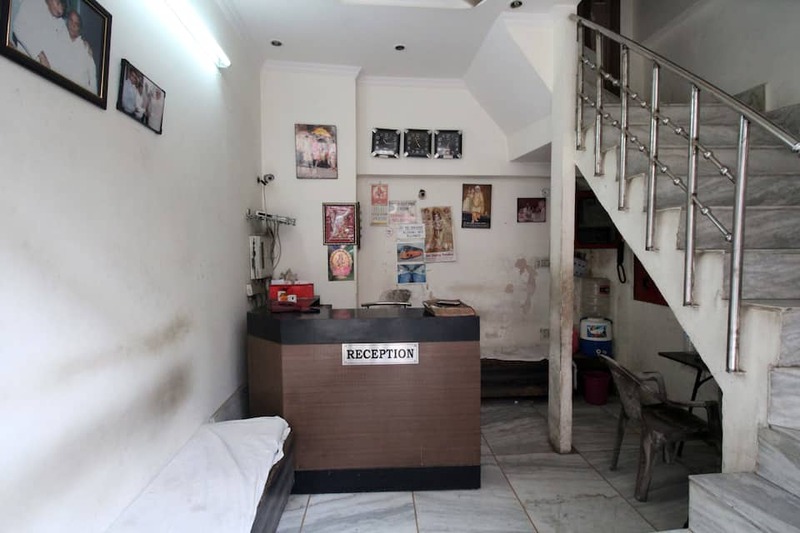 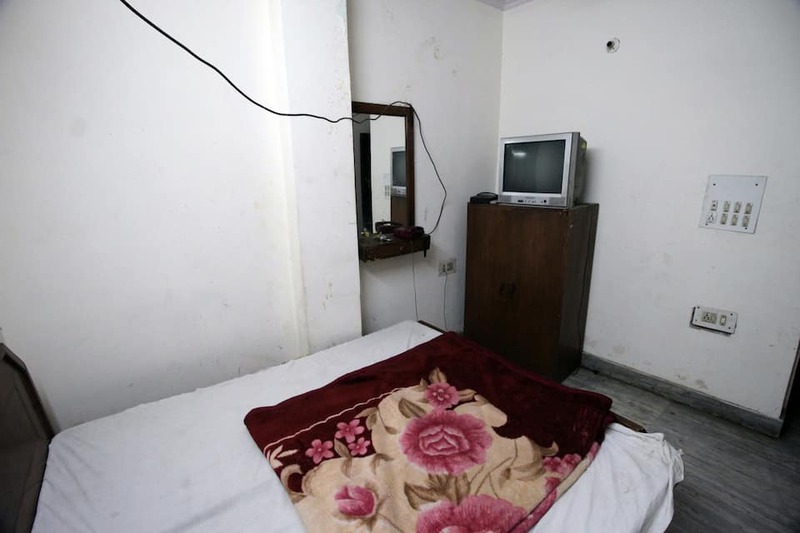 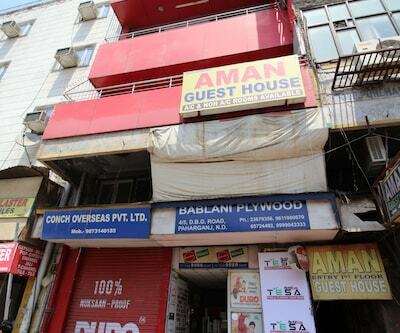 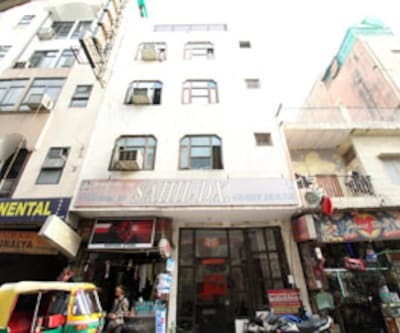 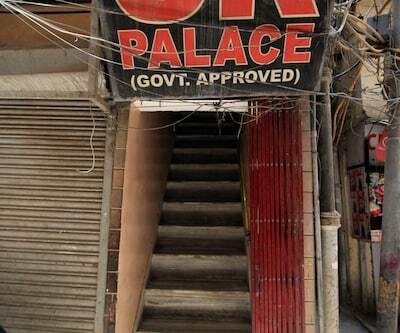 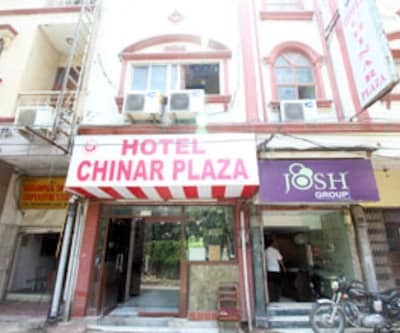 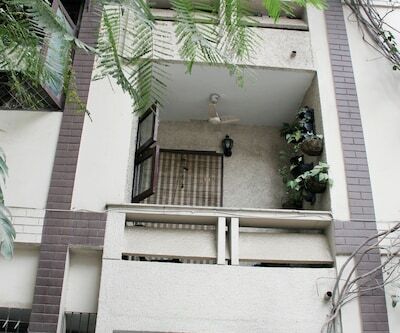 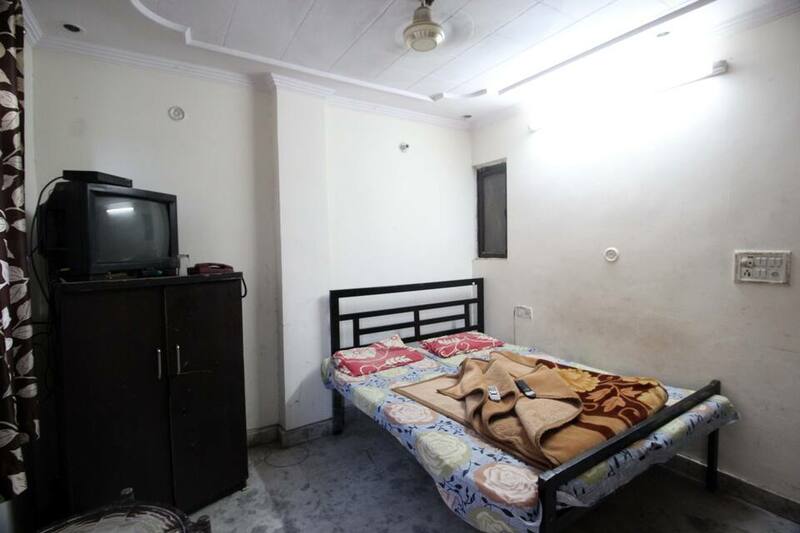 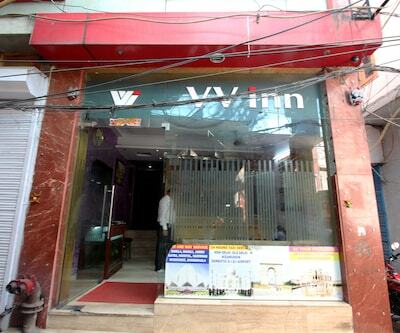 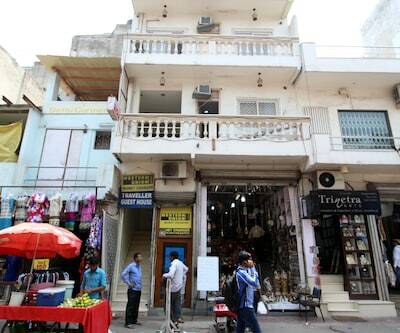 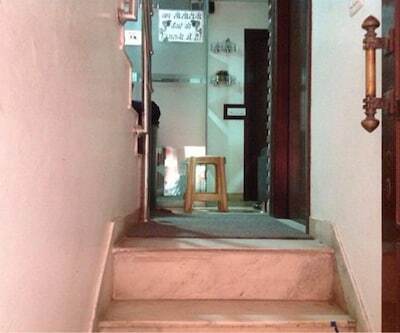 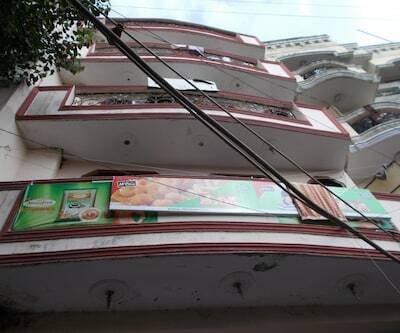 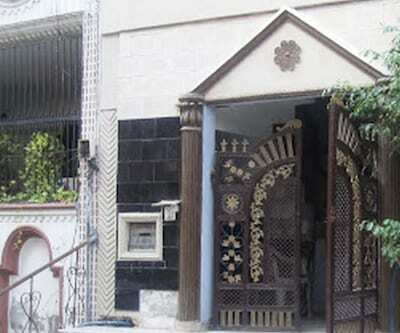 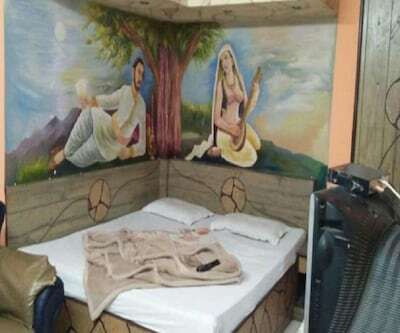 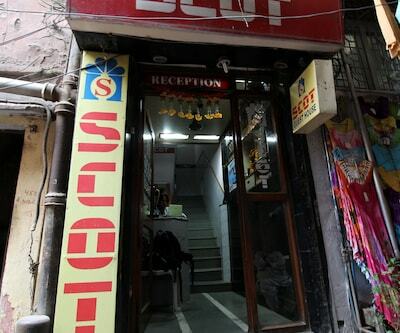 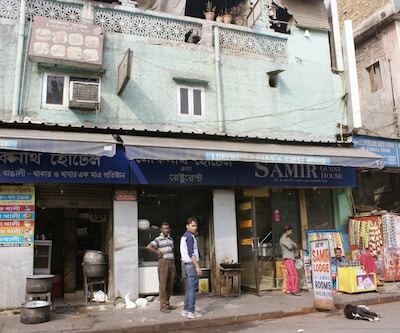 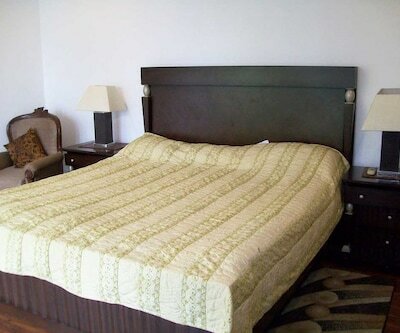 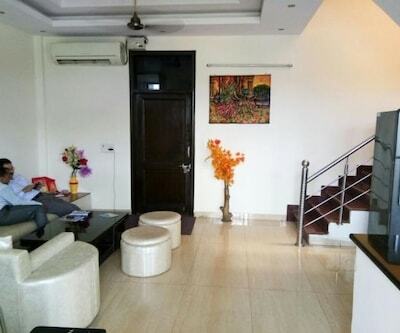 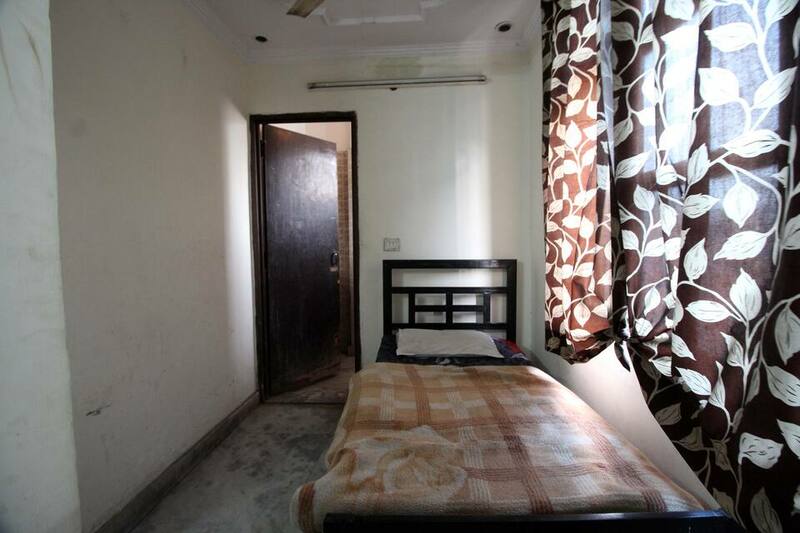 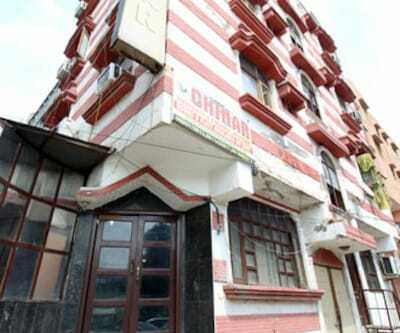 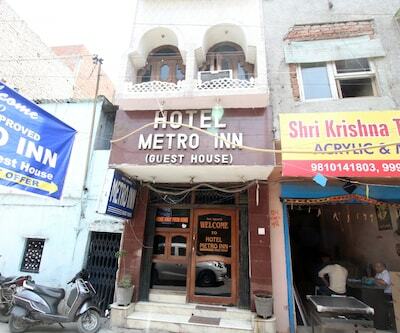 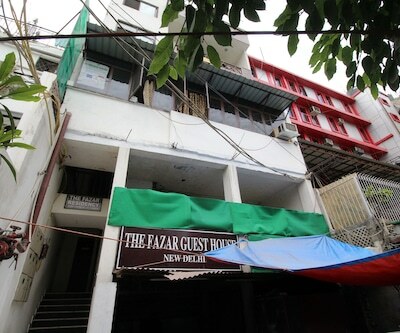 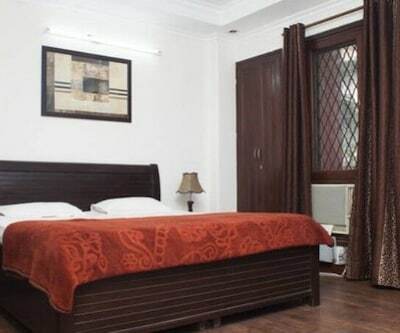 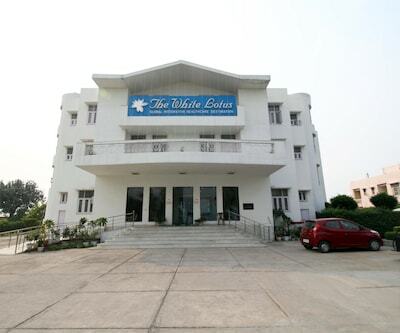 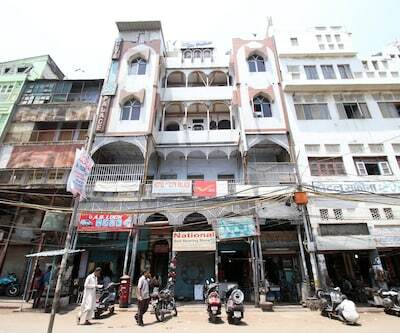 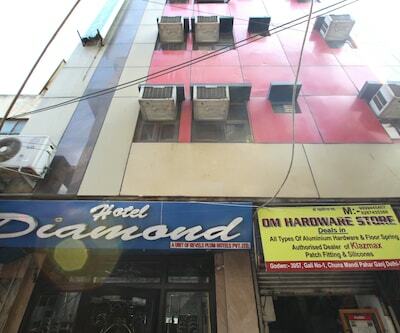 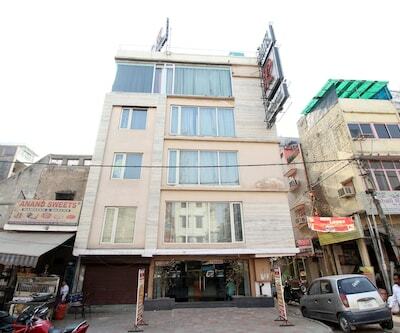 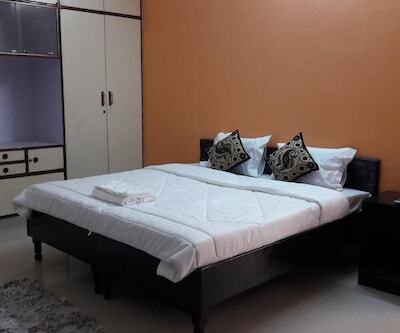 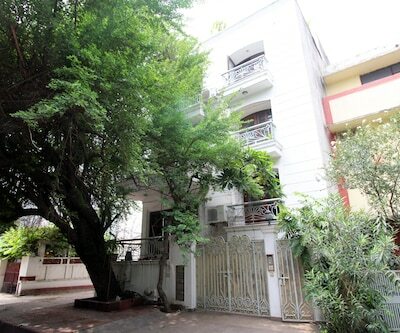 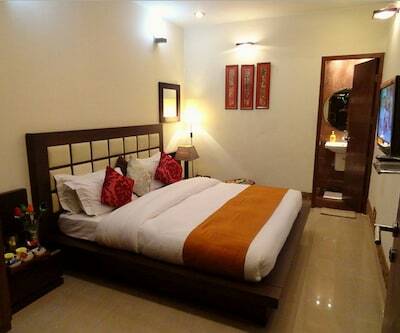 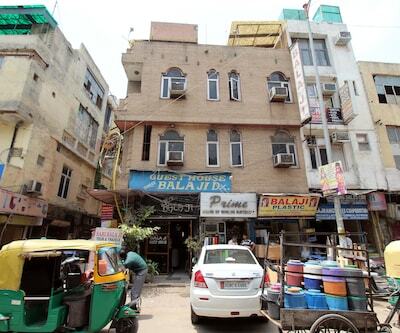 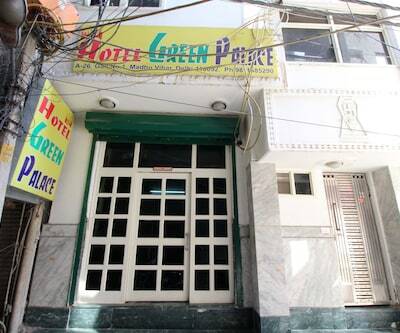 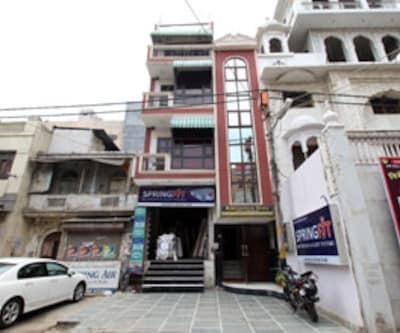 The hotel is at a distance of 13.78 km from Qutub Minar and 4.61 km from India Gate. 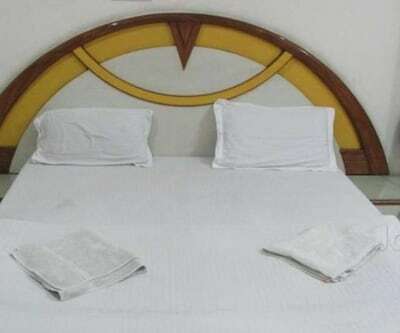 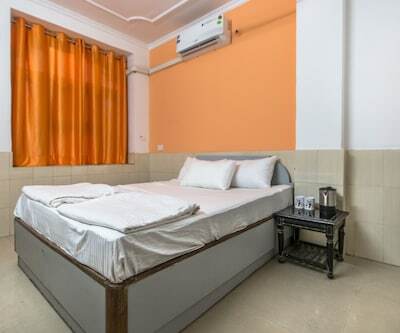 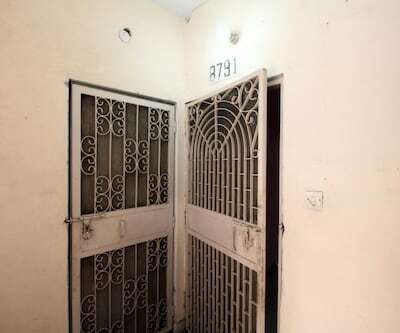 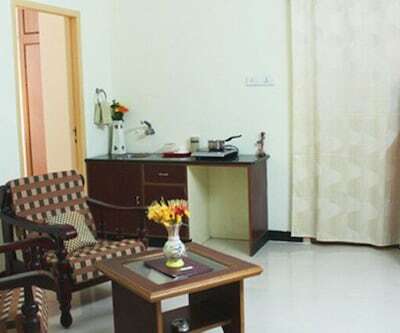 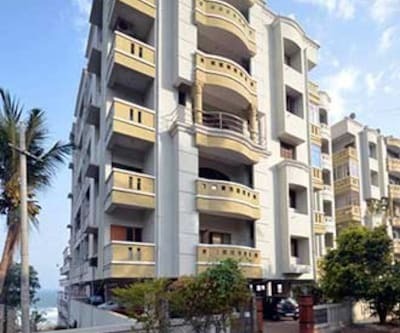 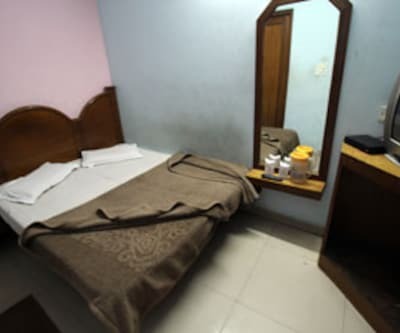 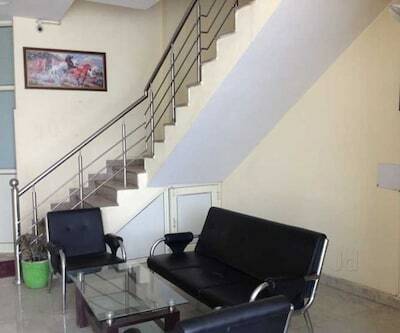 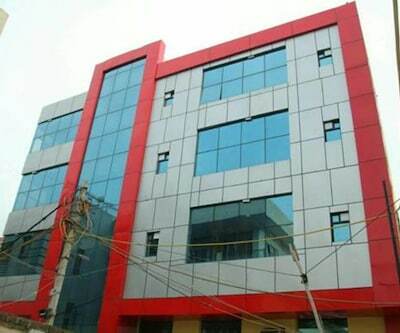 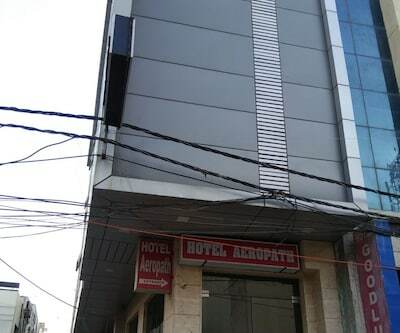 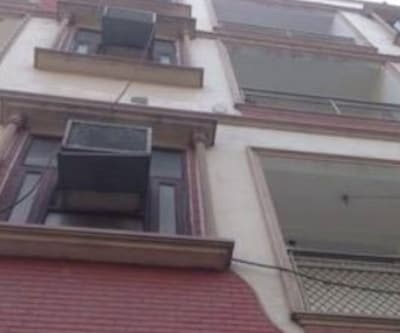 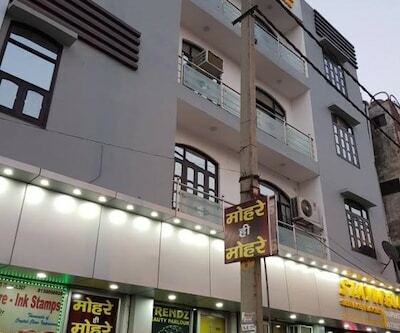 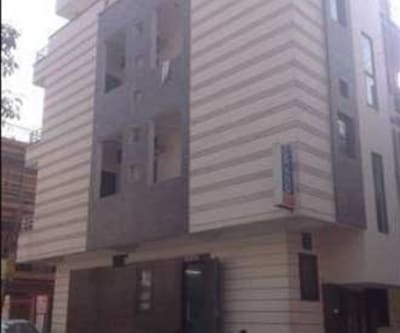 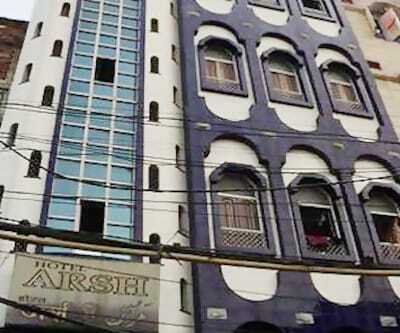 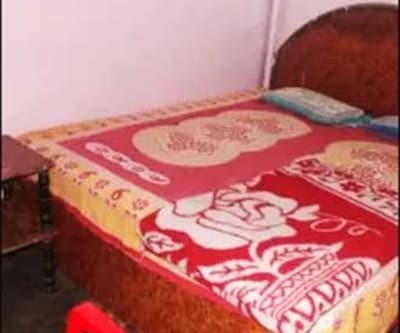 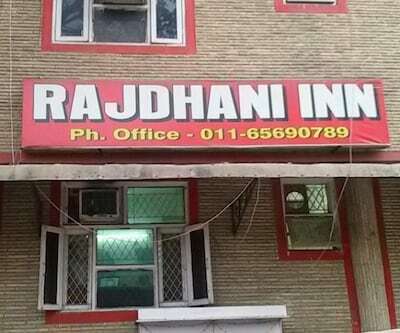 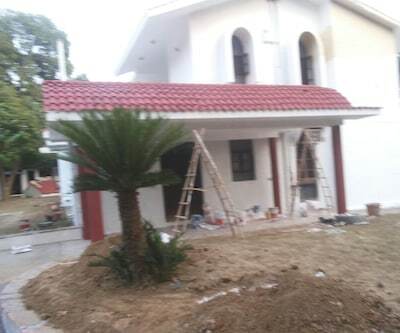 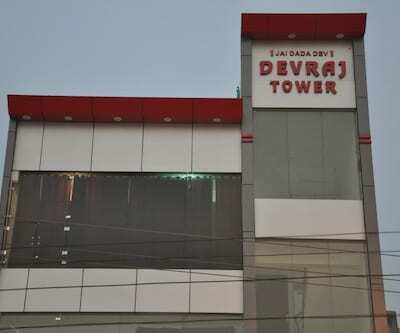 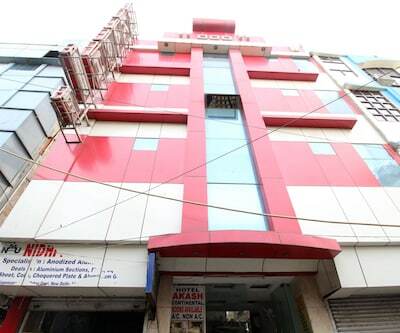 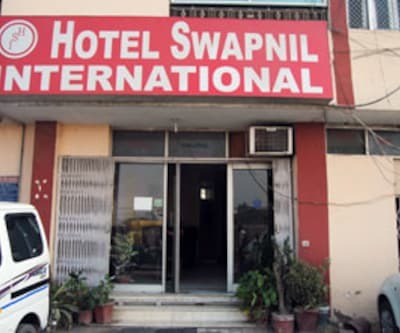 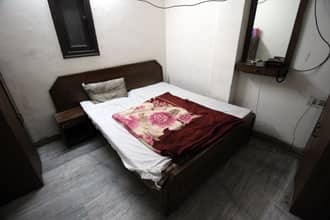 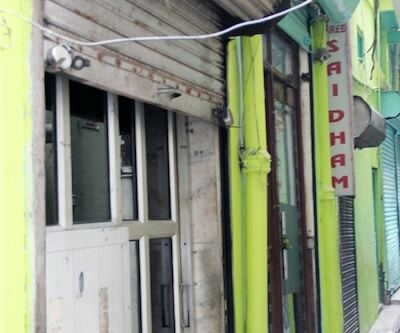 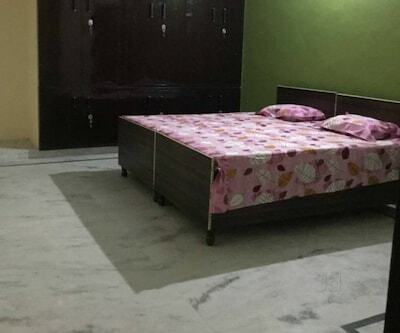 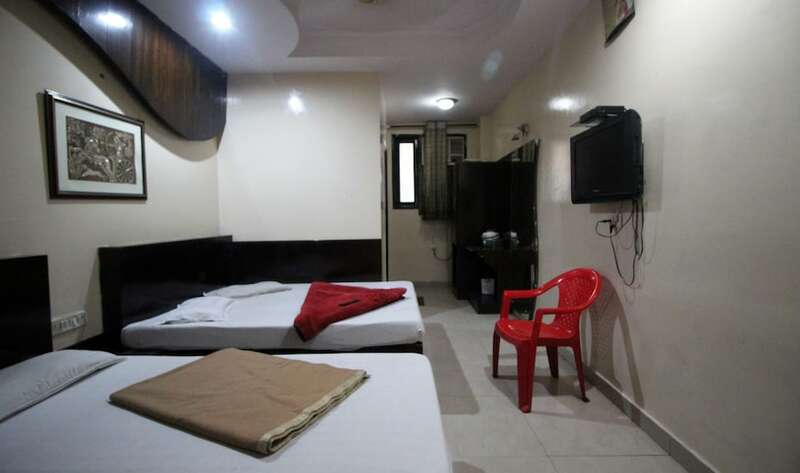 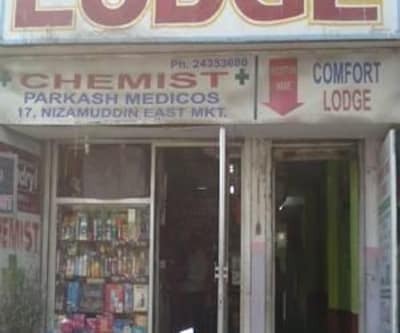 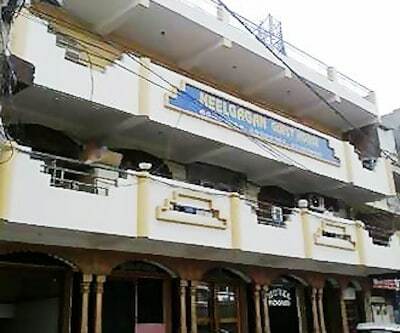 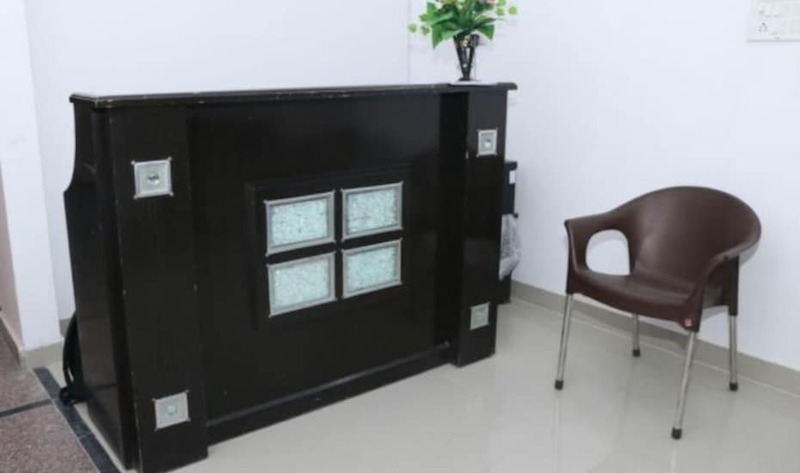 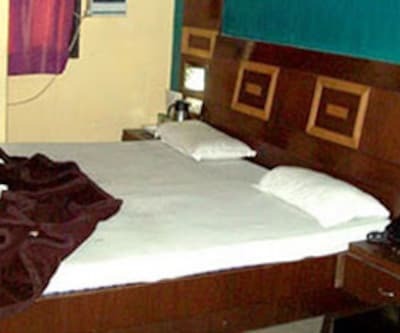 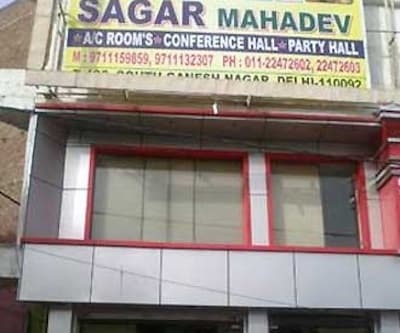 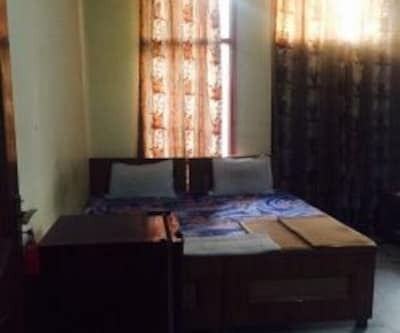 The nearest railway station - Sadar Bazar Railway Station is 0.18 km away and the nearest airport - Indira Gandhi International Airport is 13.57 km away from the hotel.